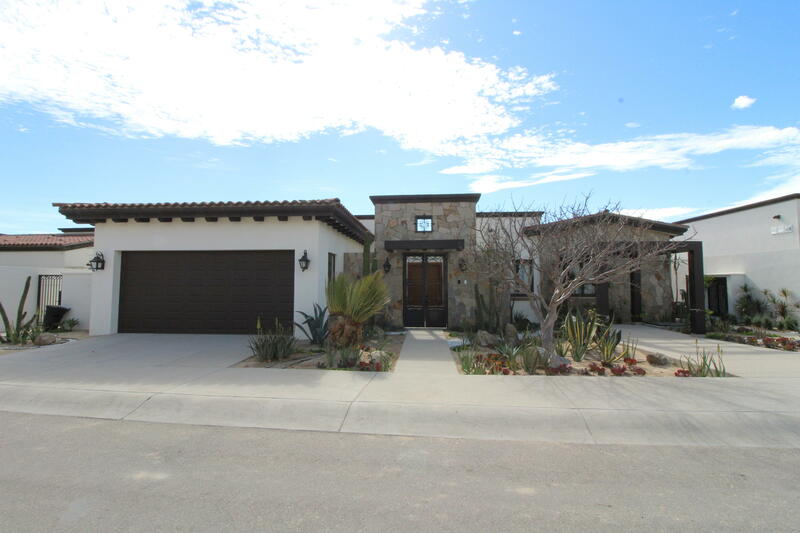 This beautiful 5 bedroom single-level home has it all. 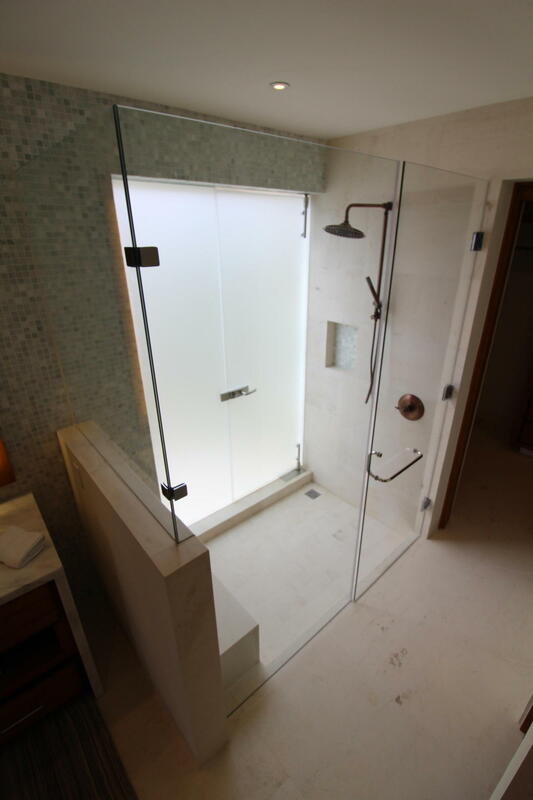 All of the upgrades possible and the finest materials as well. 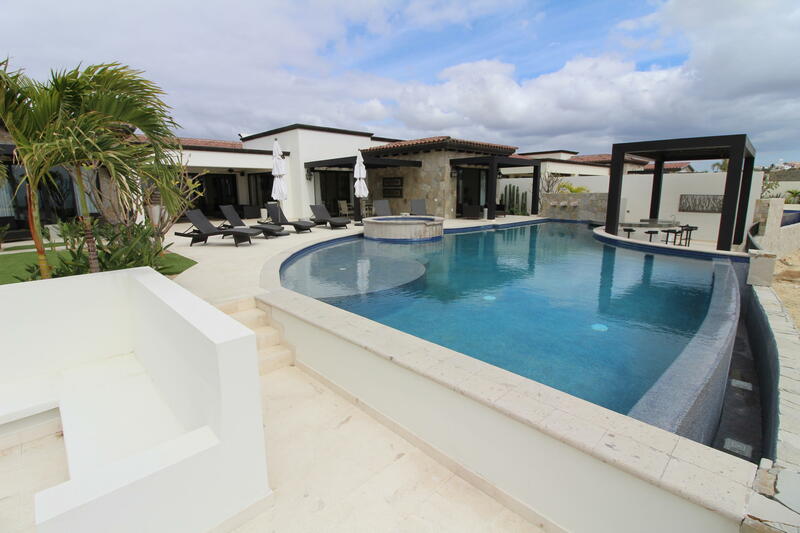 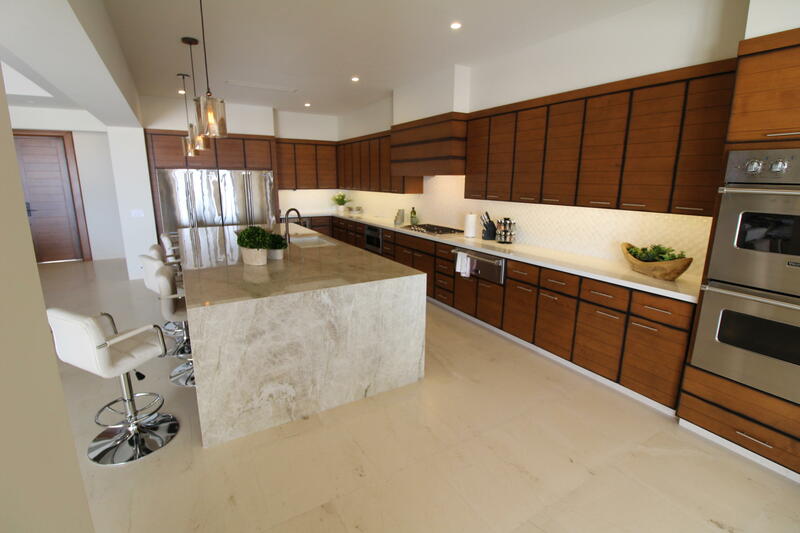 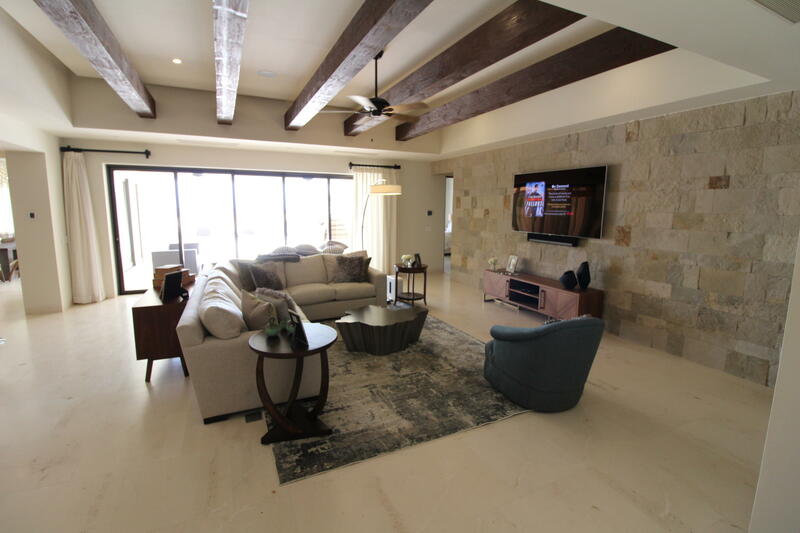 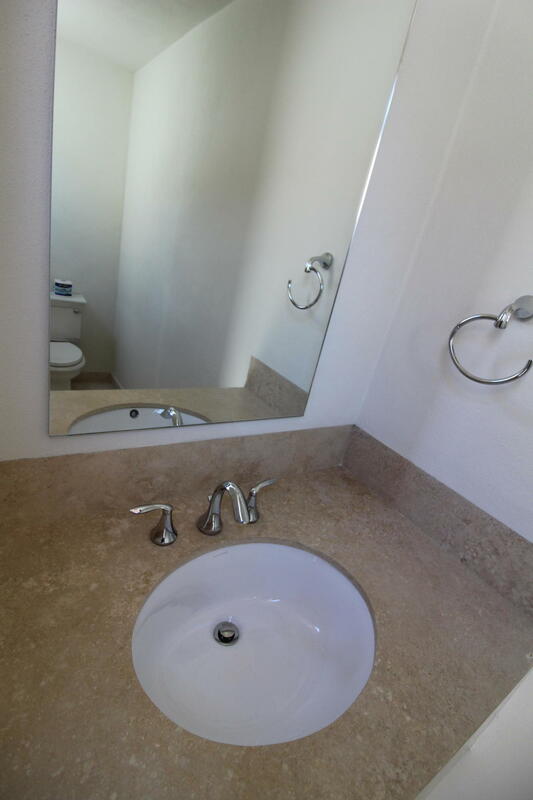 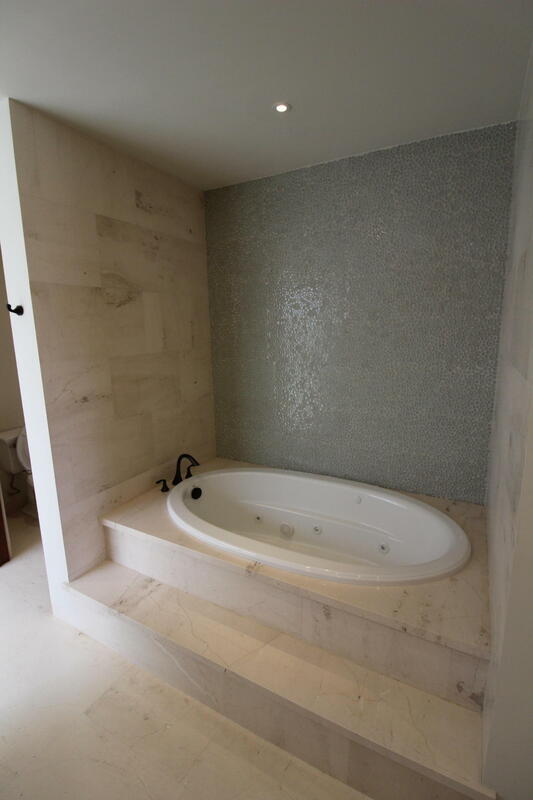 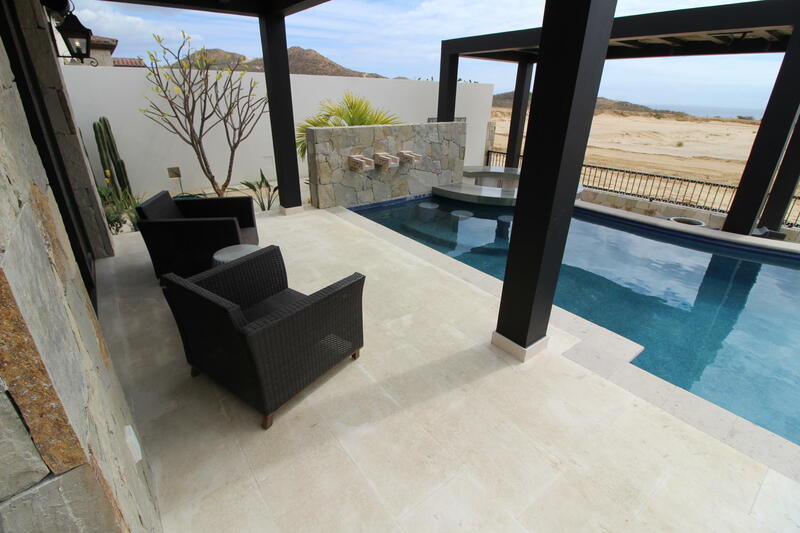 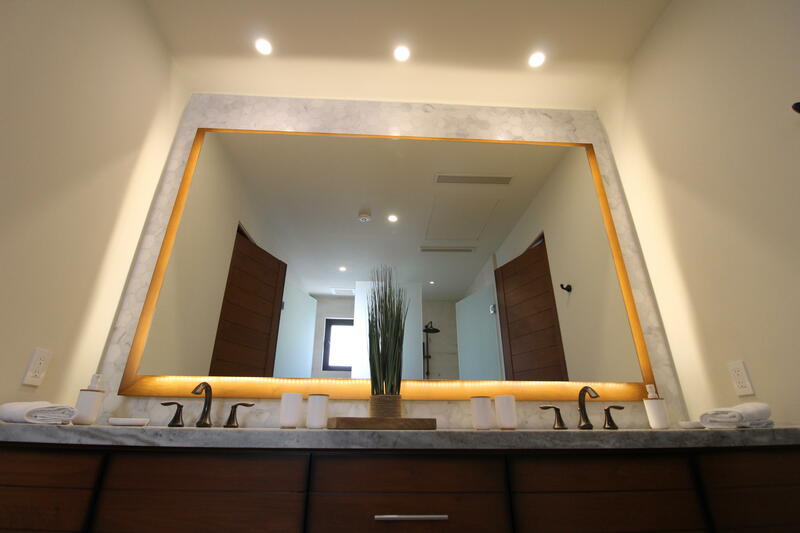 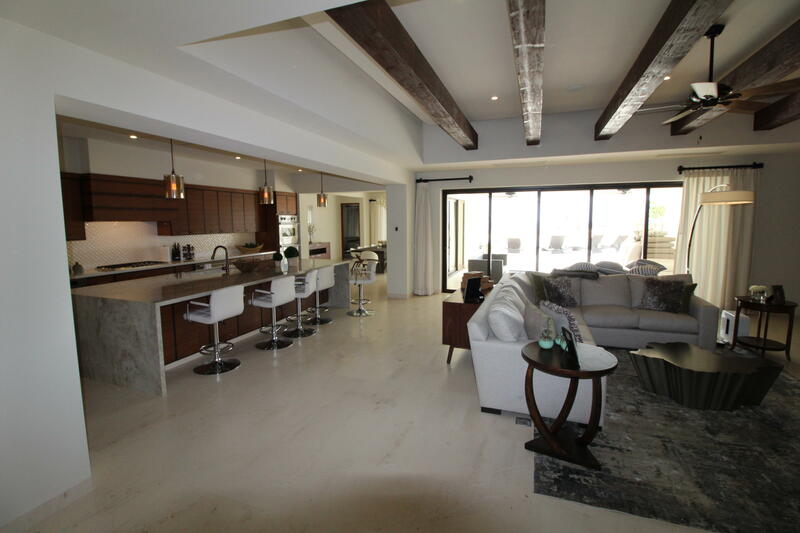 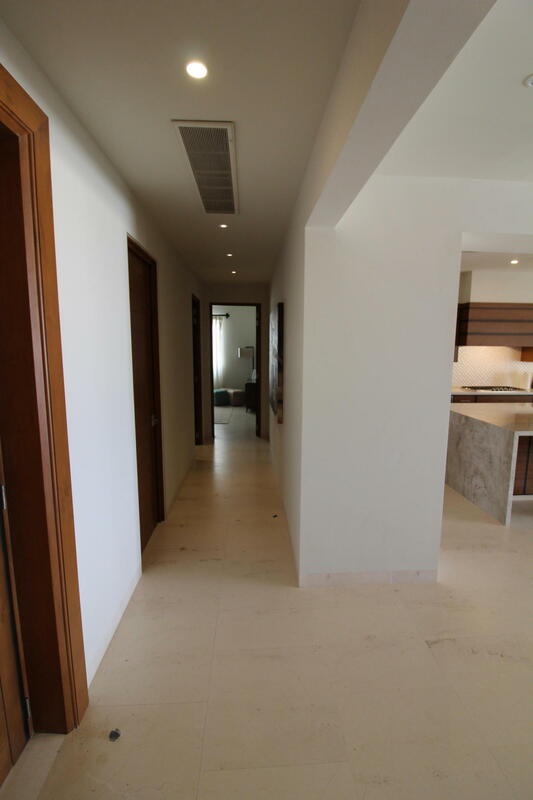 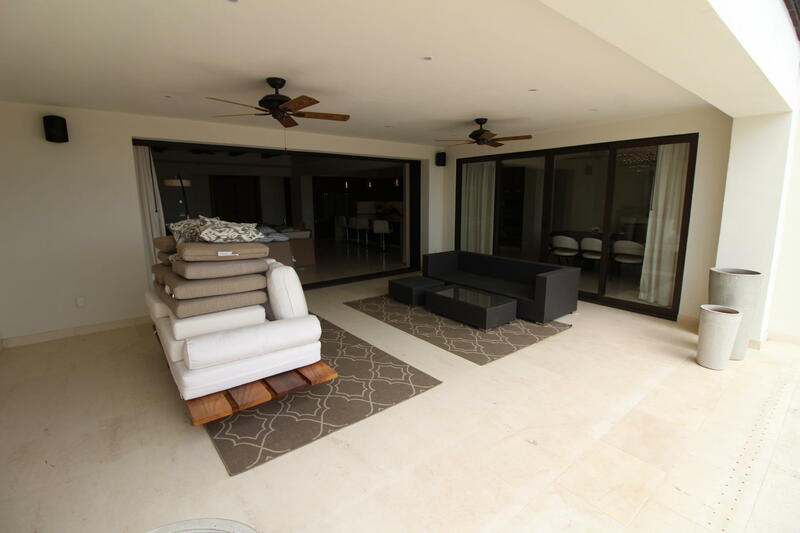 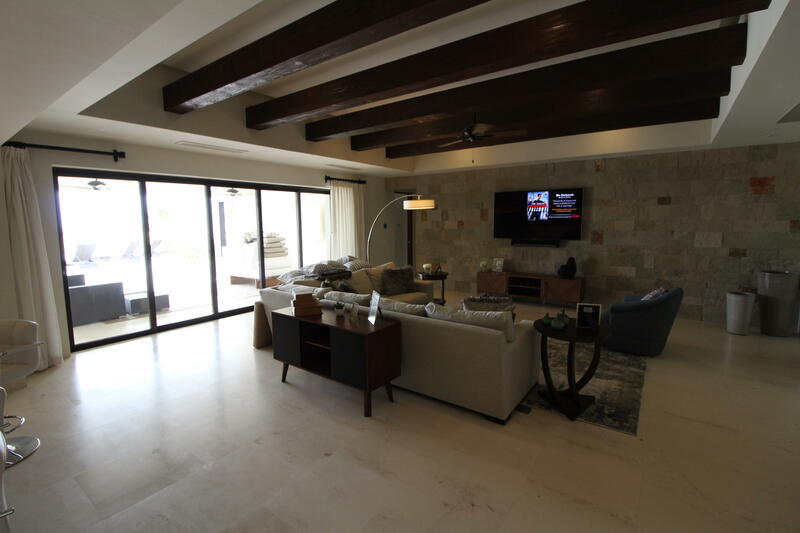 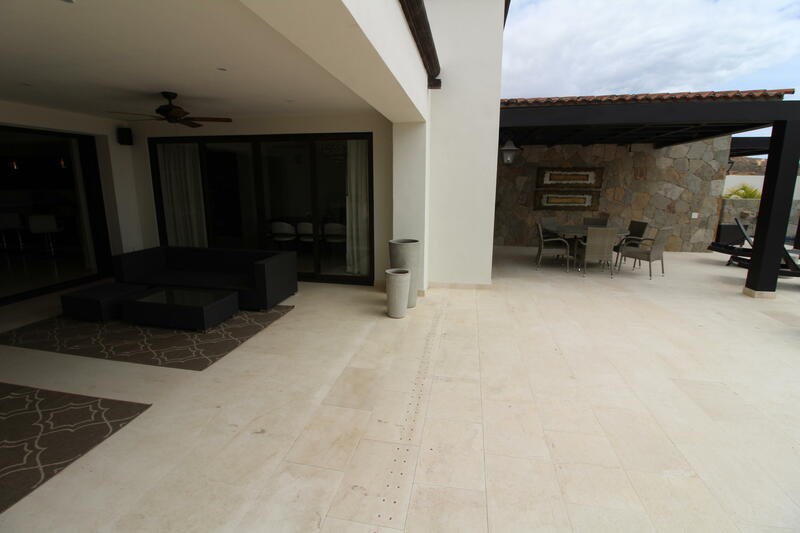 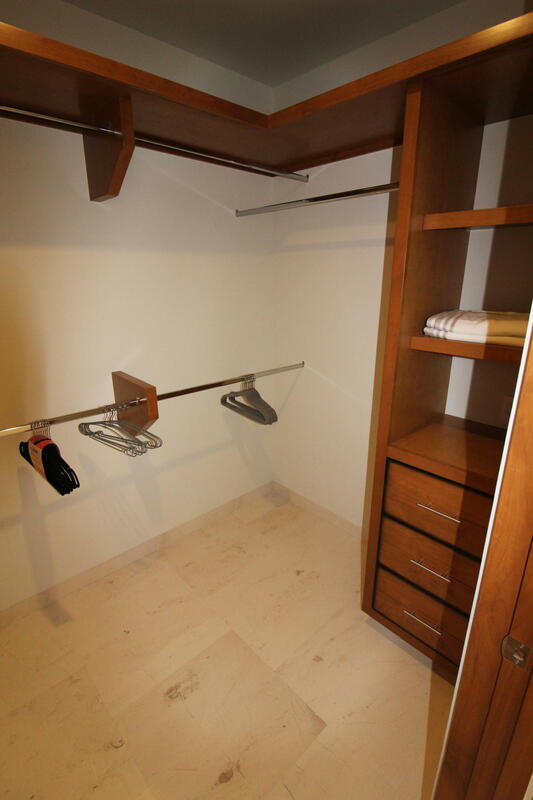 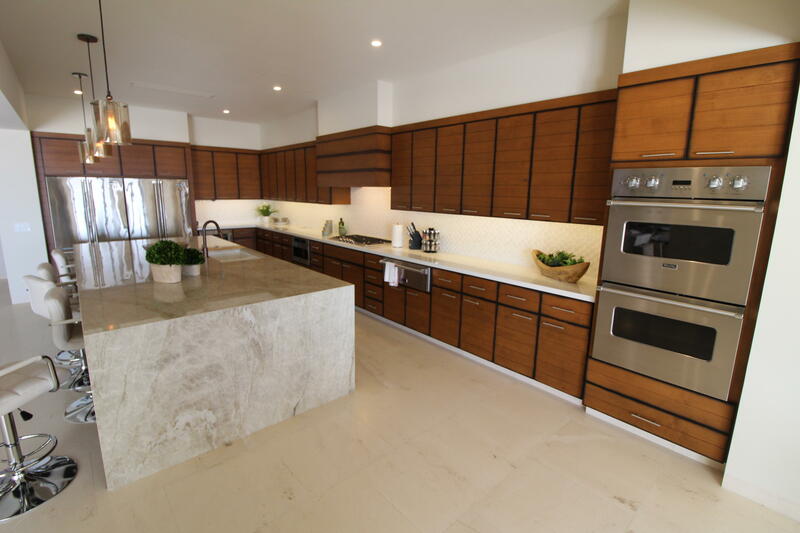 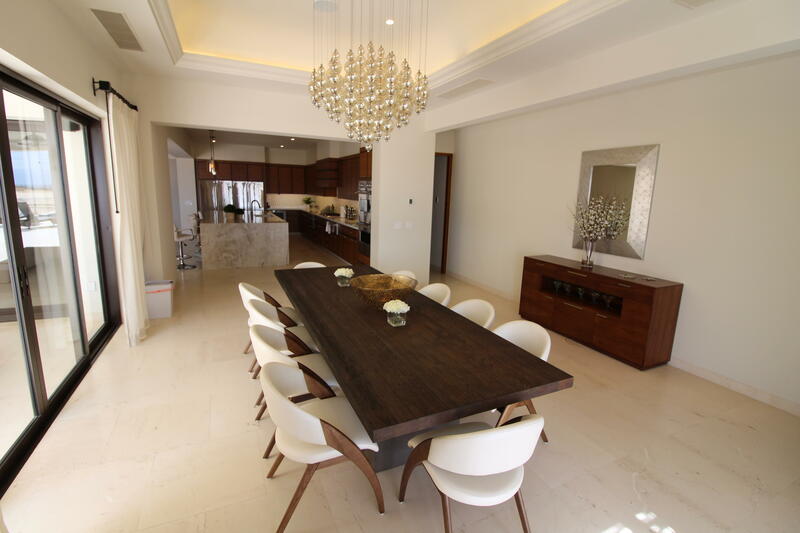 Pristine Crema Marfil marble floors inside and out. 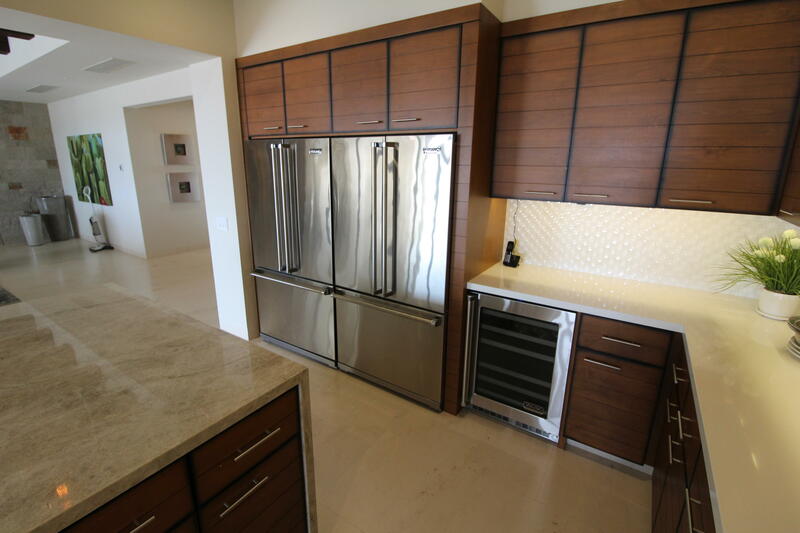 All Viking brand appliances. 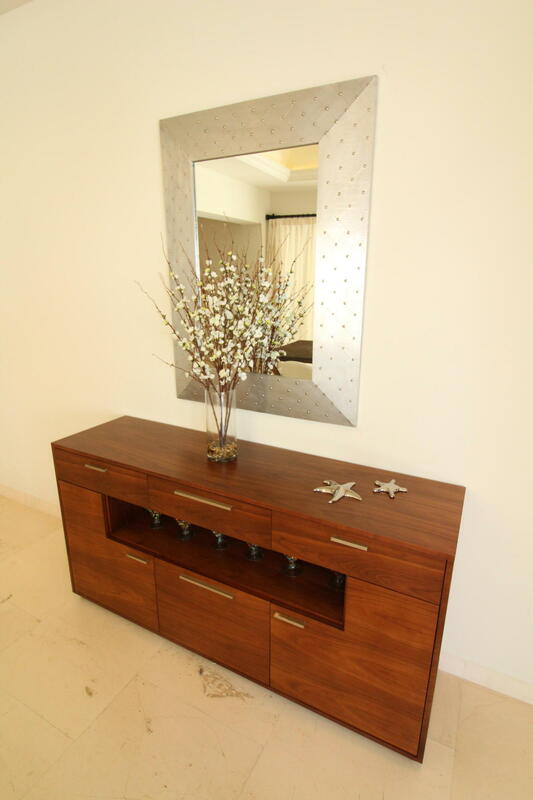 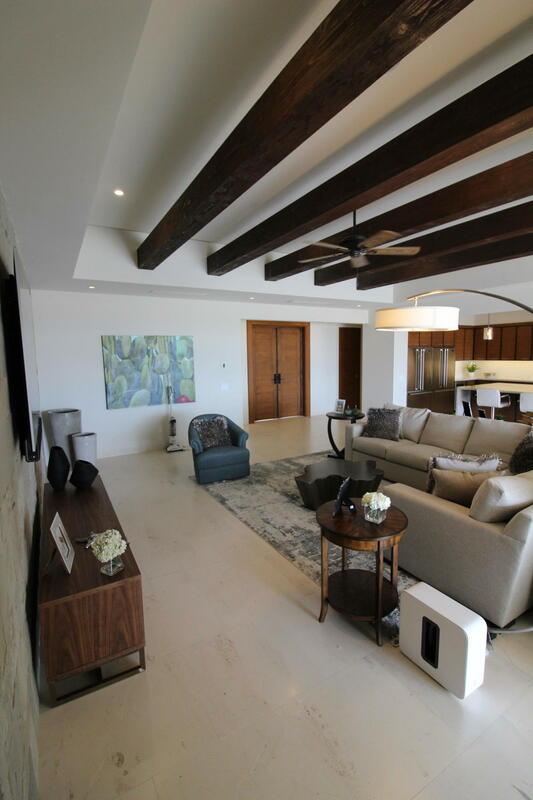 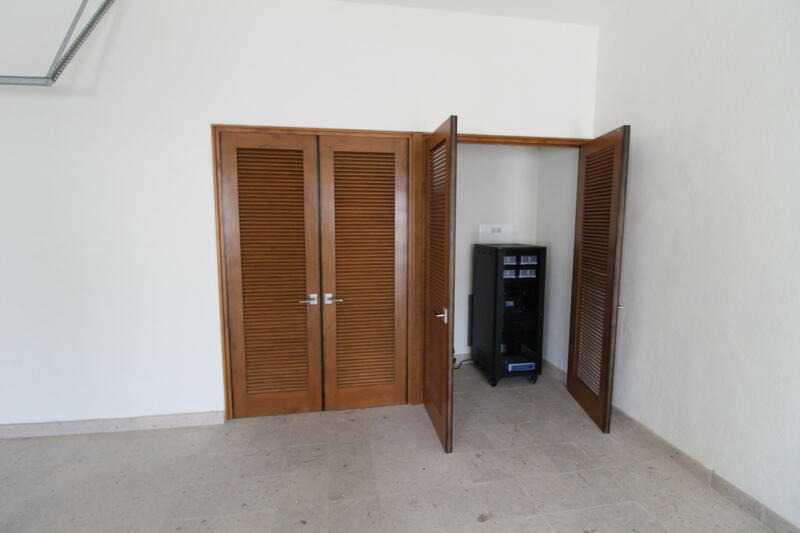 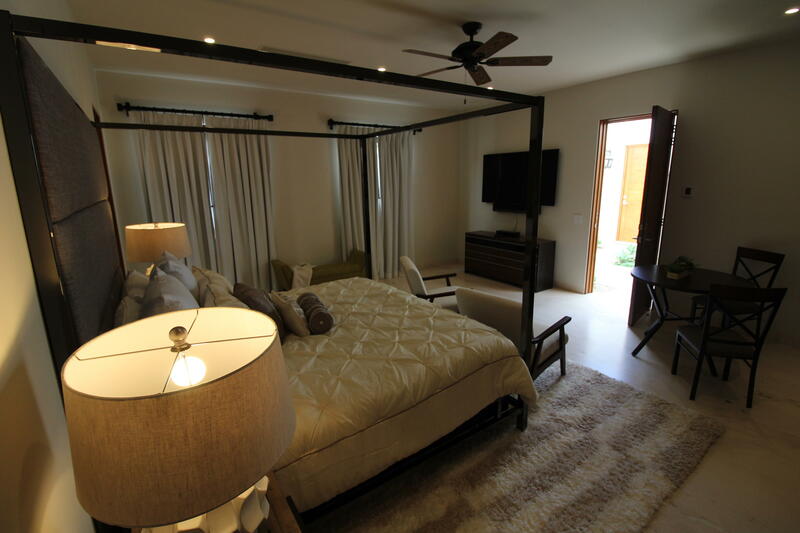 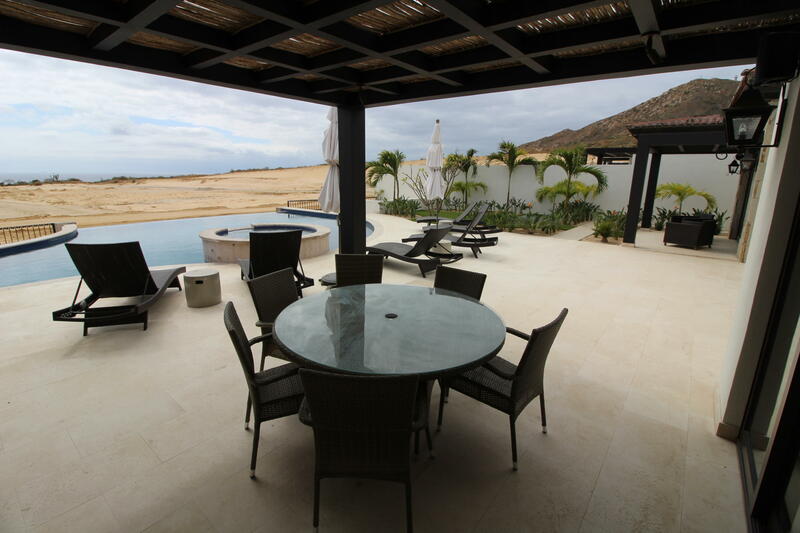 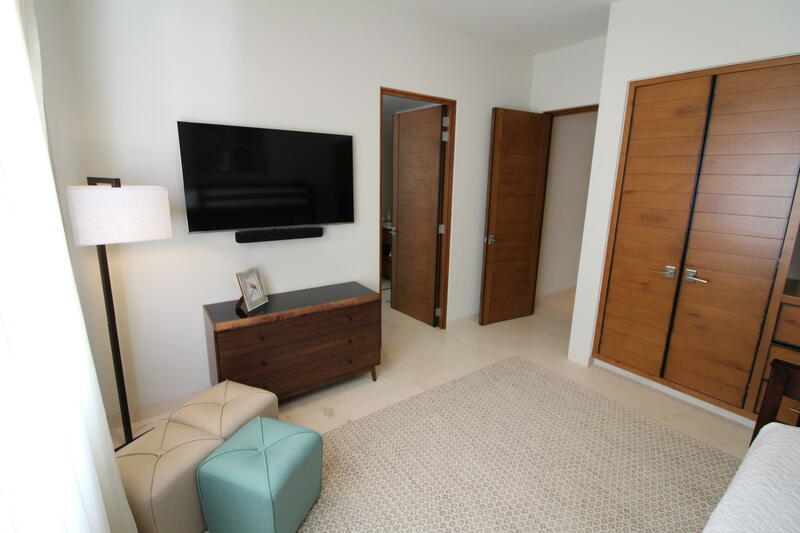 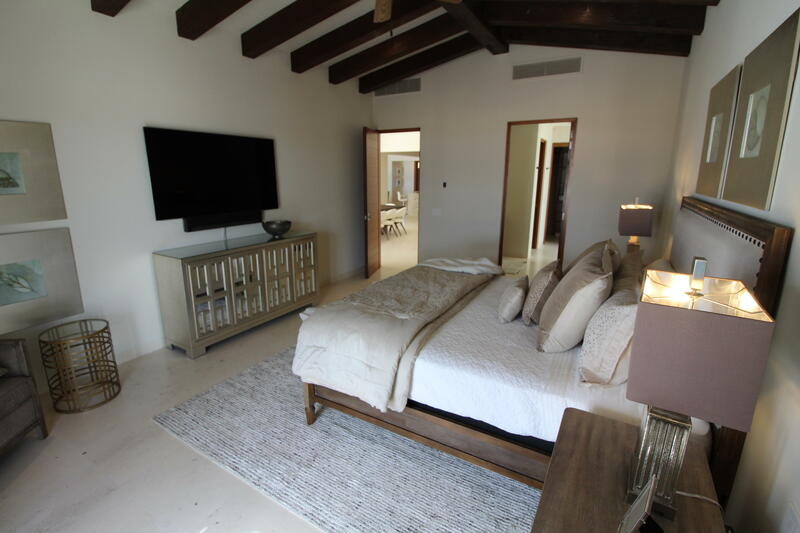 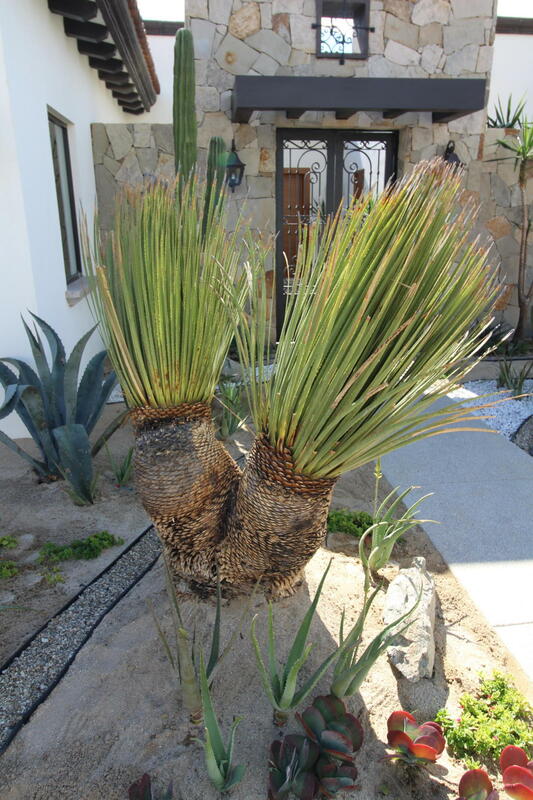 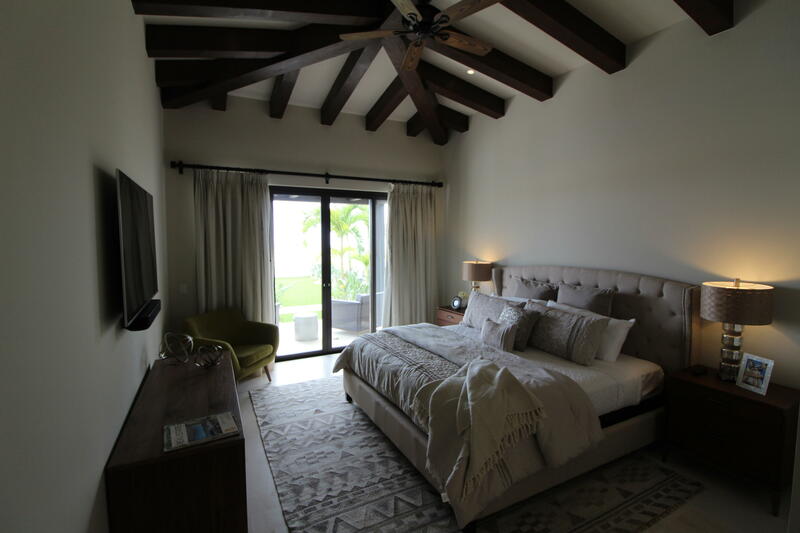 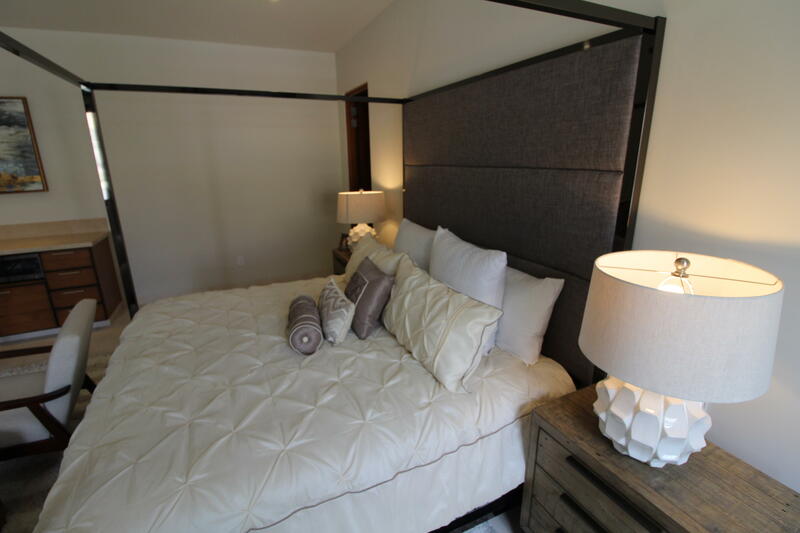 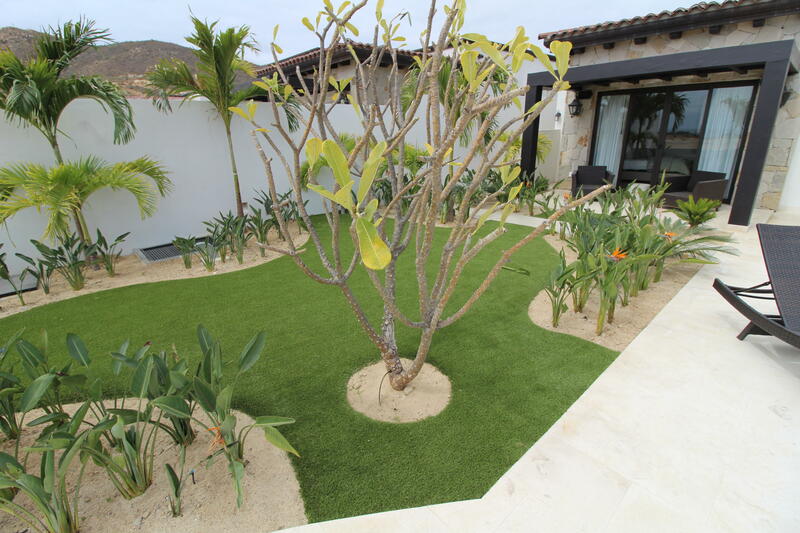 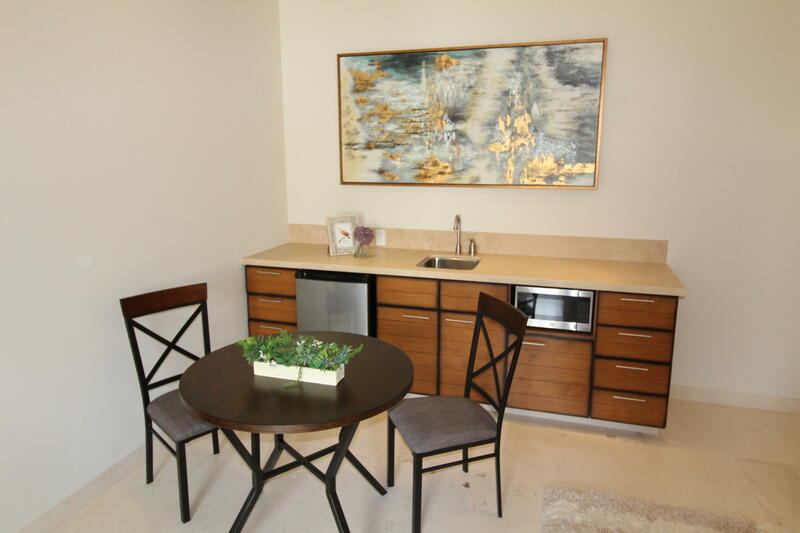 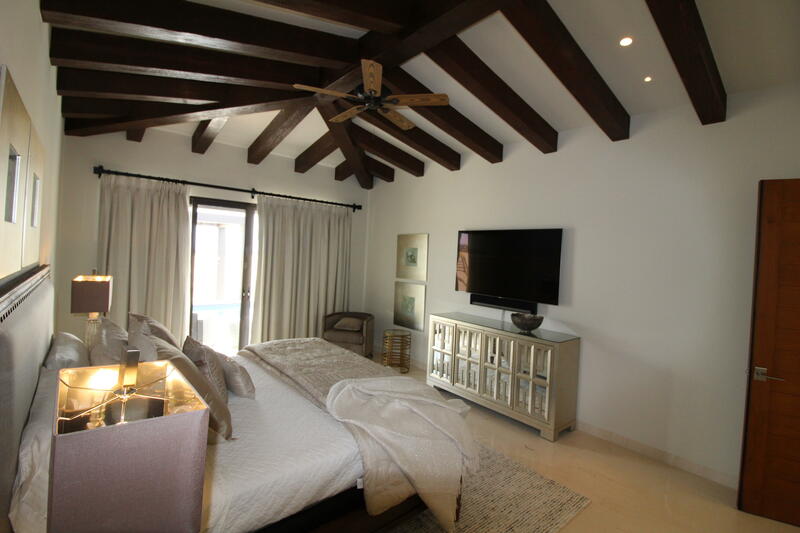 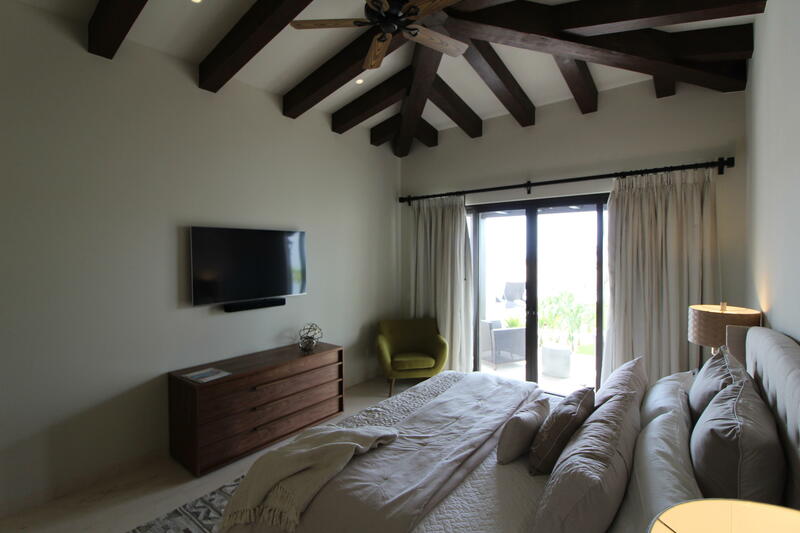 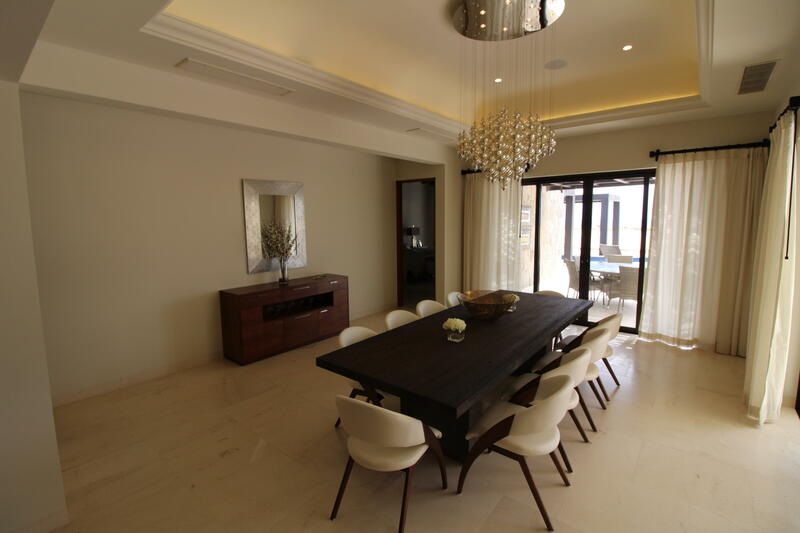 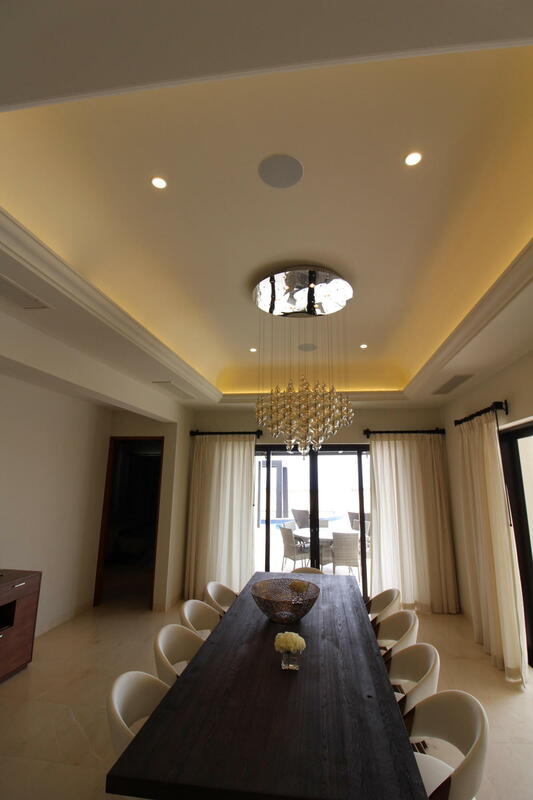 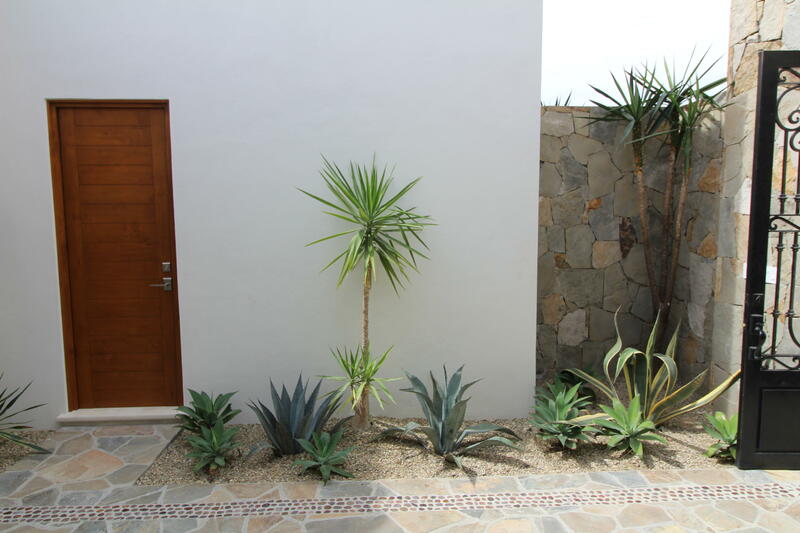 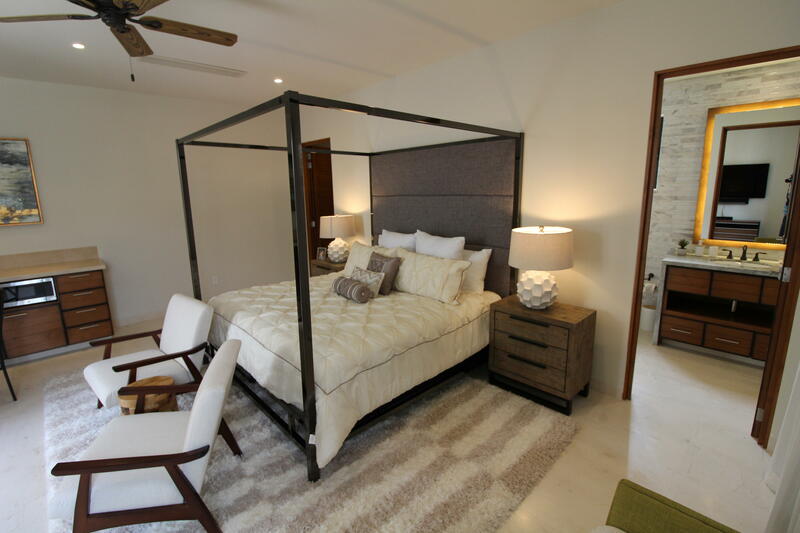 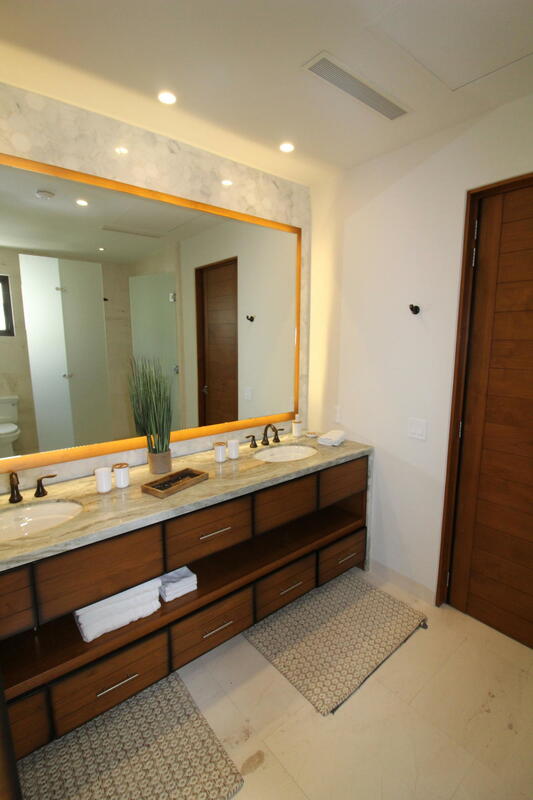 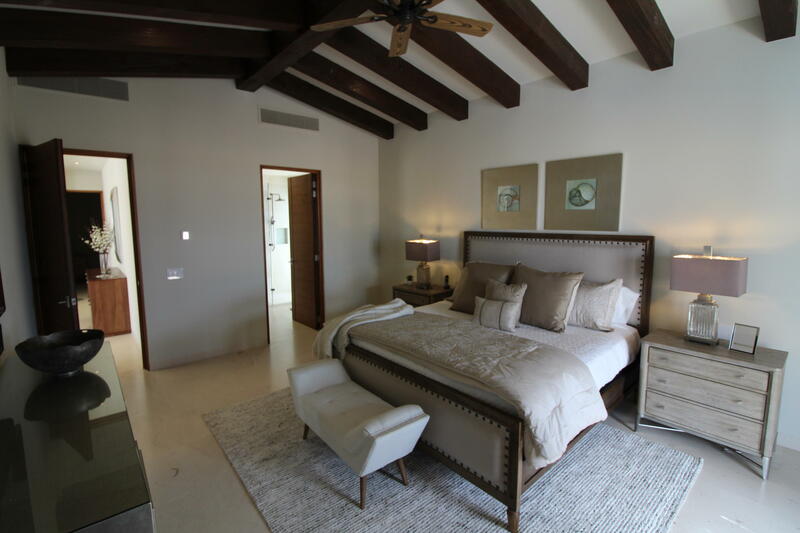 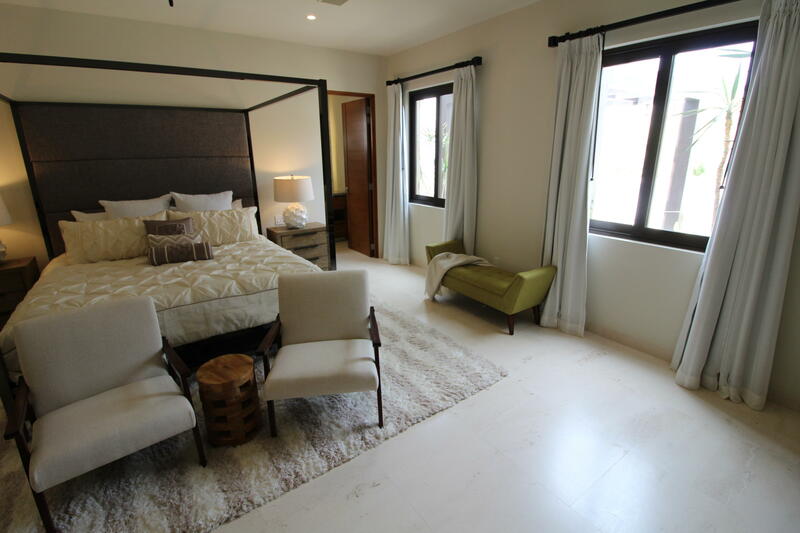 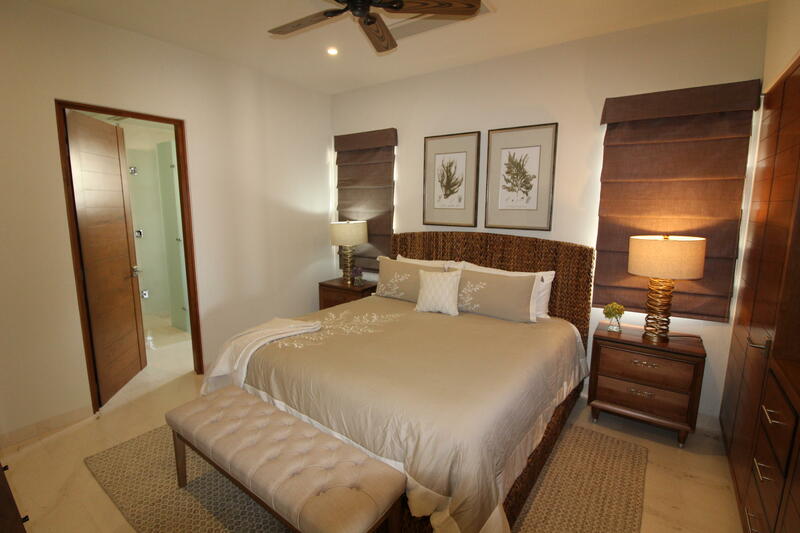 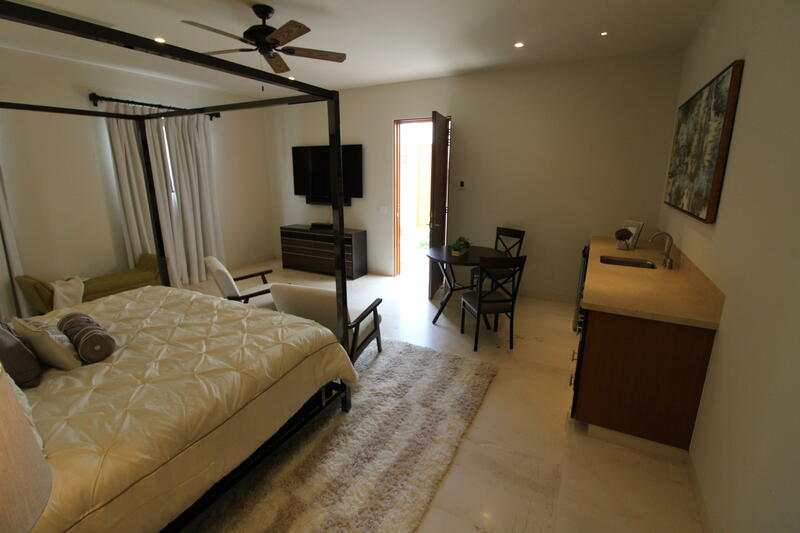 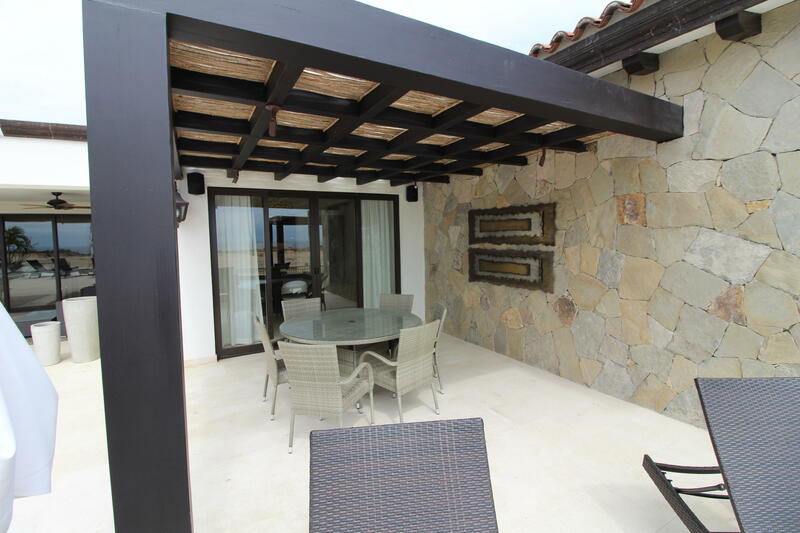 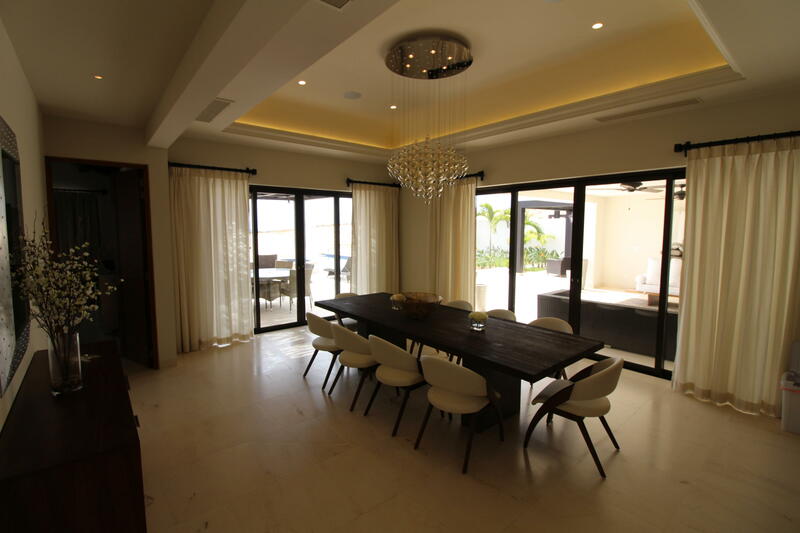 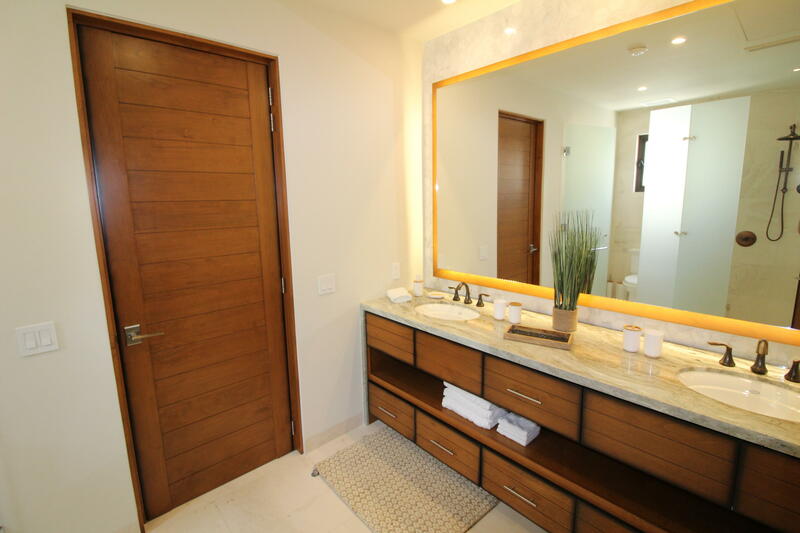 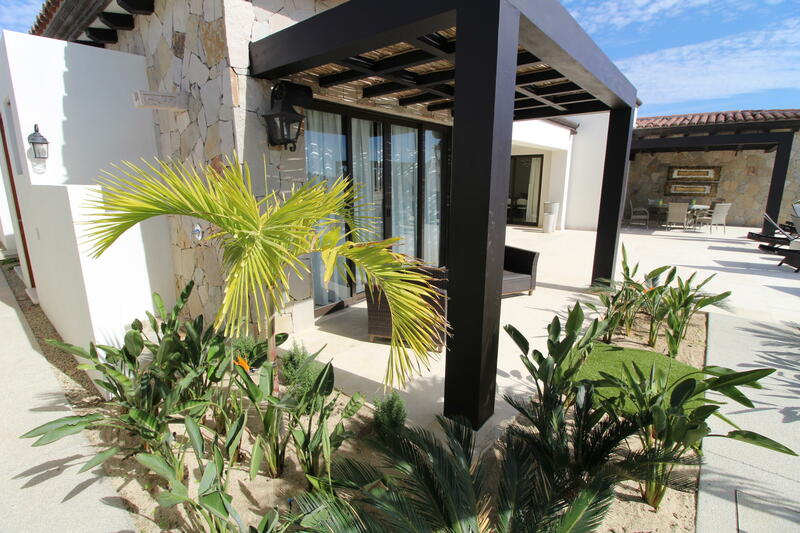 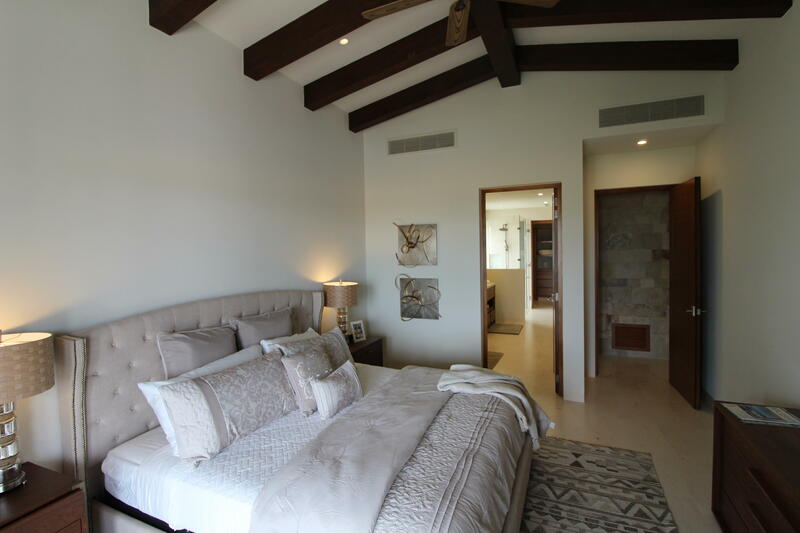 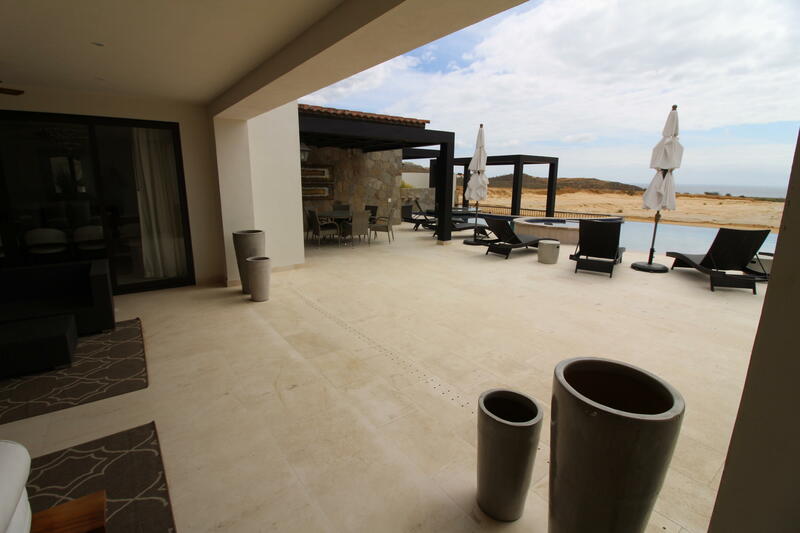 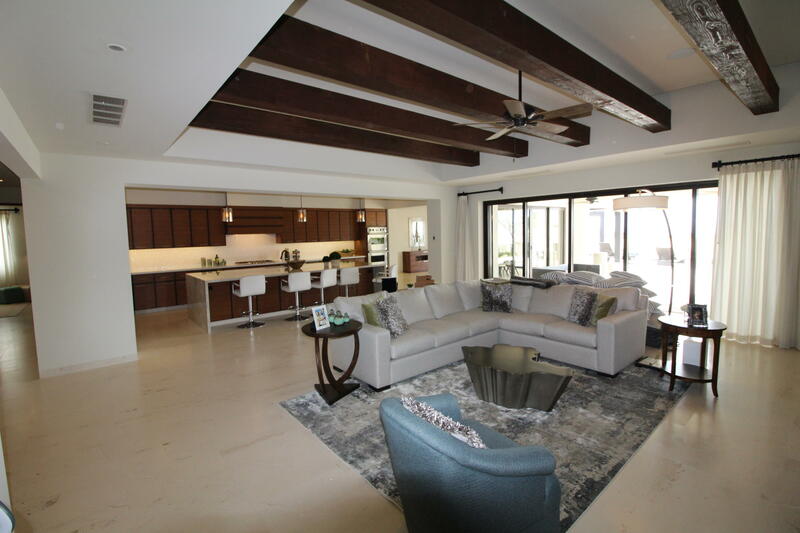 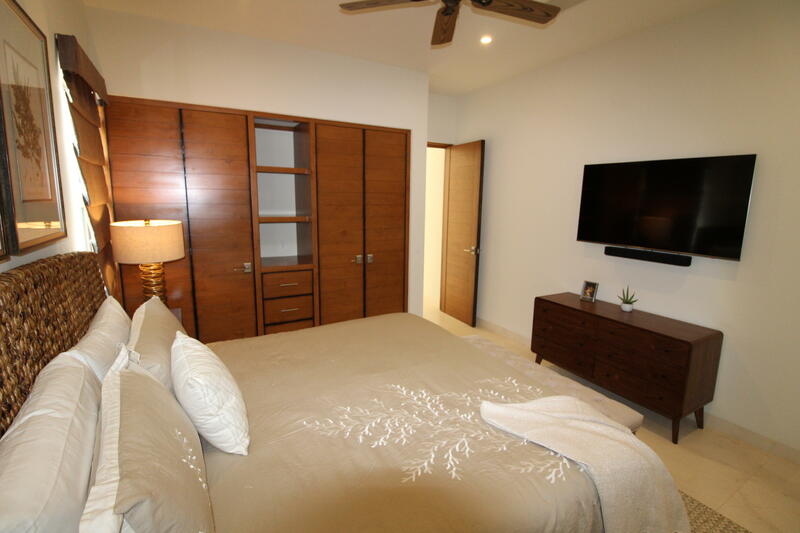 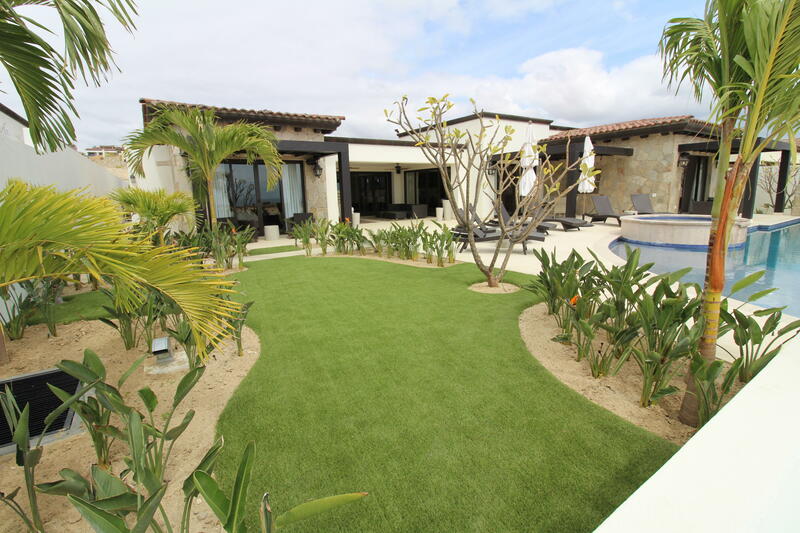 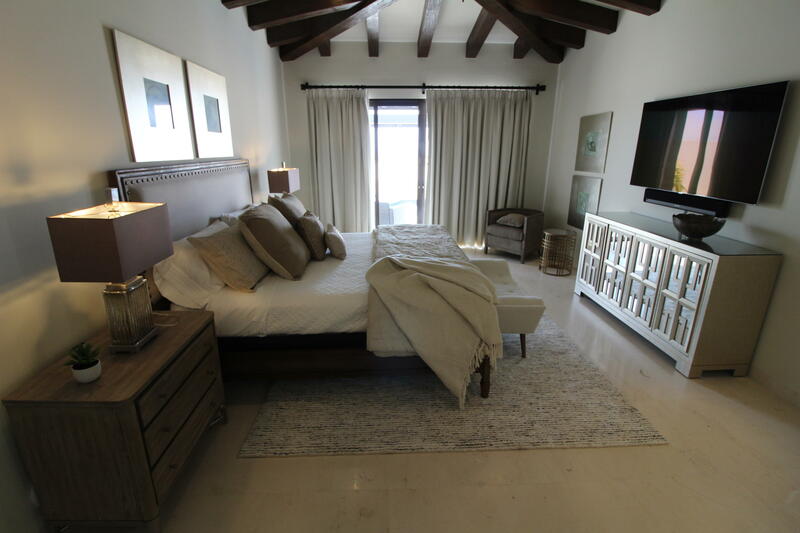 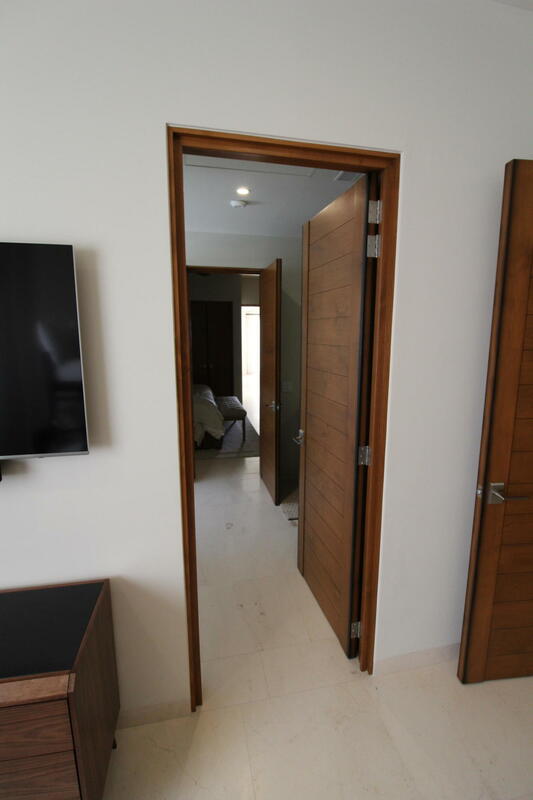 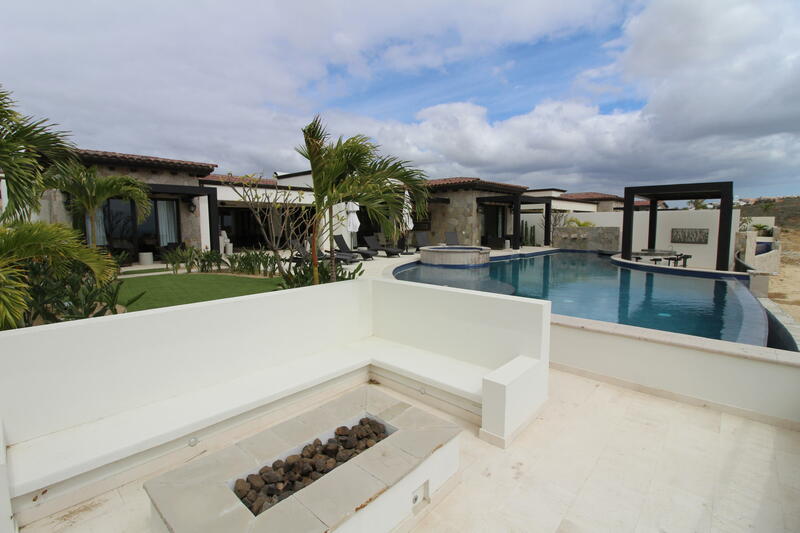 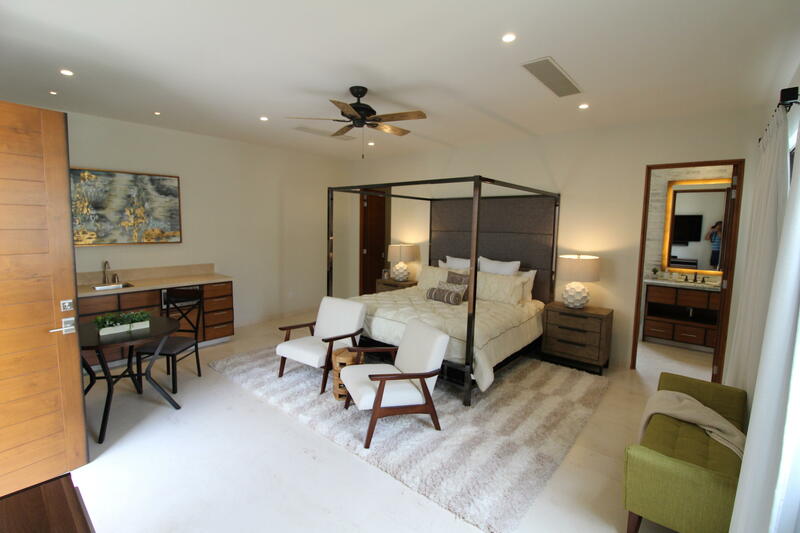 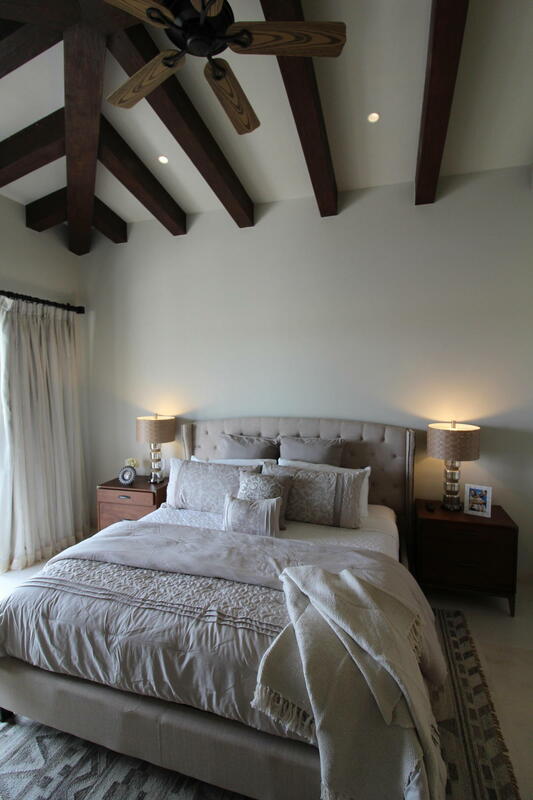 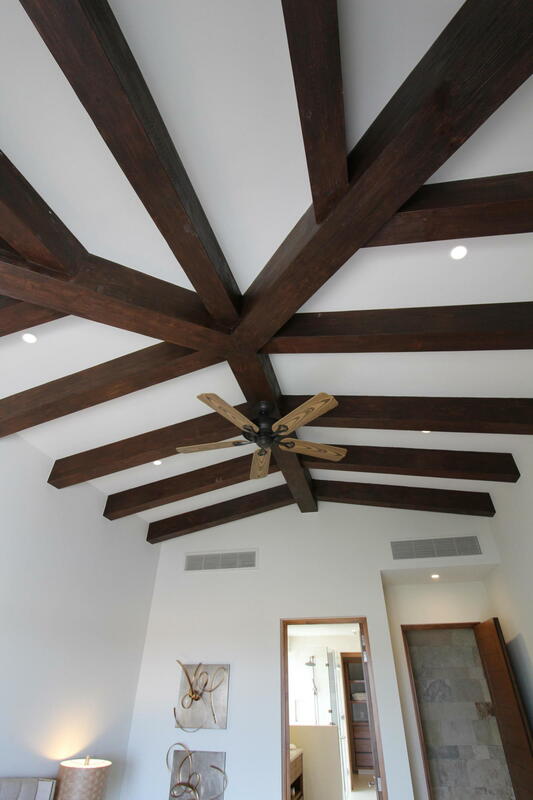 Completely furnished and decorated by professional interior designers. 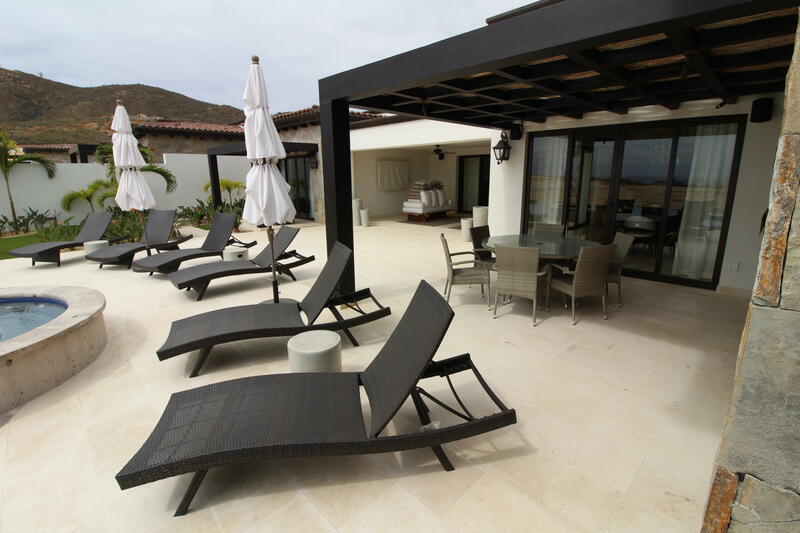 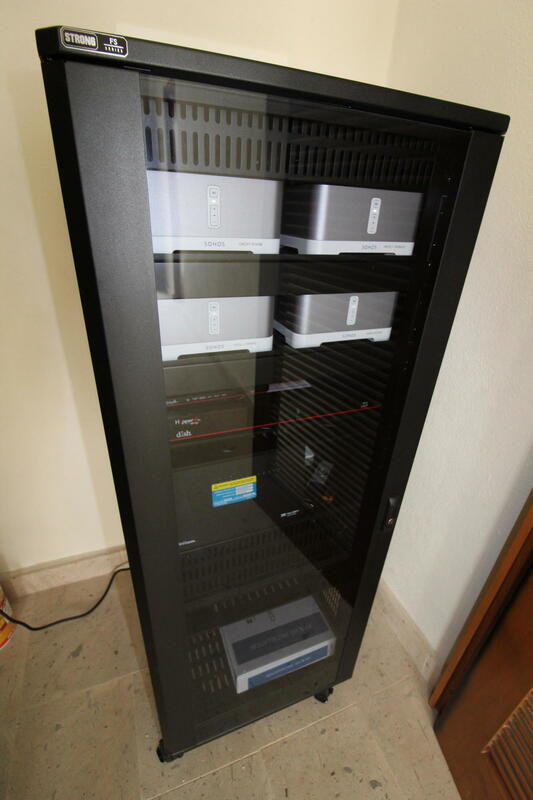 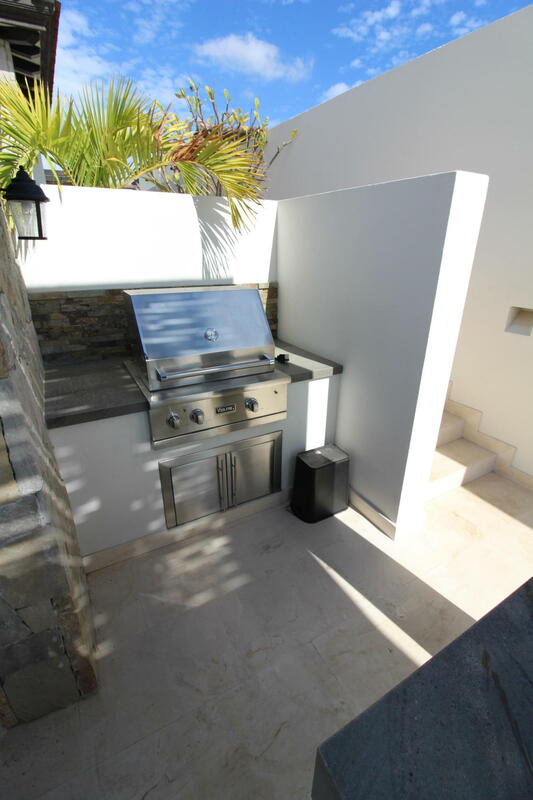 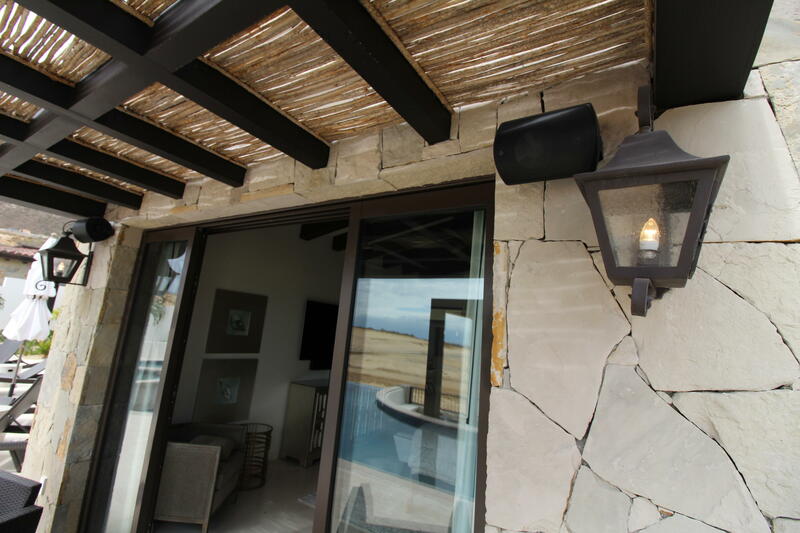 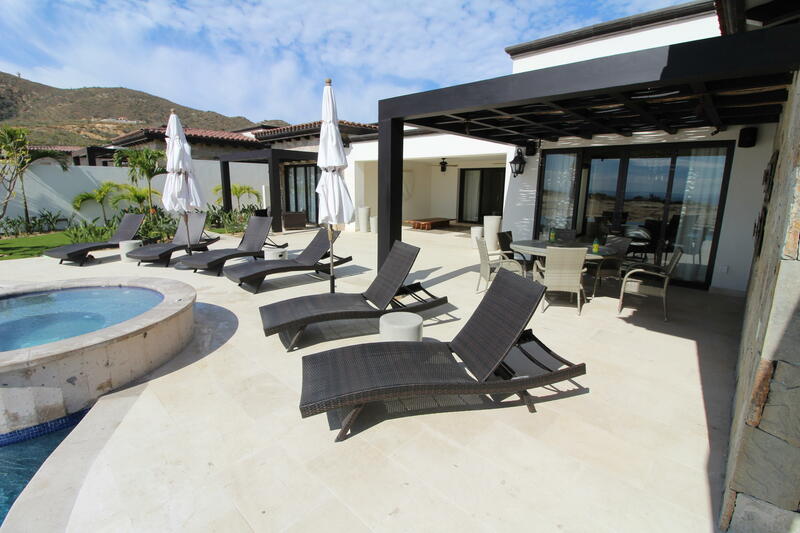 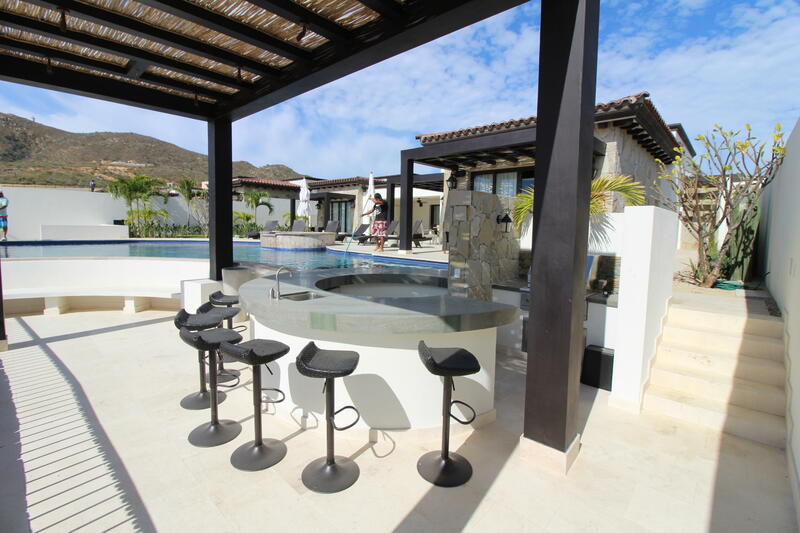 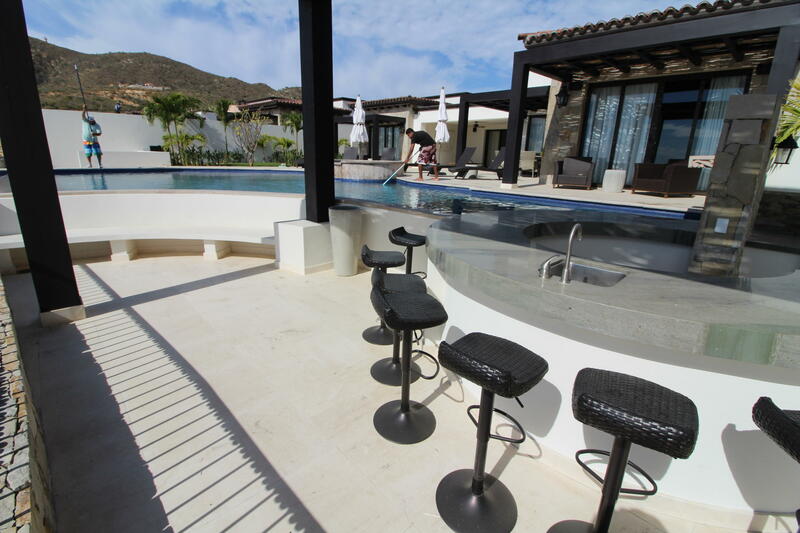 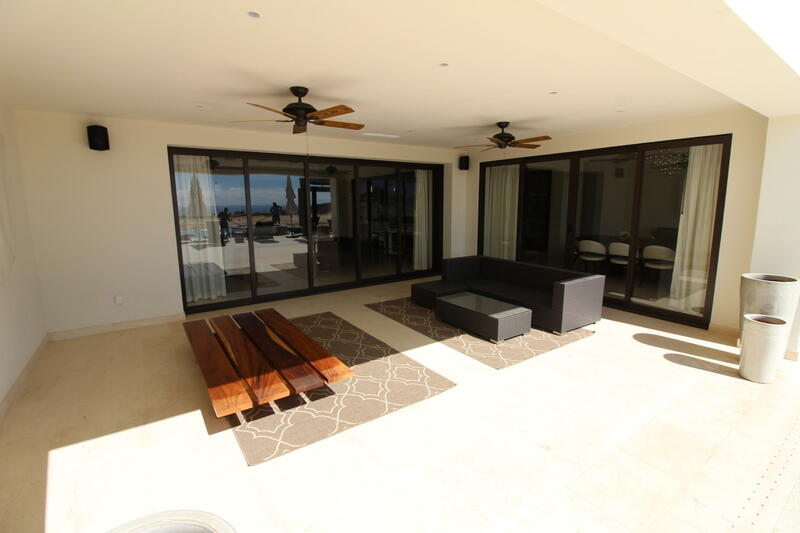 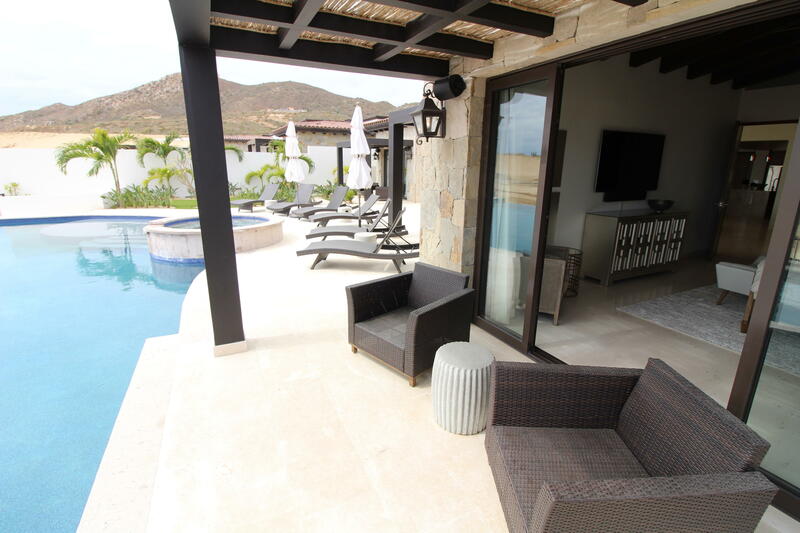 Sonos sound system throughout the house and exterior patios. 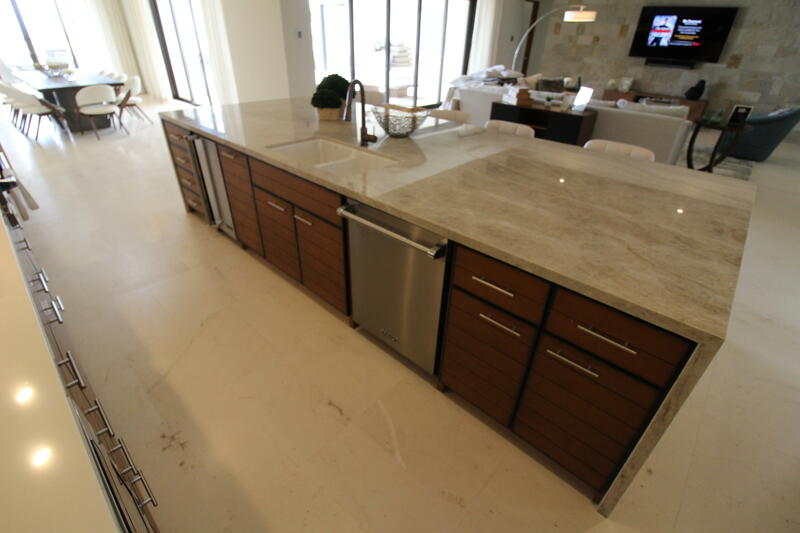 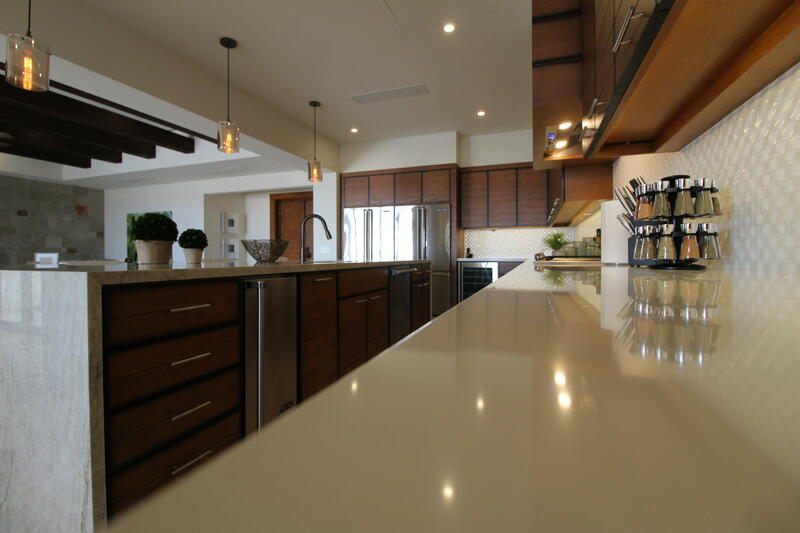 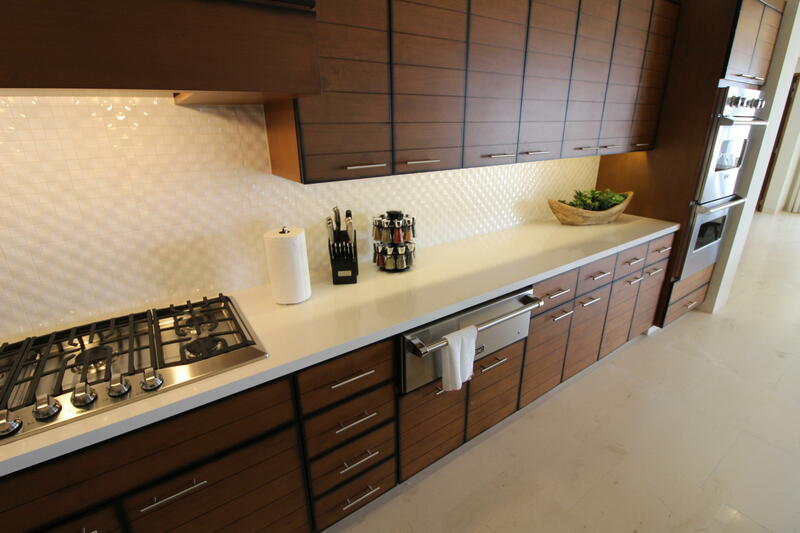 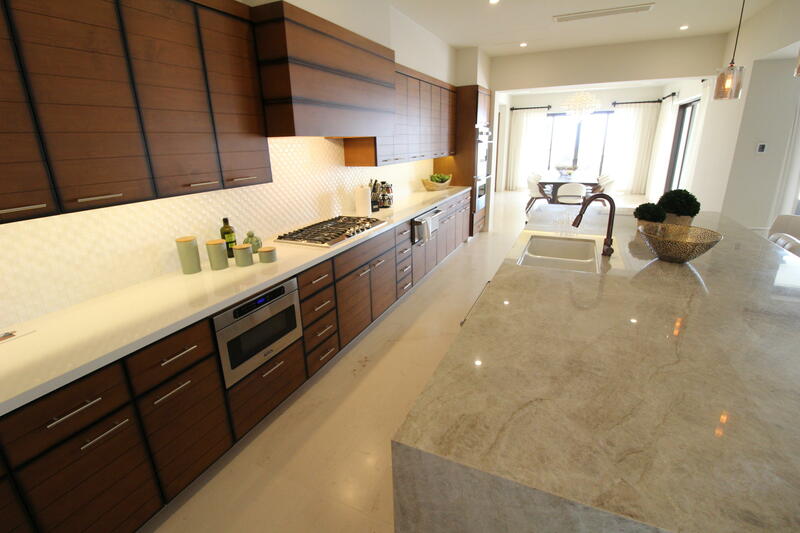 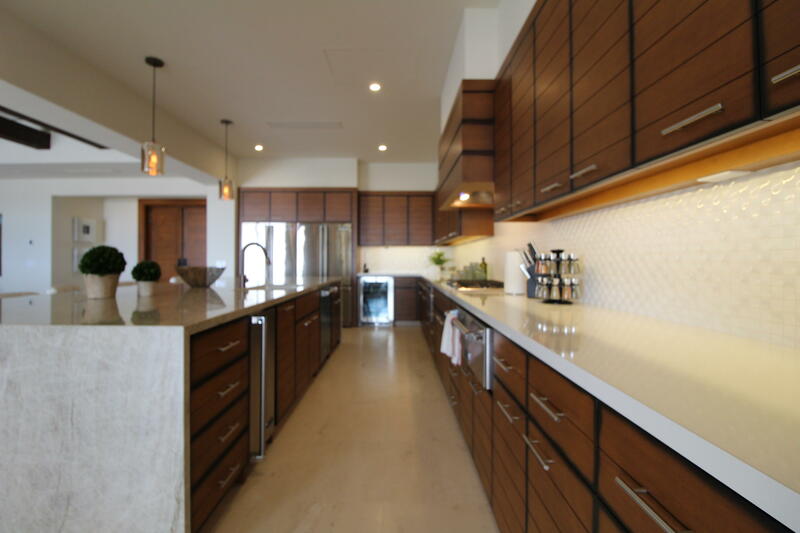 Giant chefs kitchen perfect for entertaining. 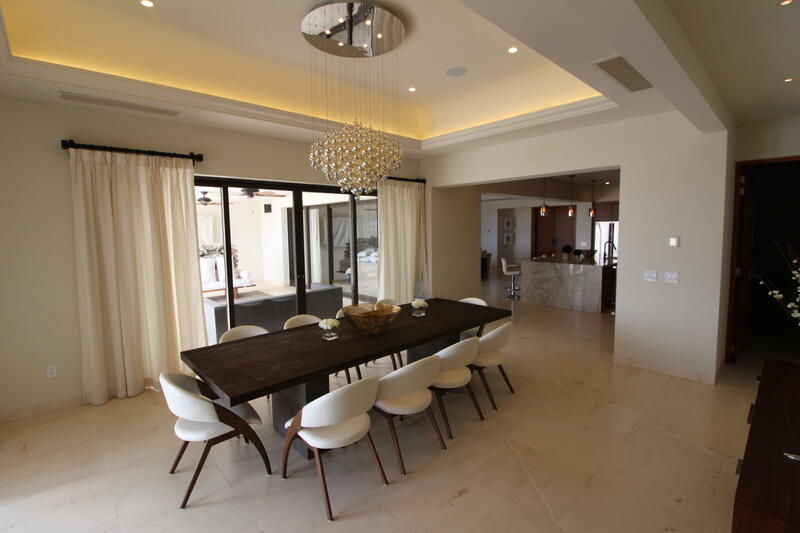 Full dining room with ocean view. 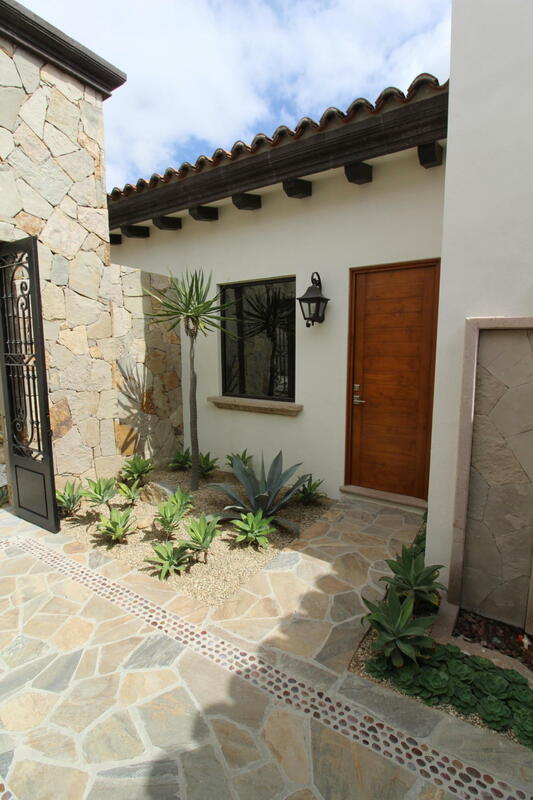 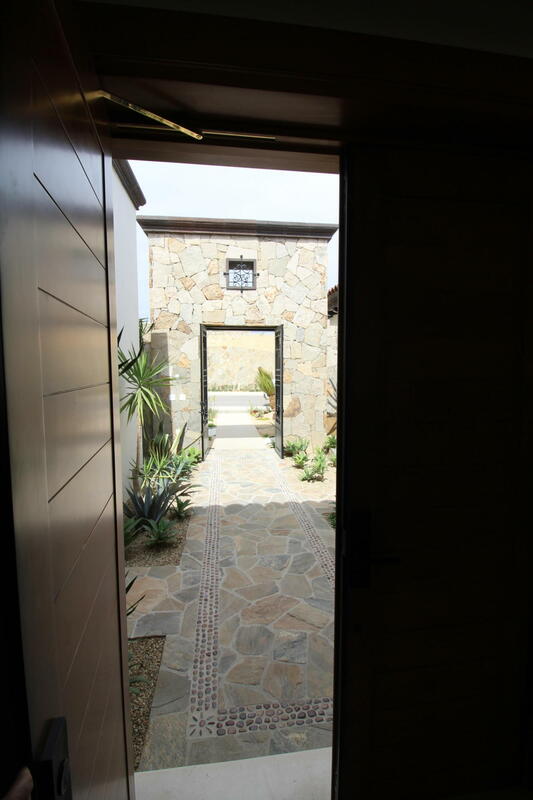 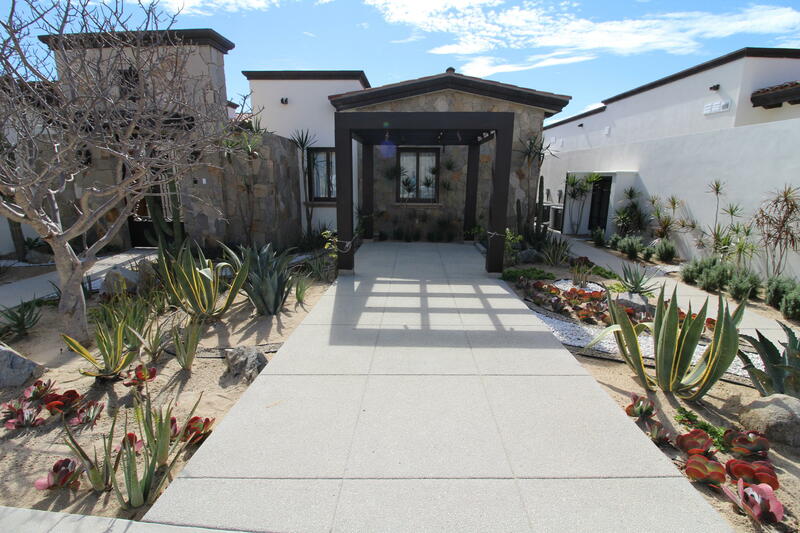 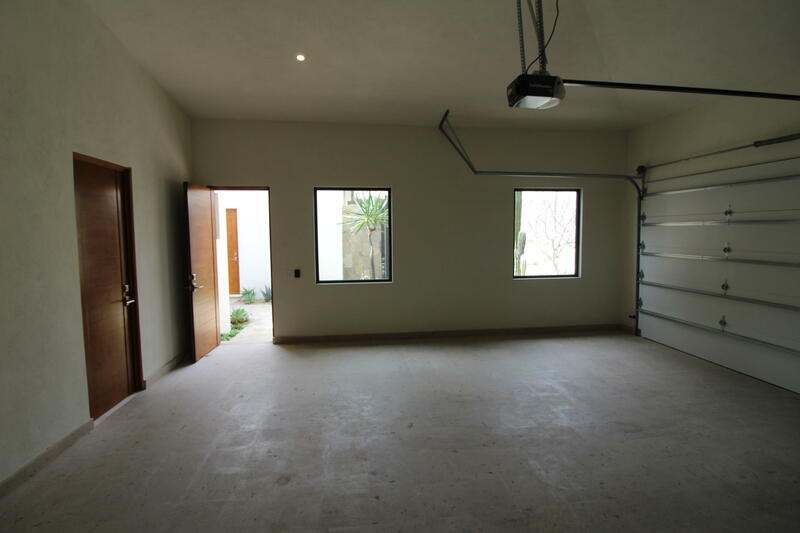 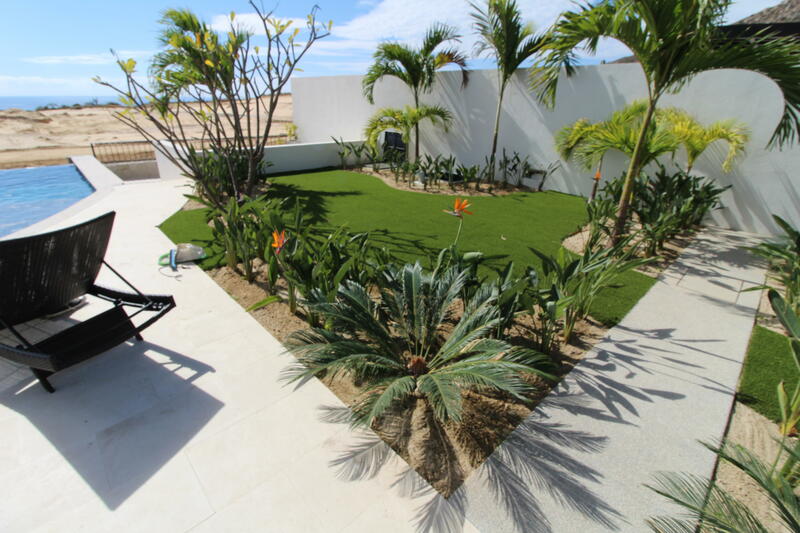 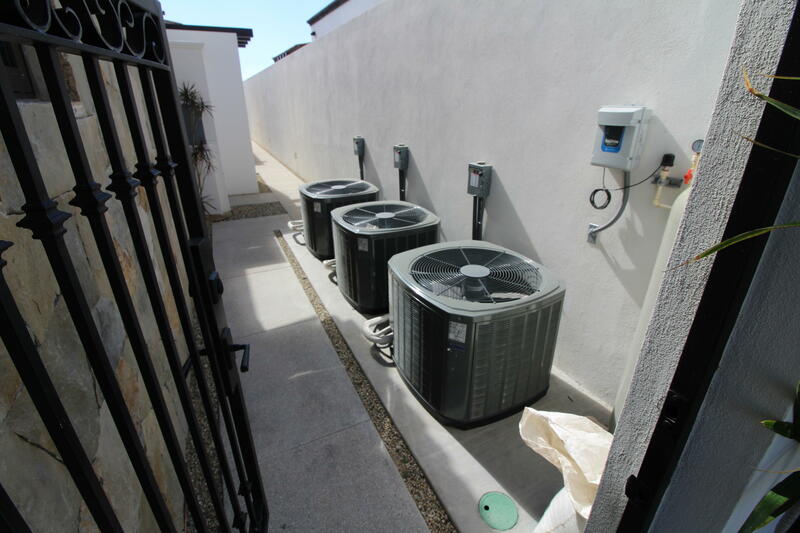 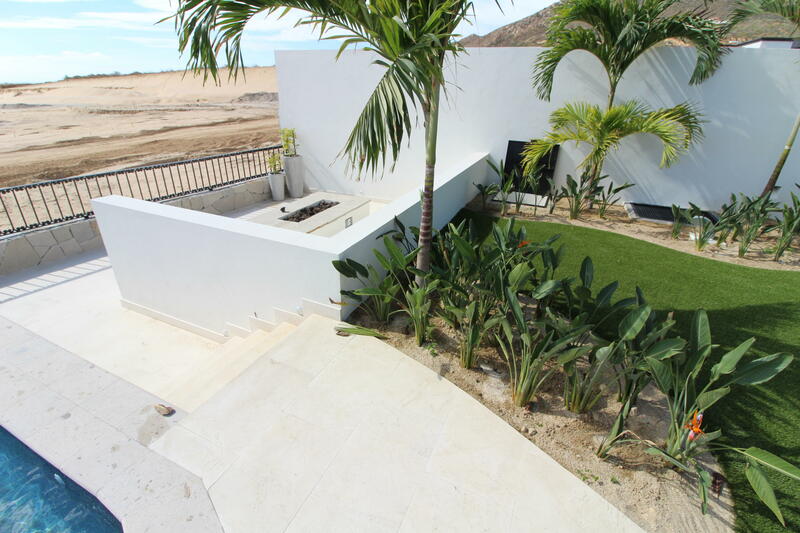 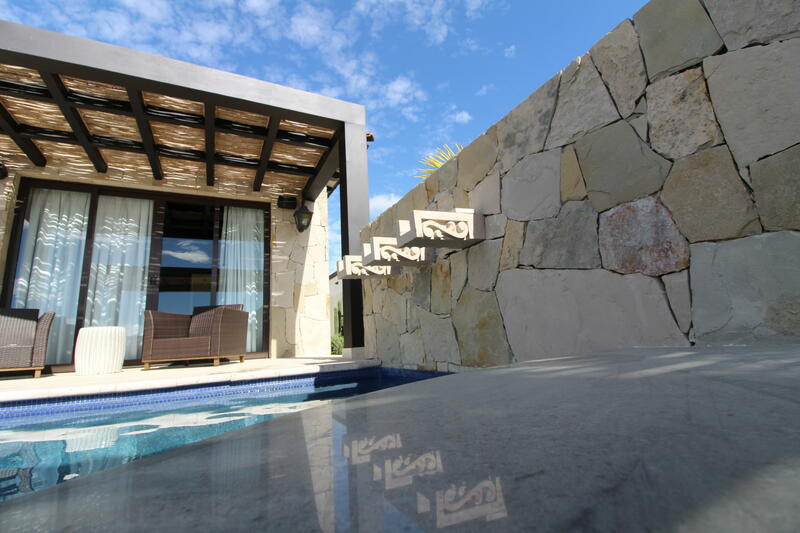 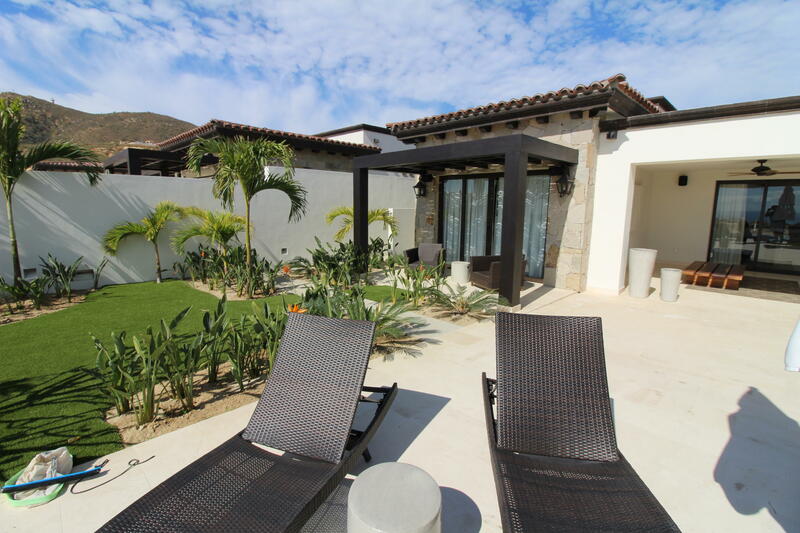 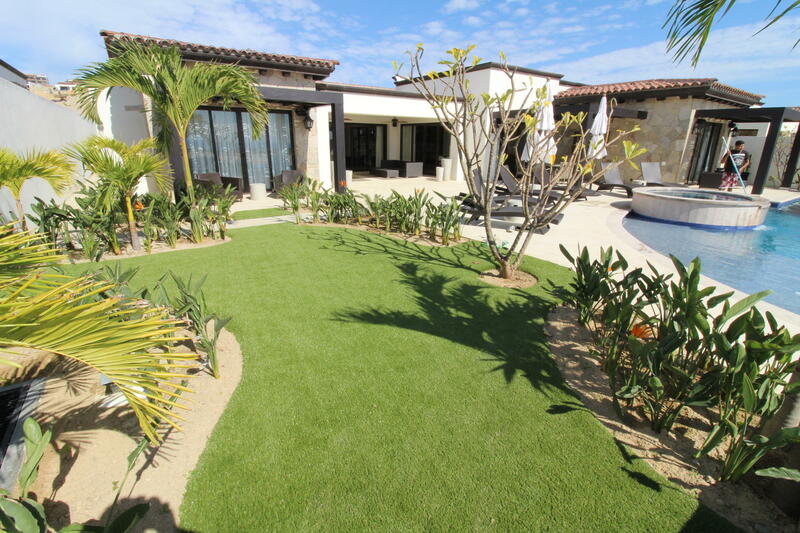 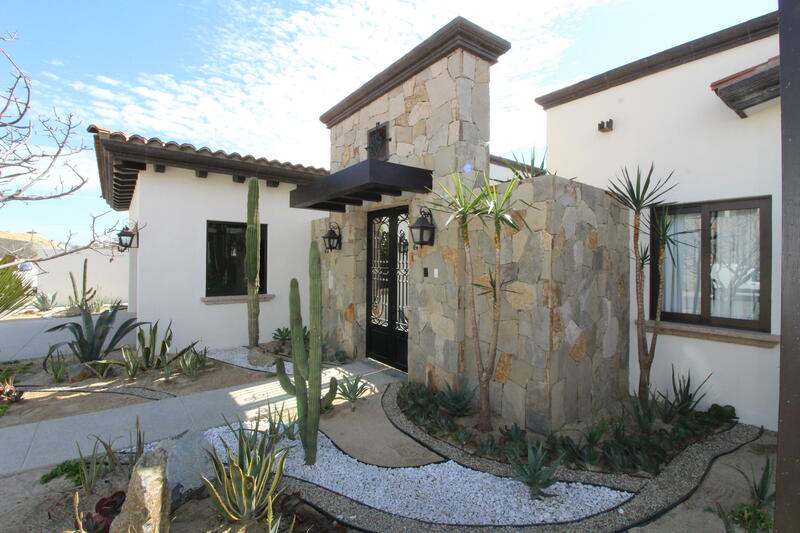 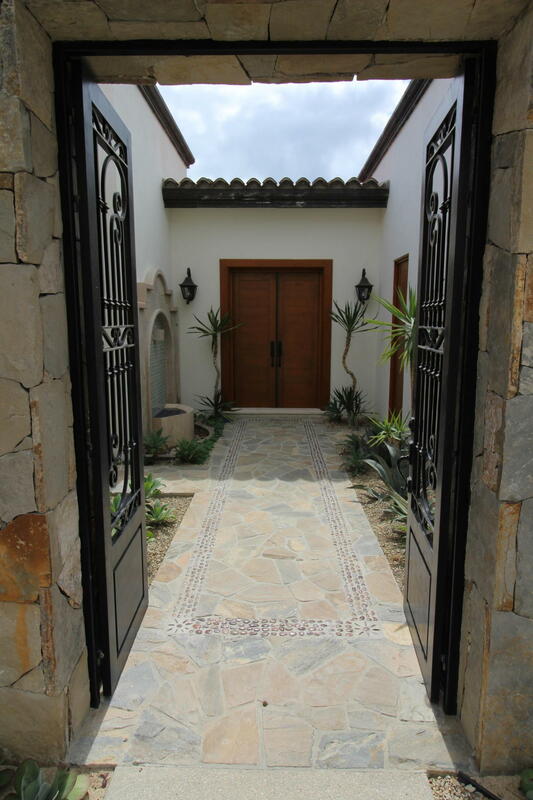 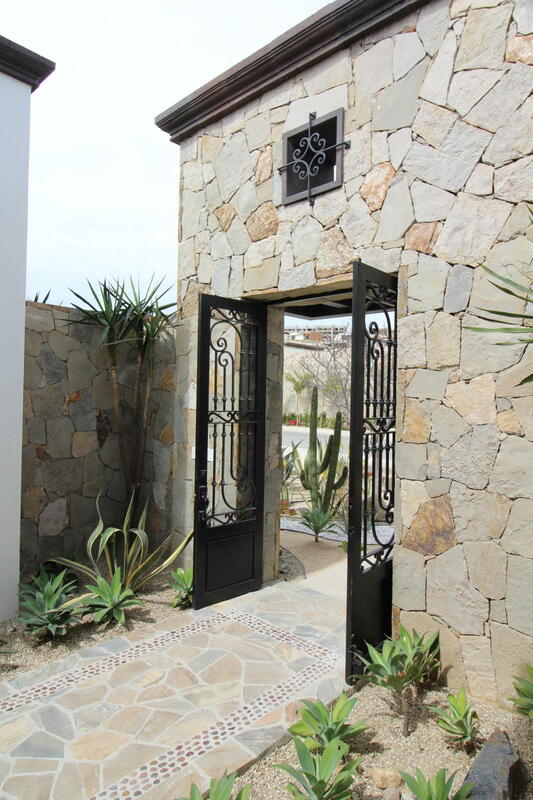 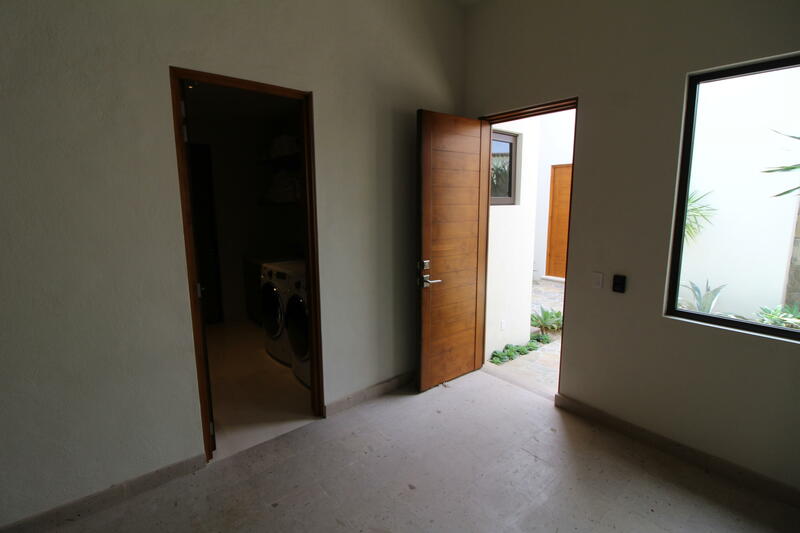 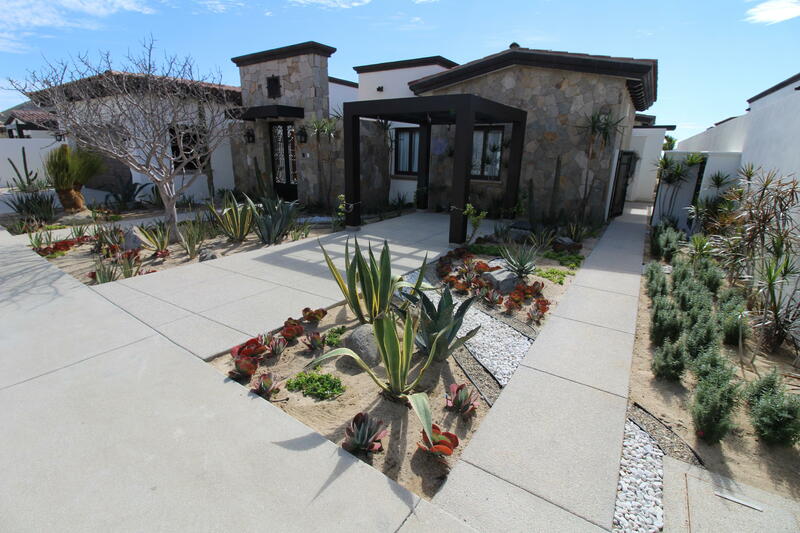 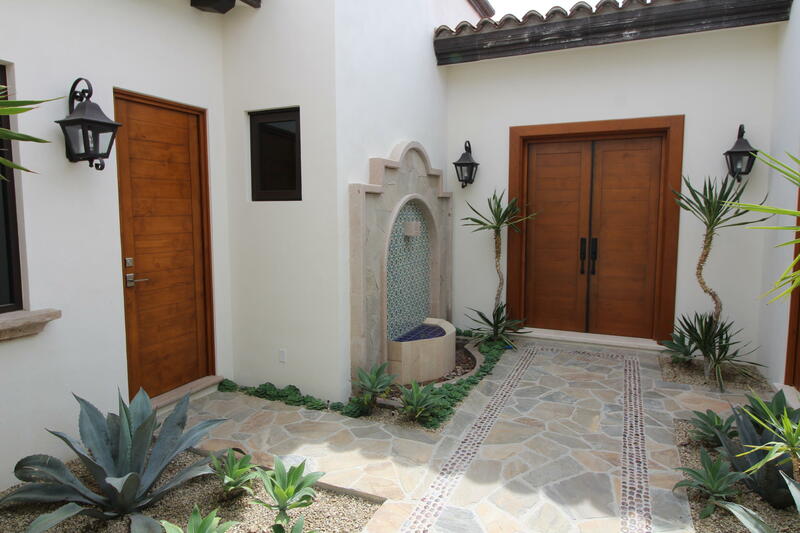 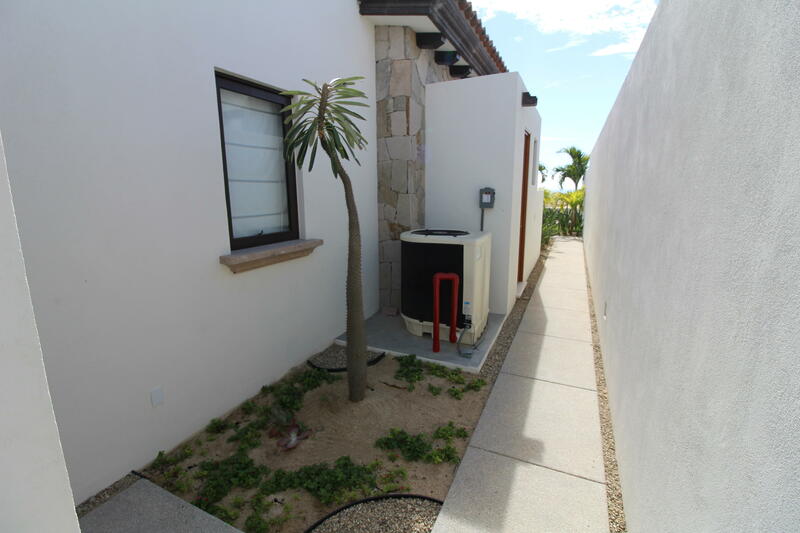 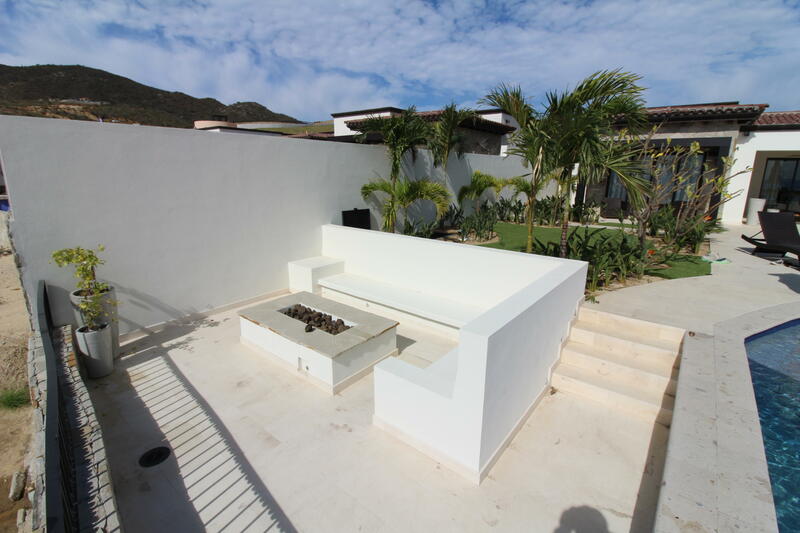 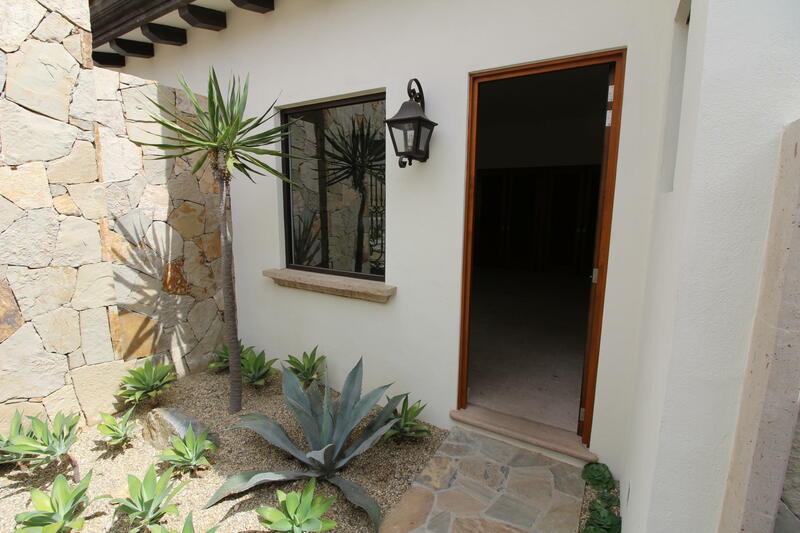 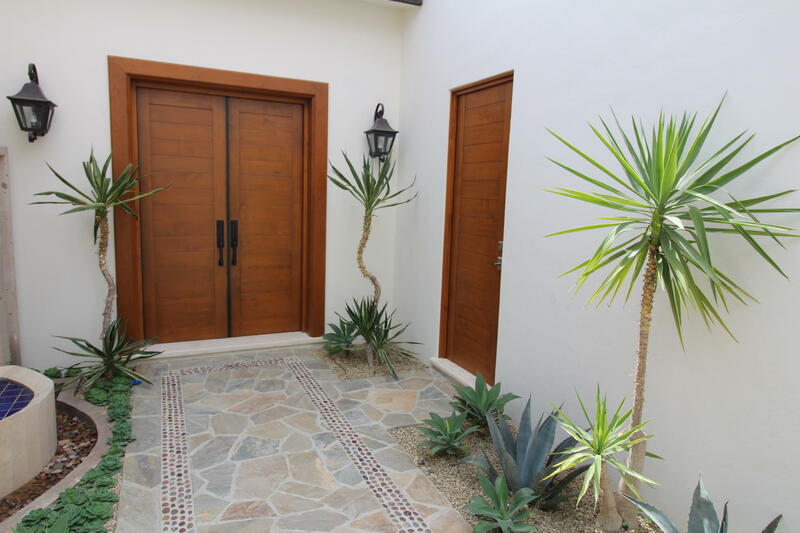 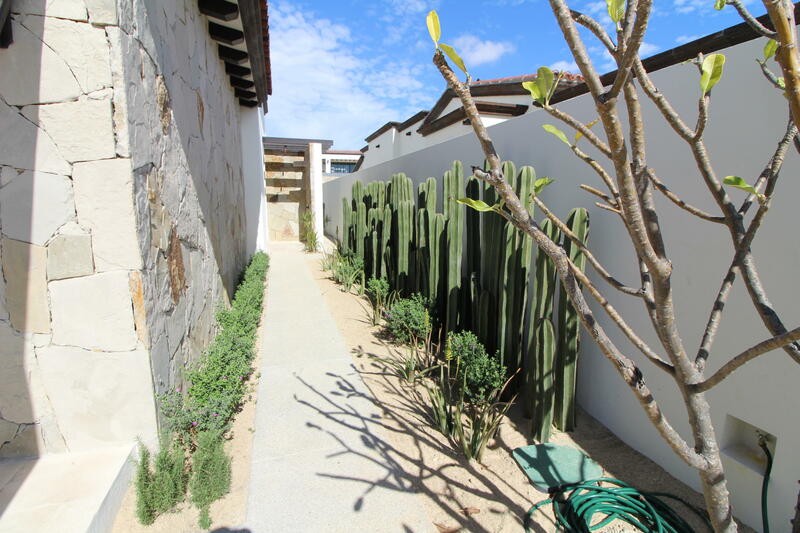 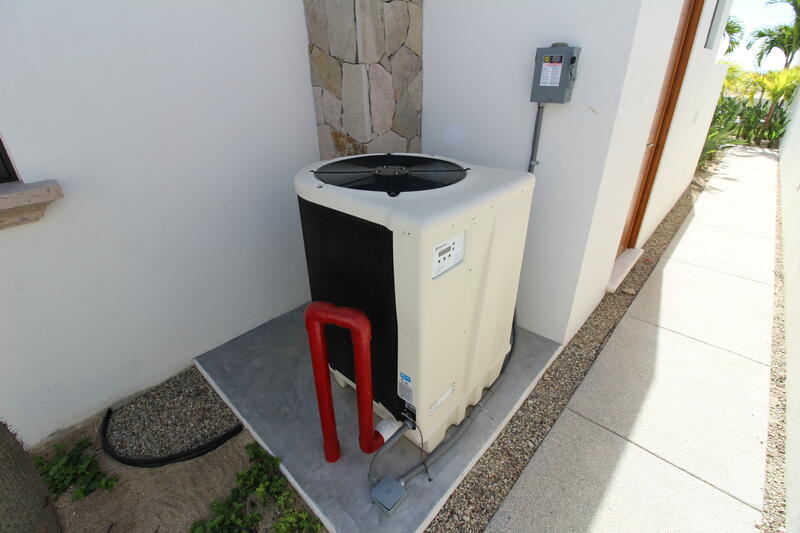 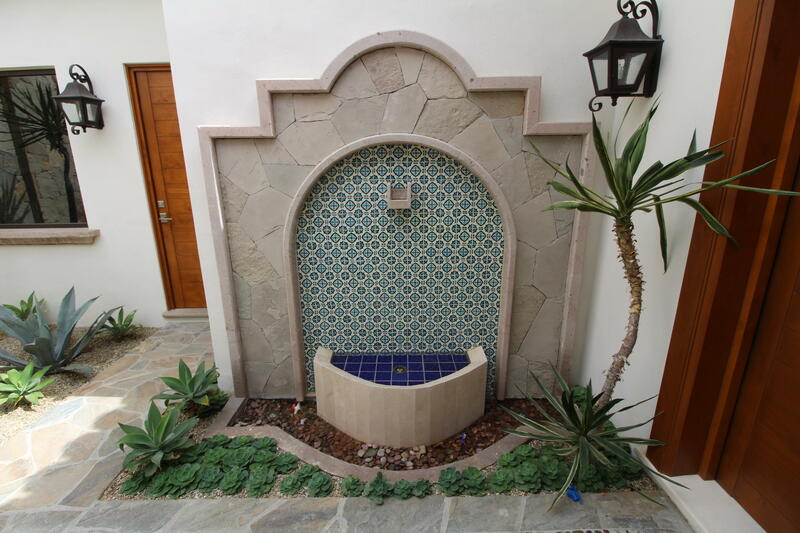 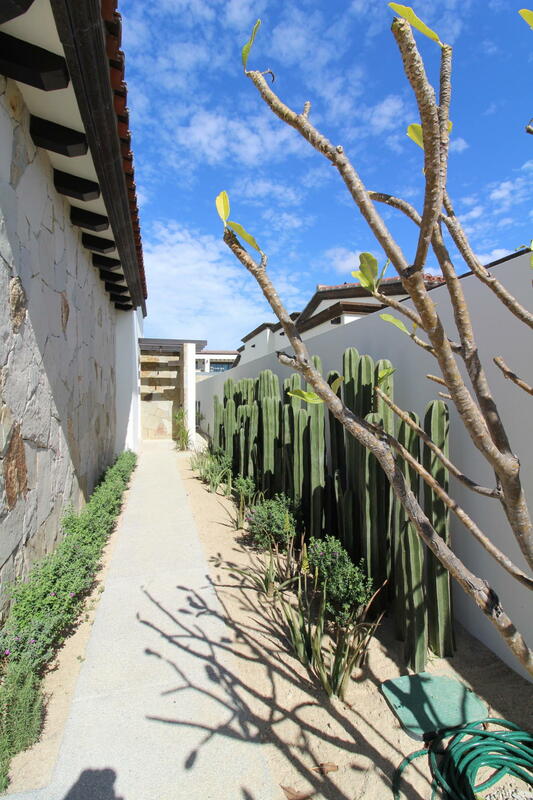 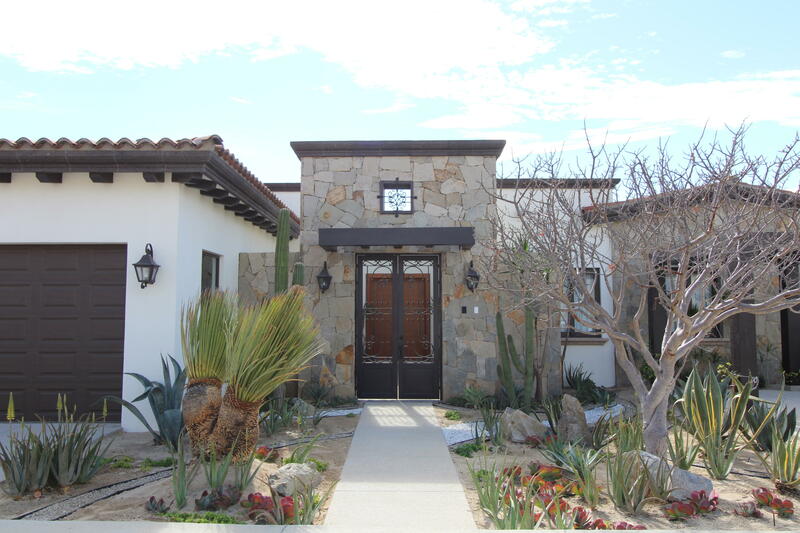 Courtyard with fountain and access to guest casita with kitchenette. 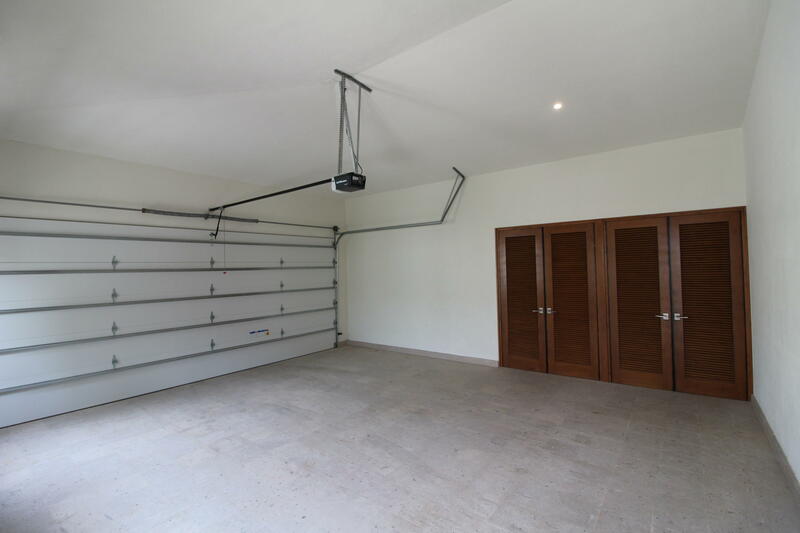 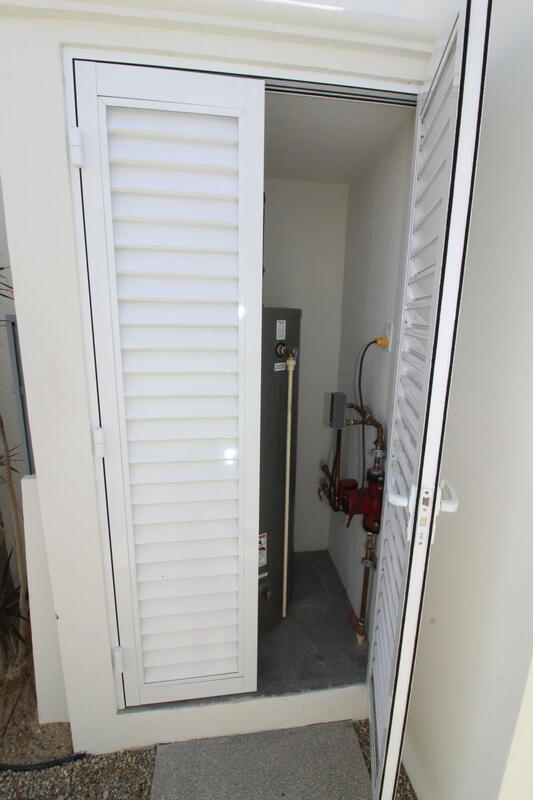 Giant 2 car garage with storage closet. 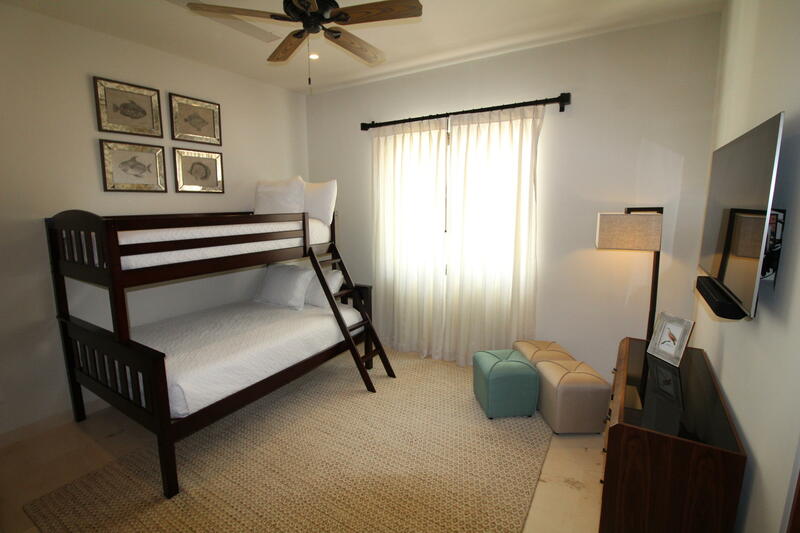 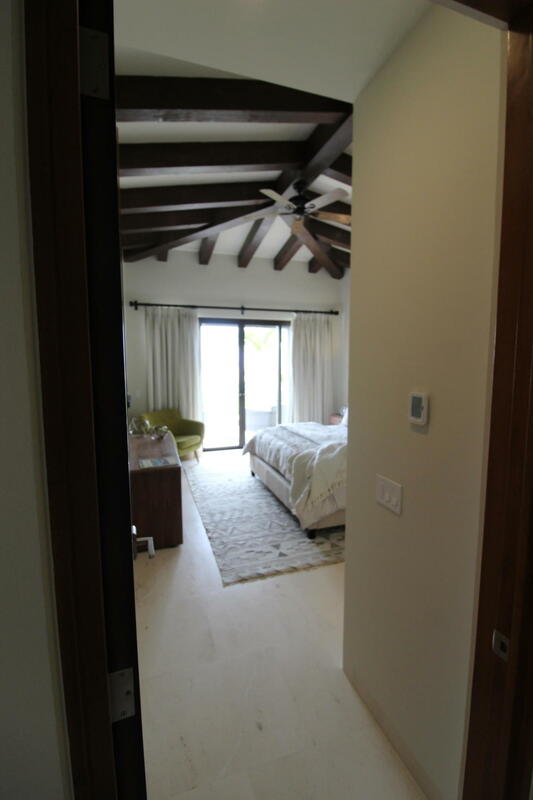 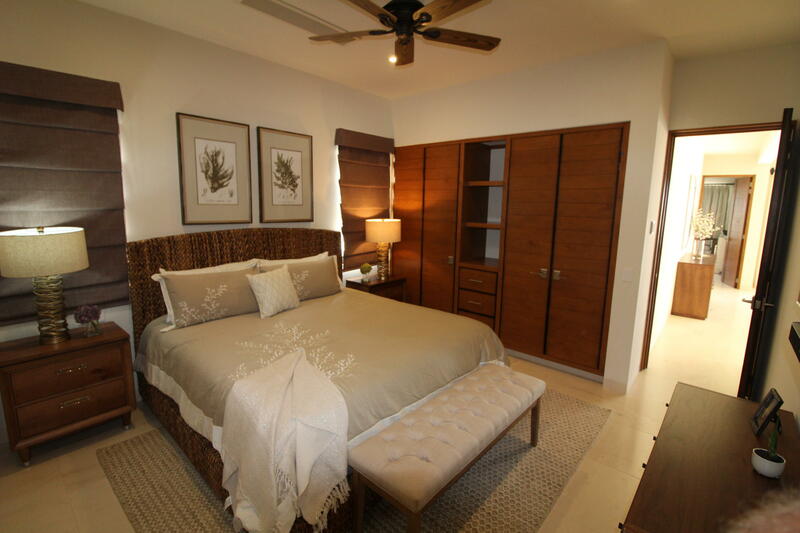 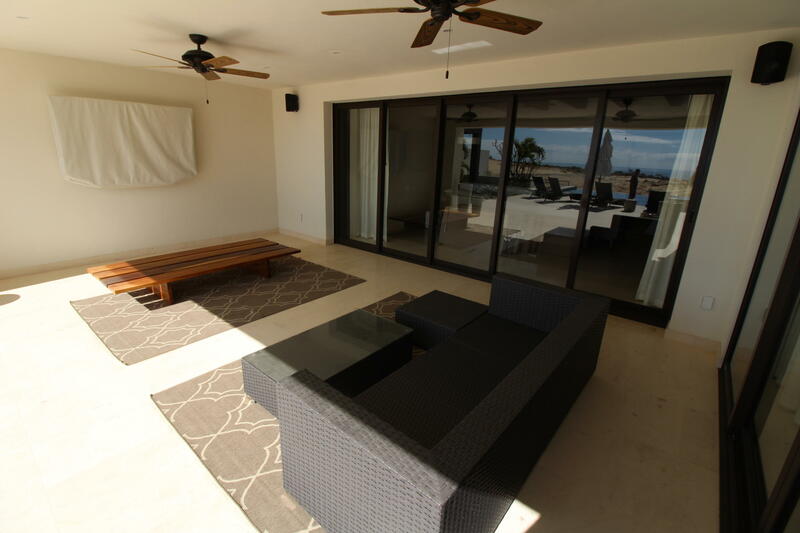 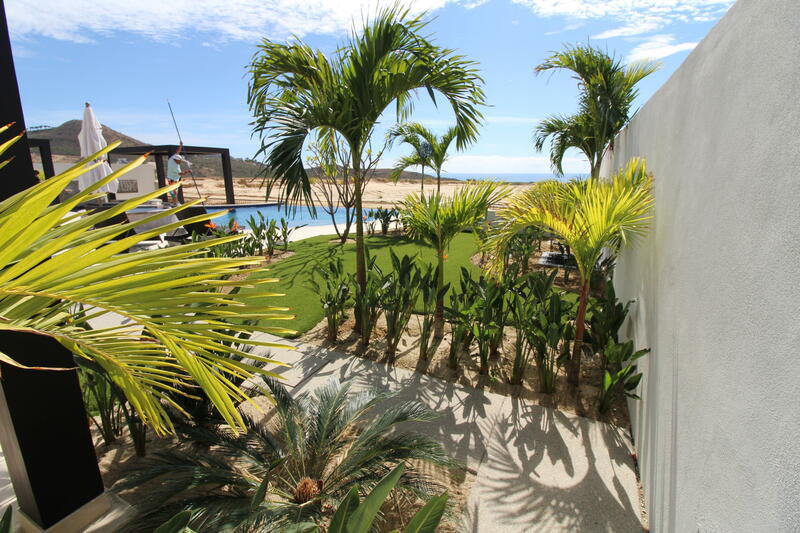 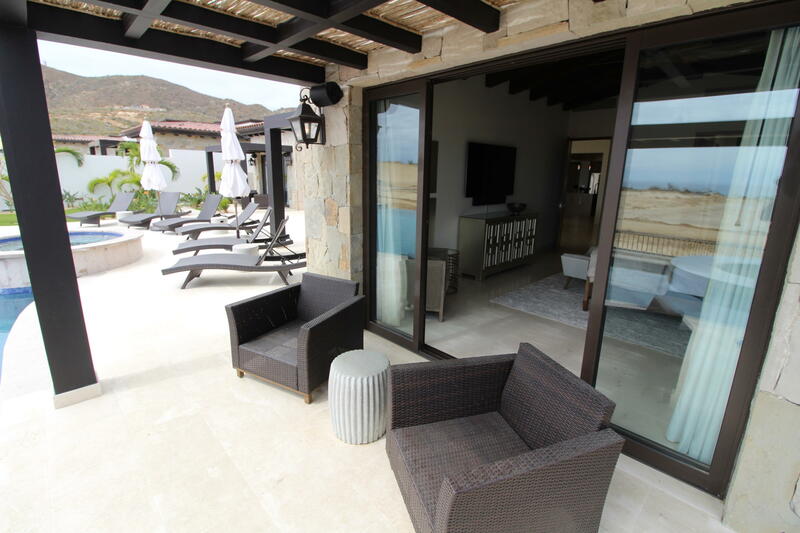 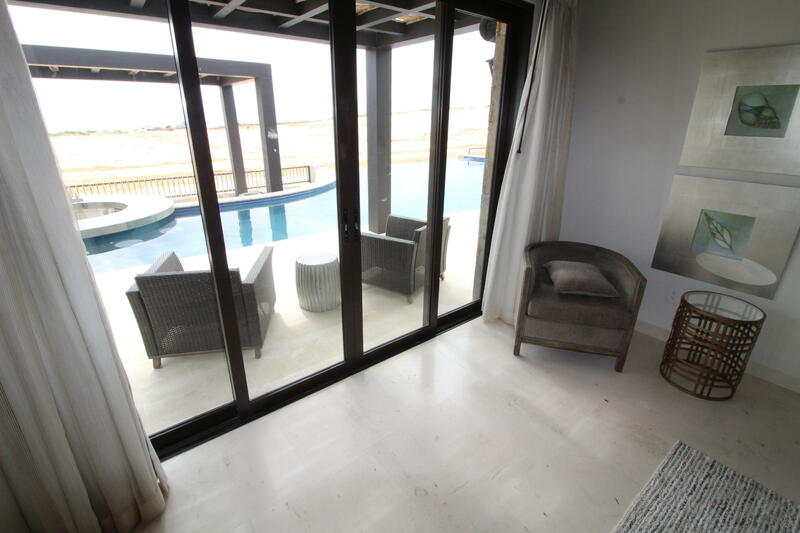 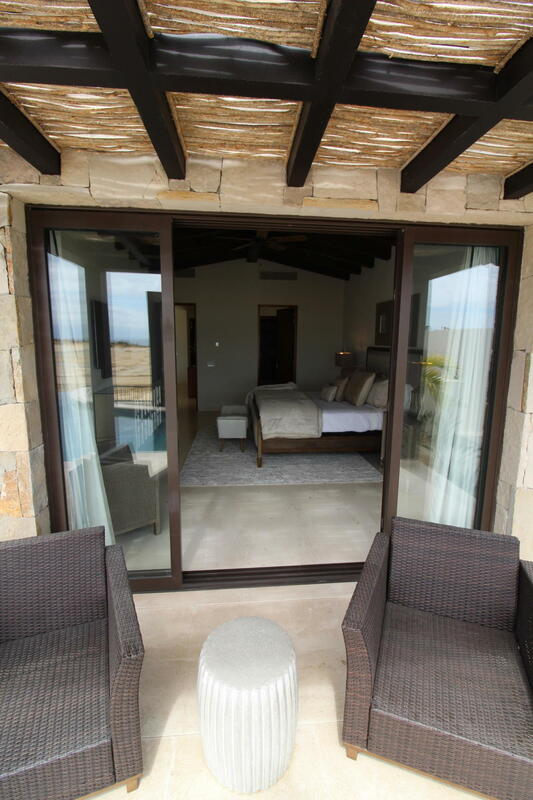 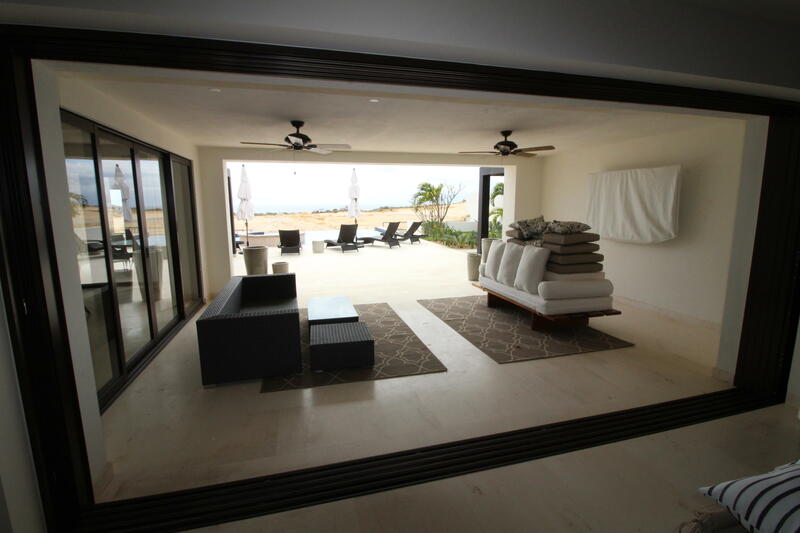 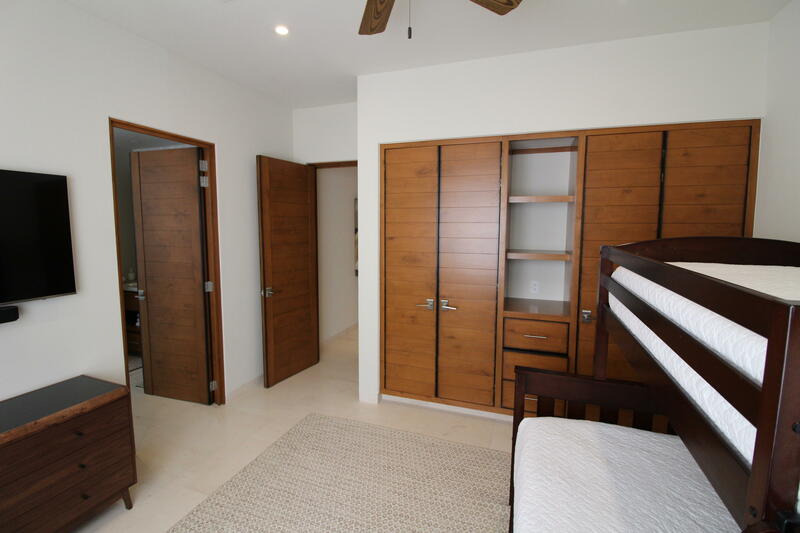 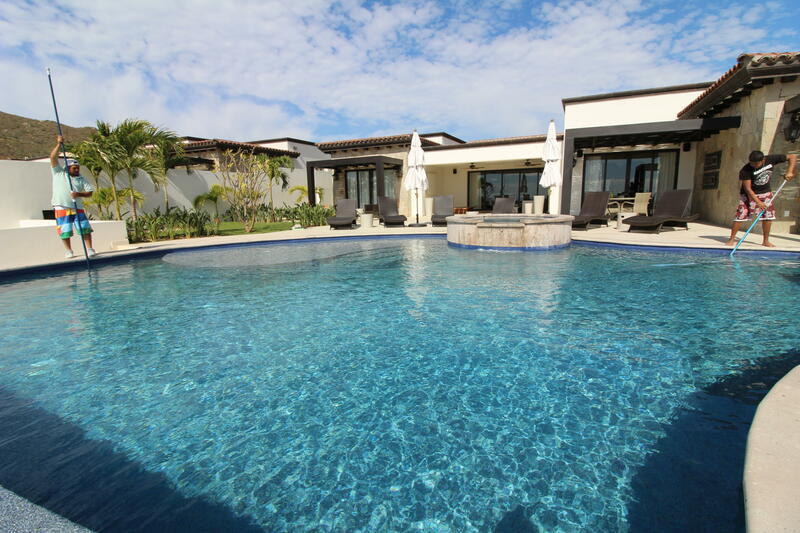 Both ocean-view master bedrooms have pocket doors that open on to the pool deck. 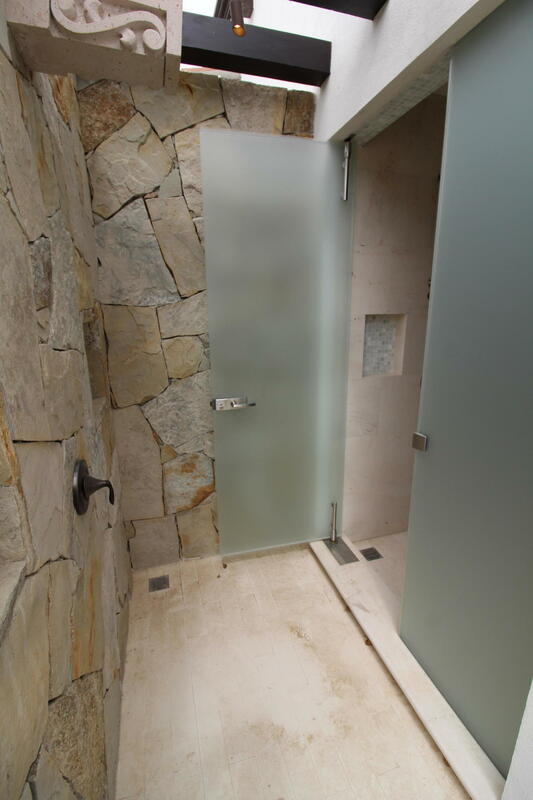 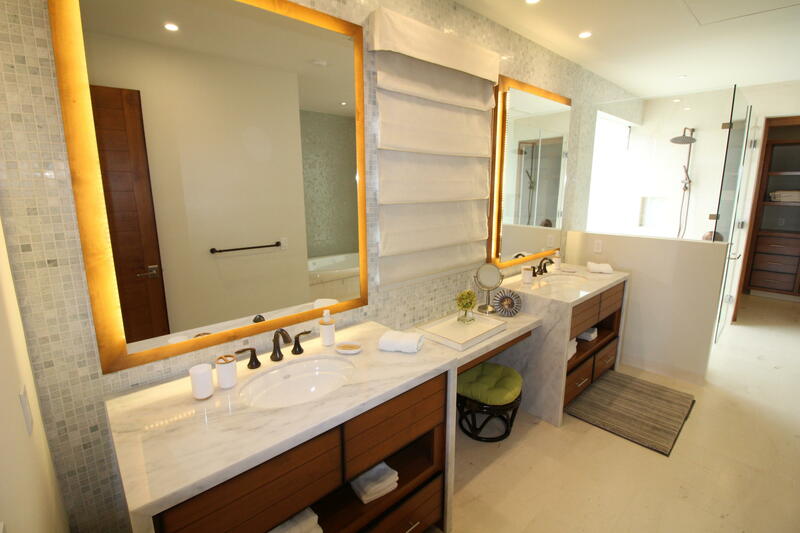 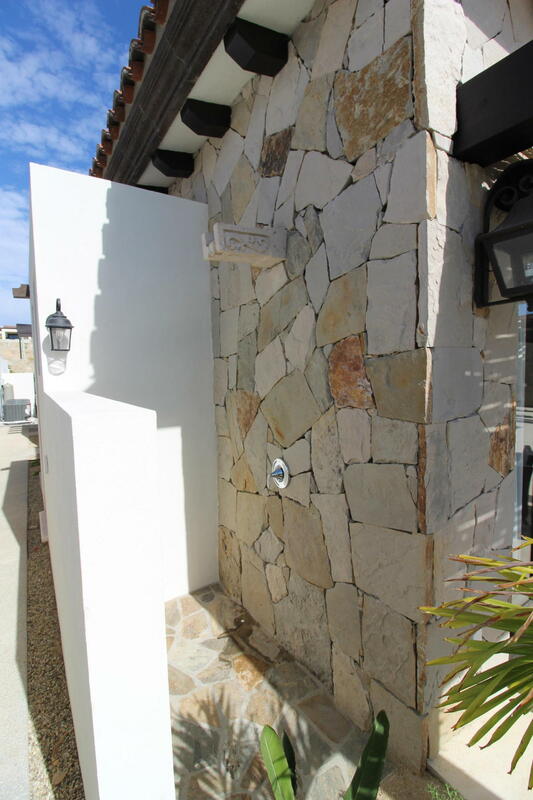 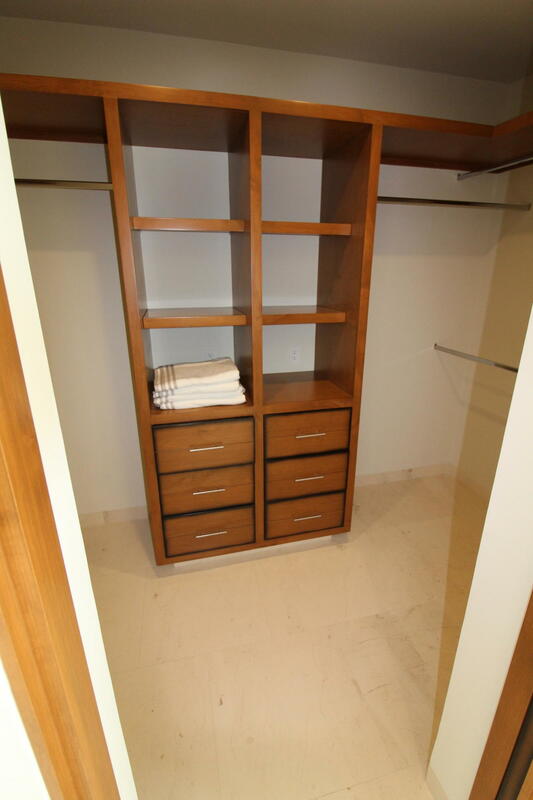 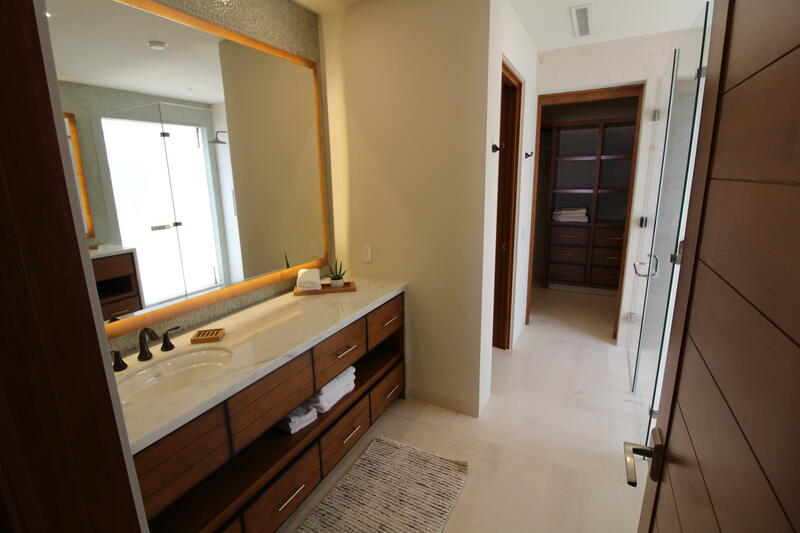 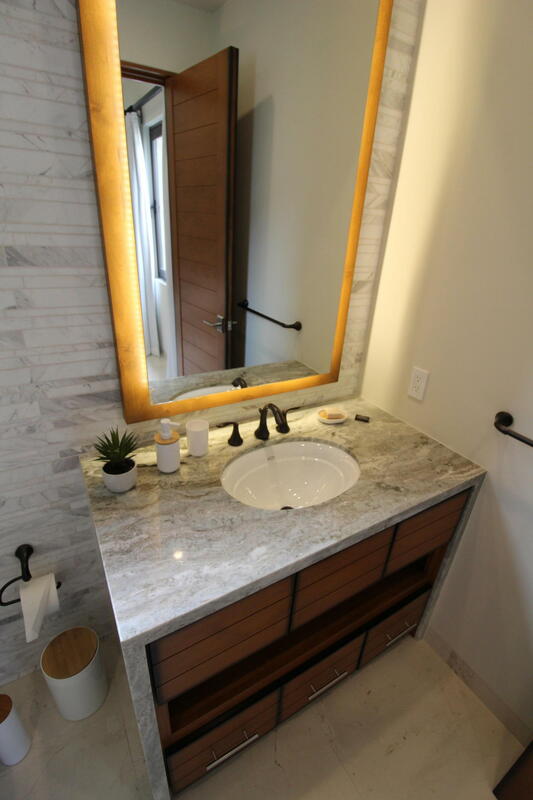 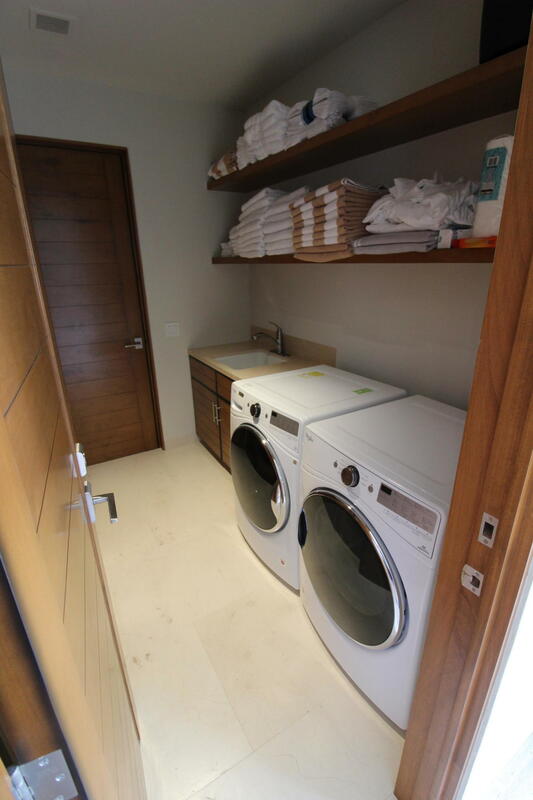 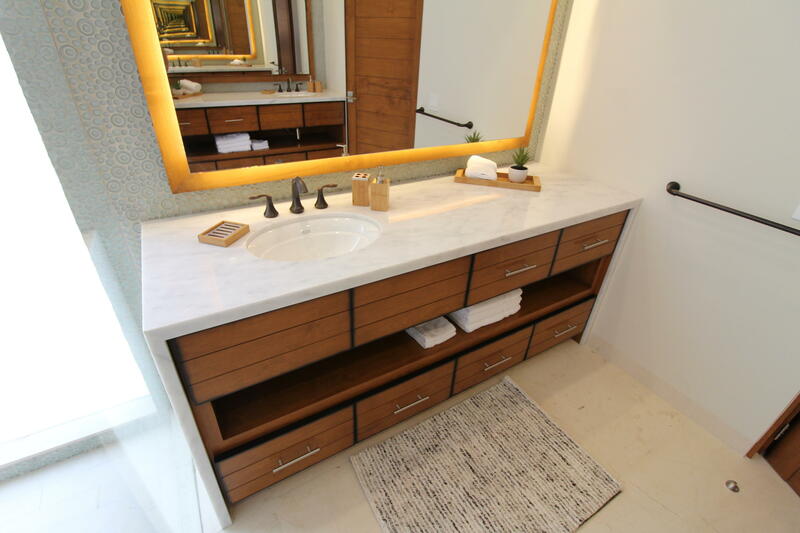 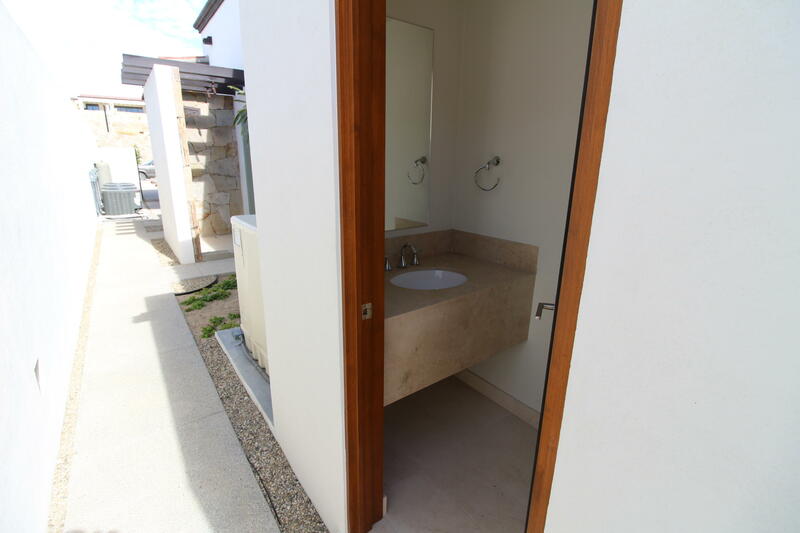 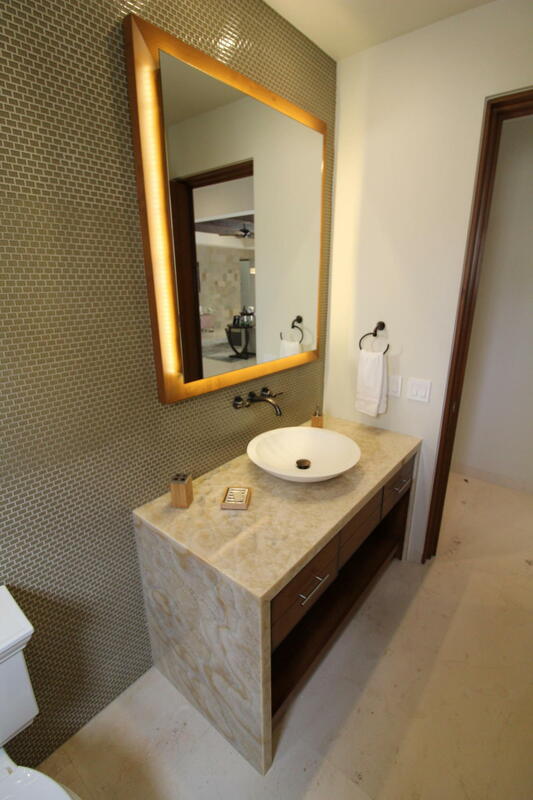 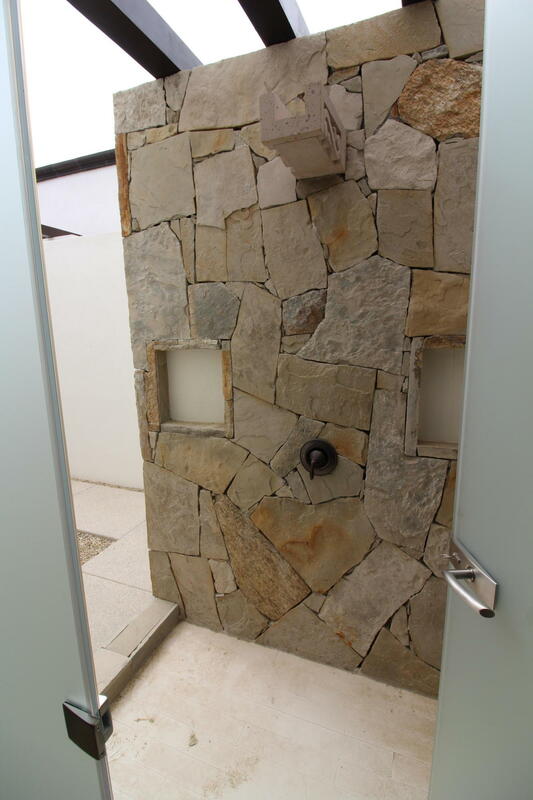 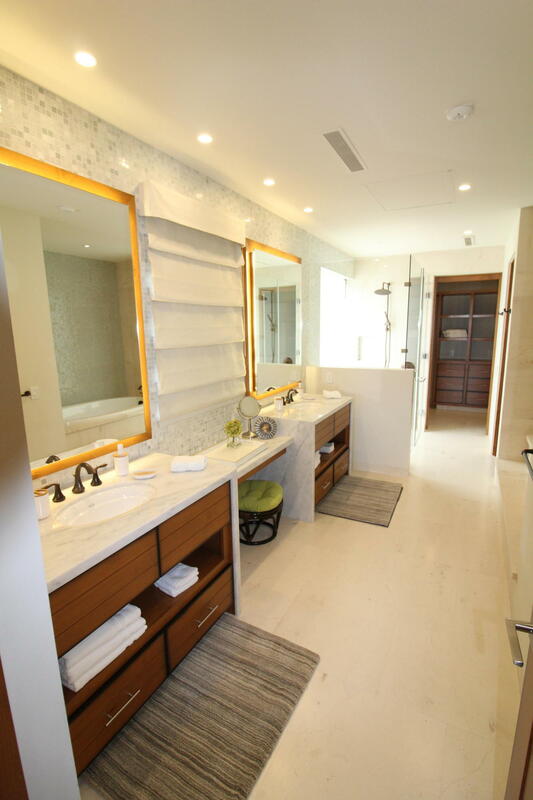 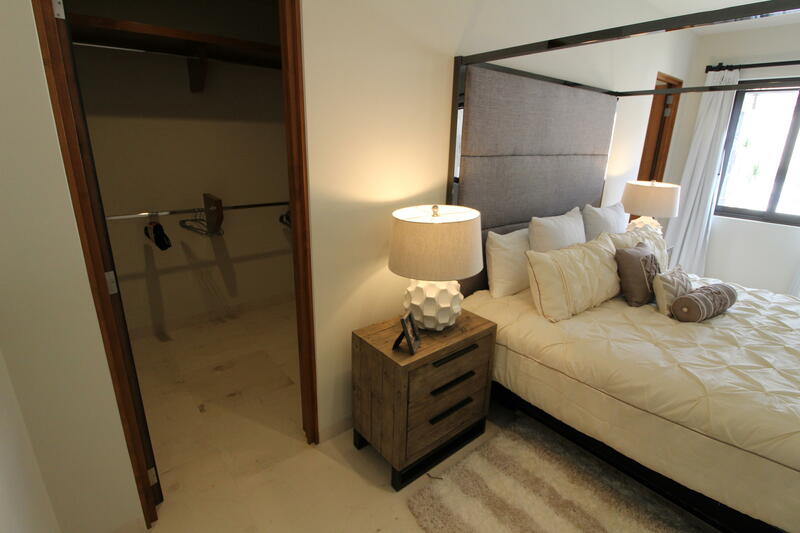 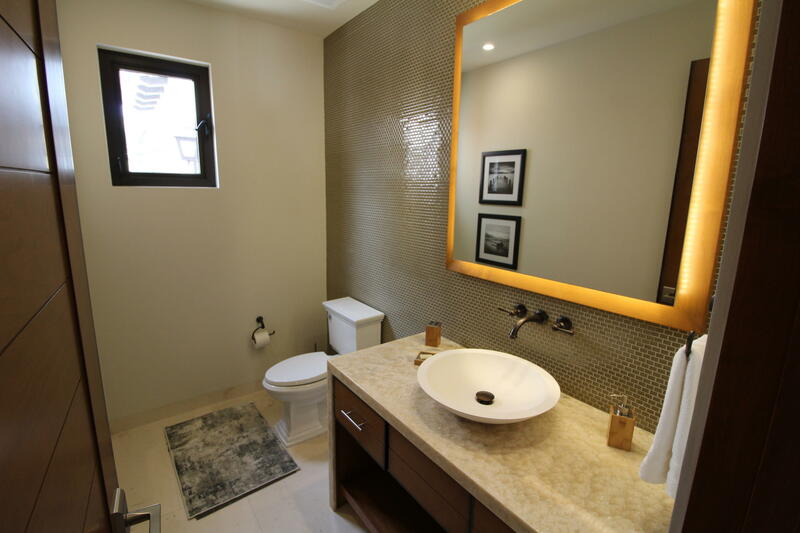 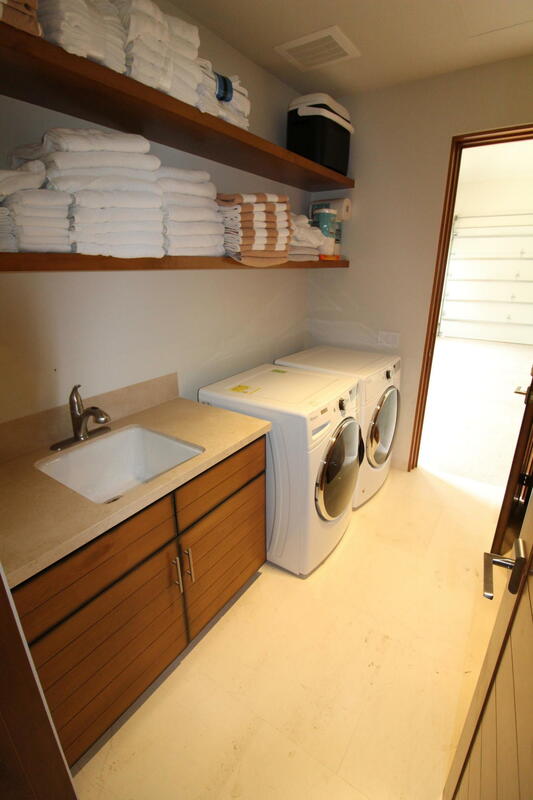 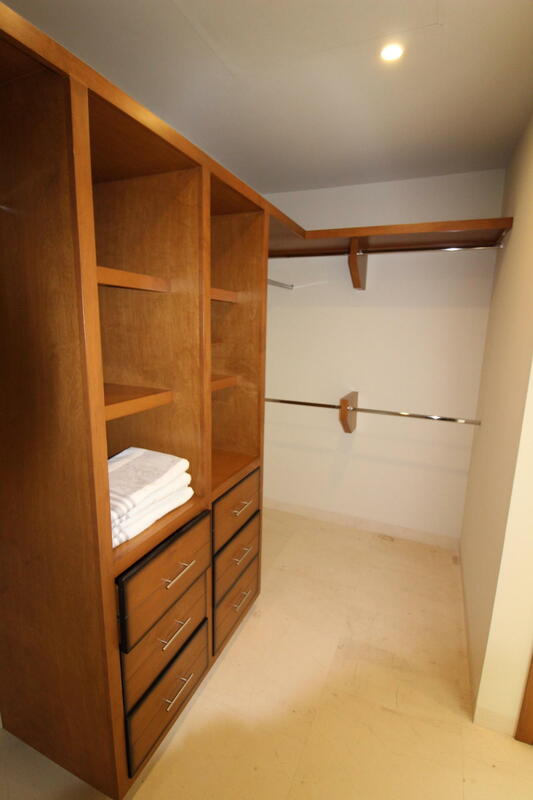 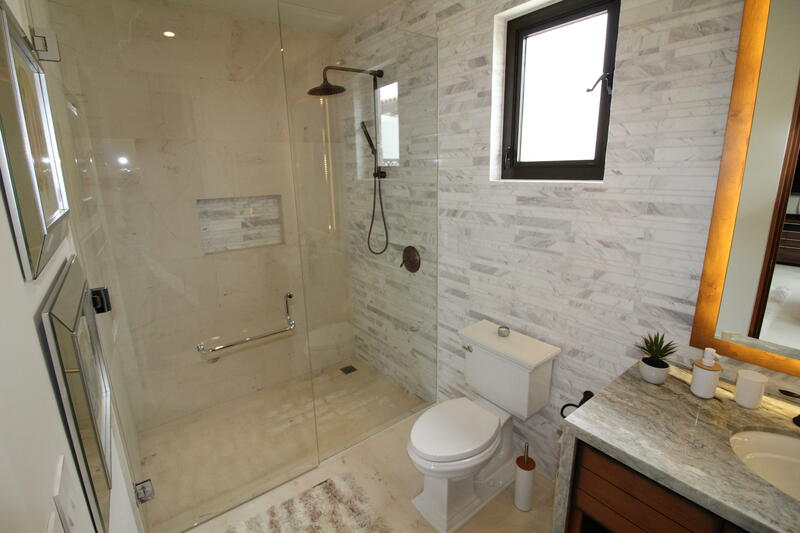 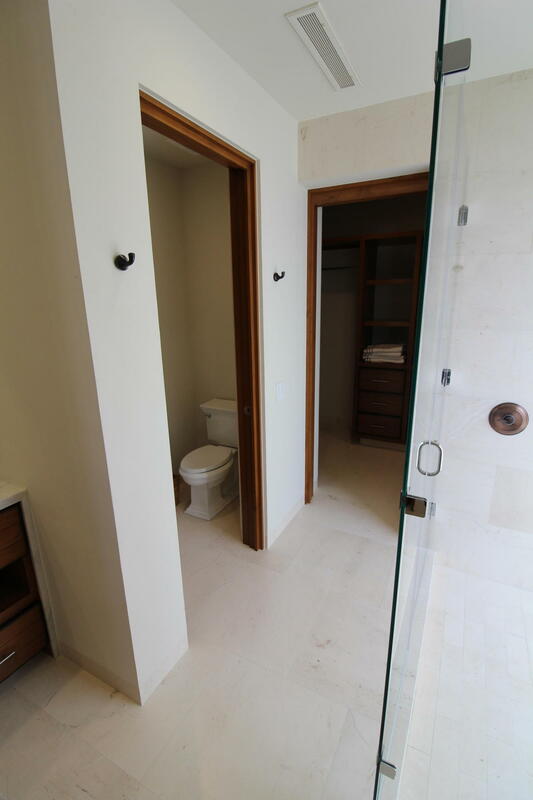 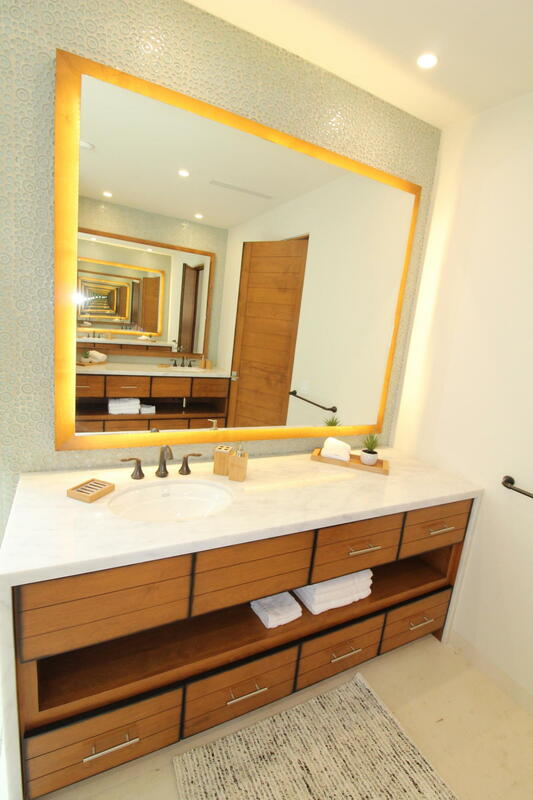 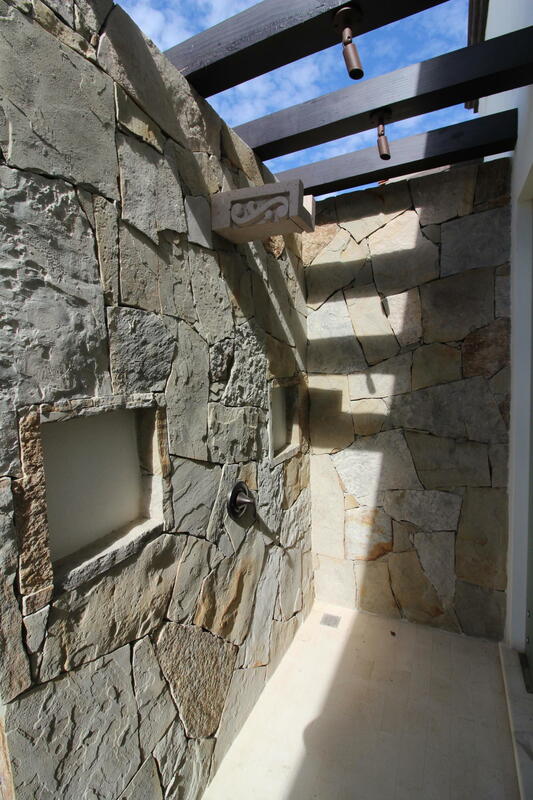 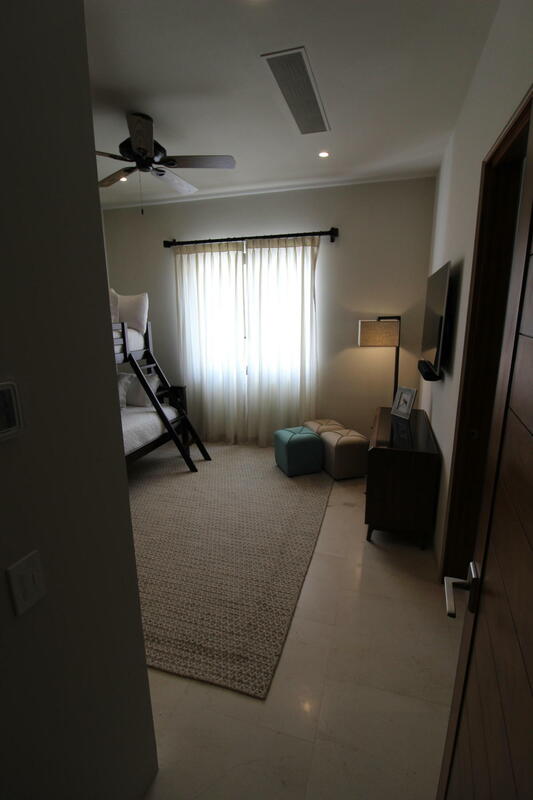 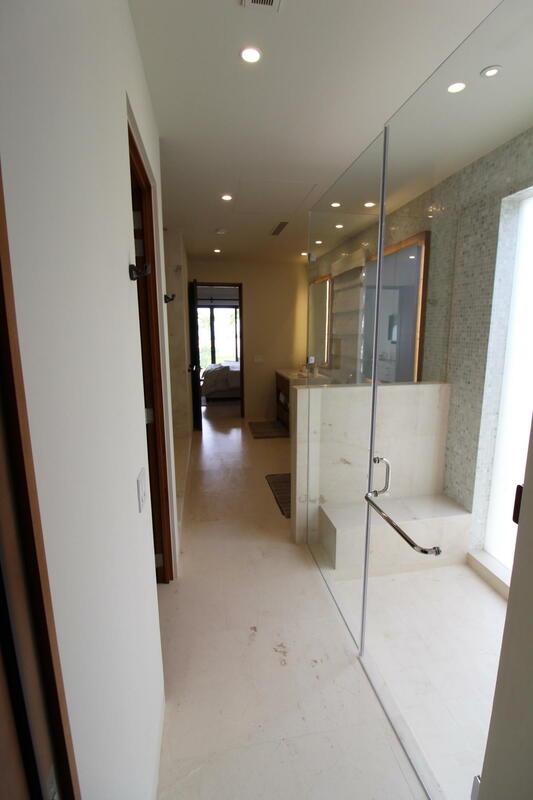 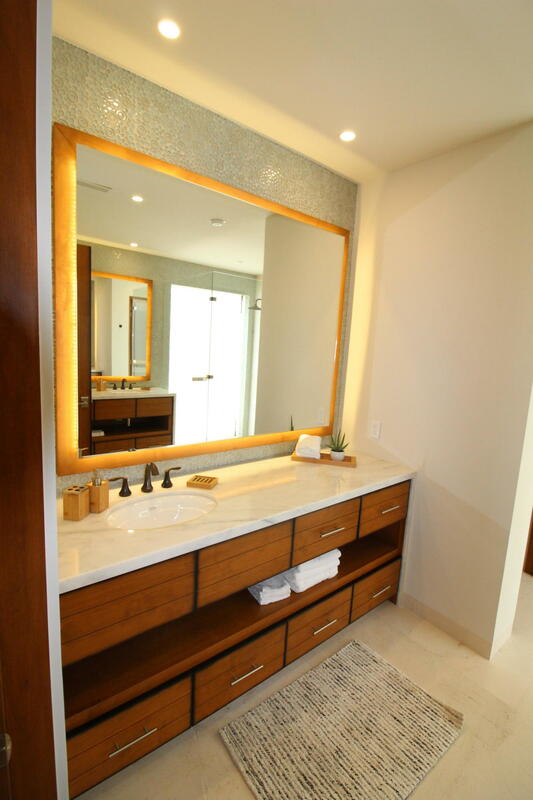 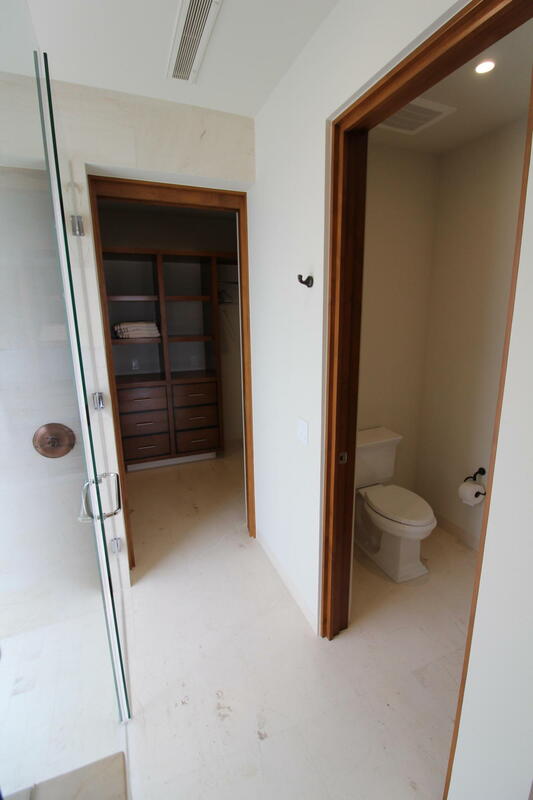 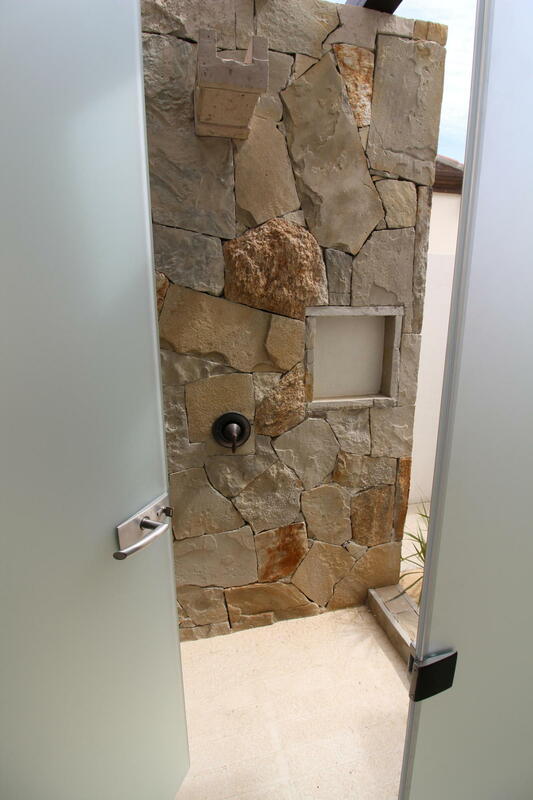 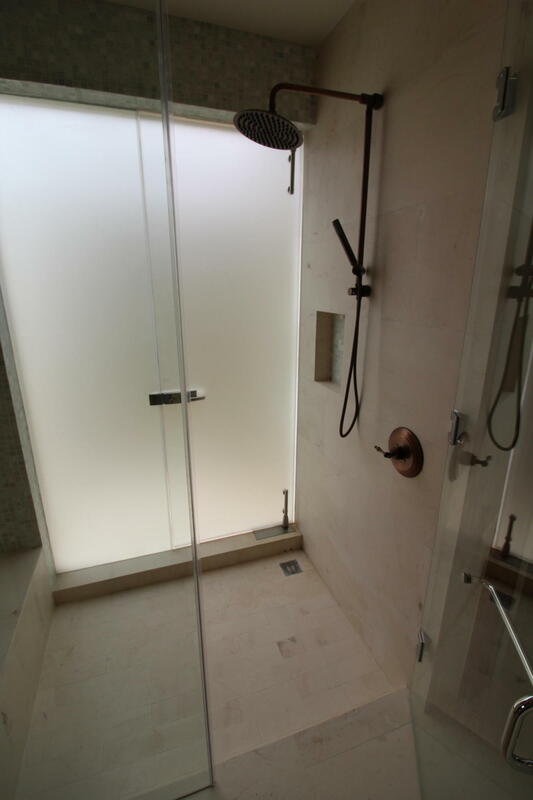 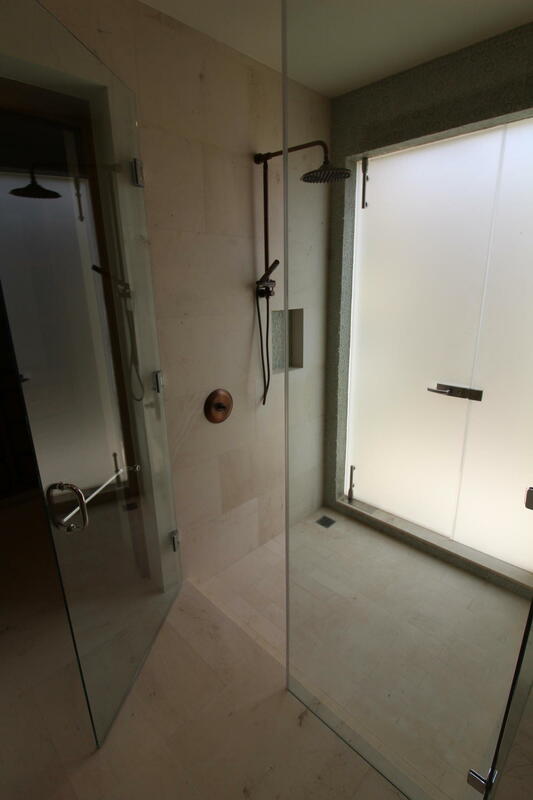 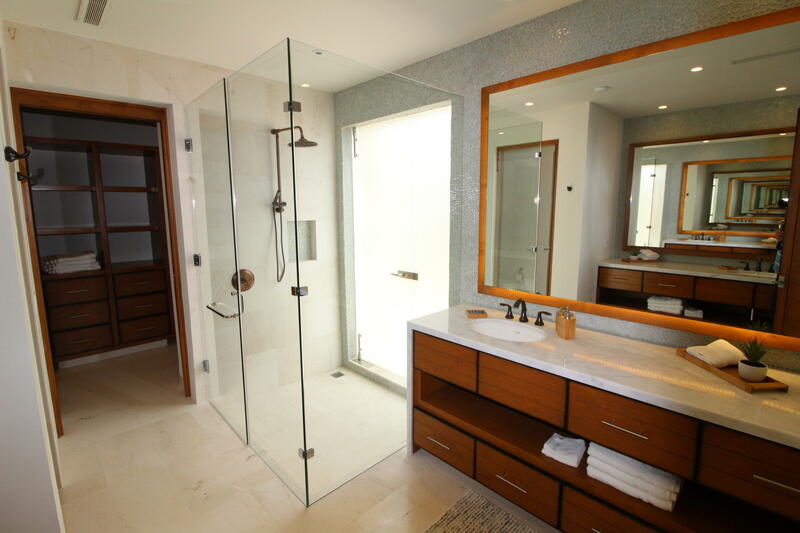 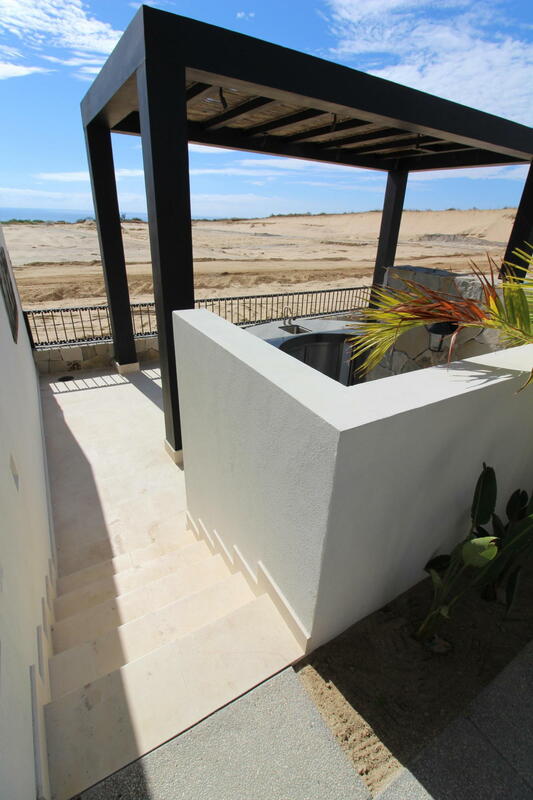 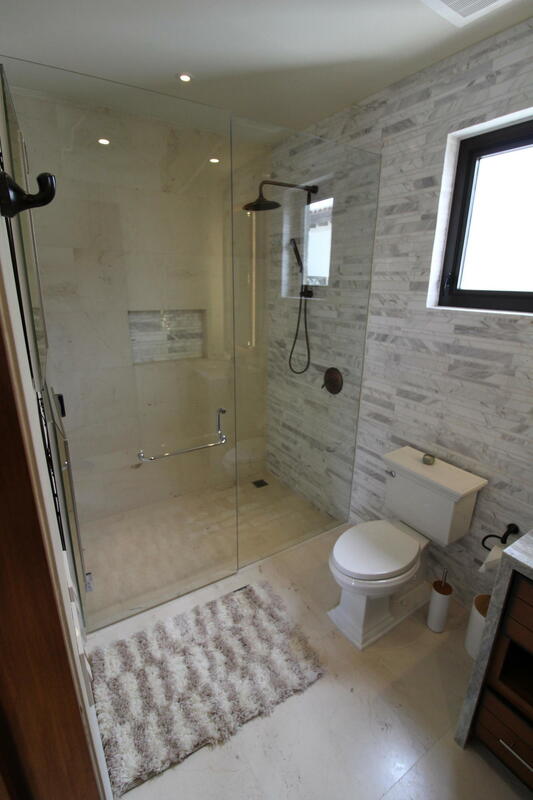 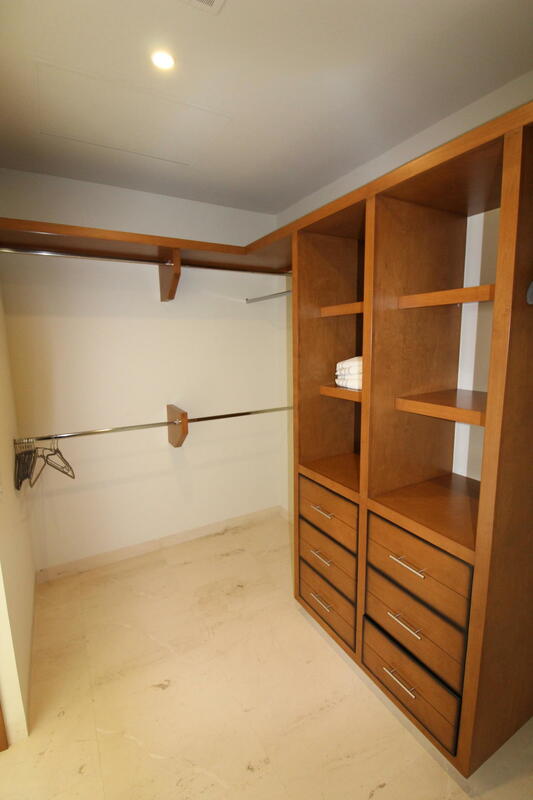 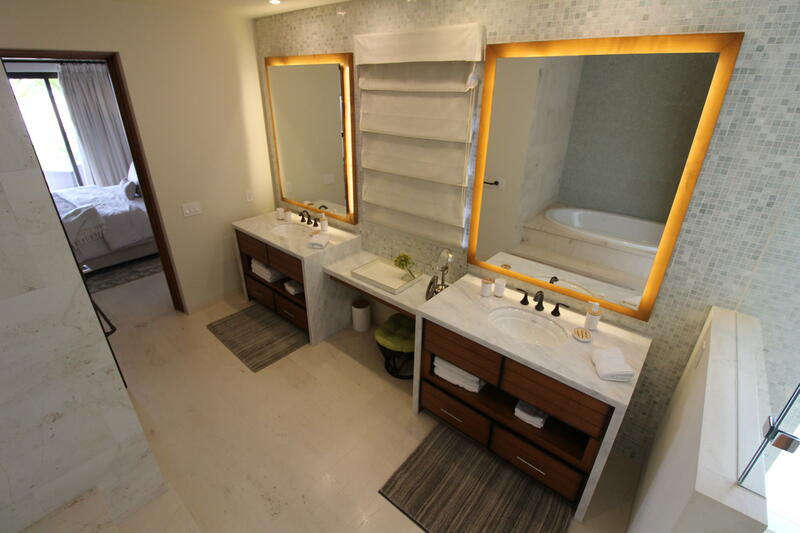 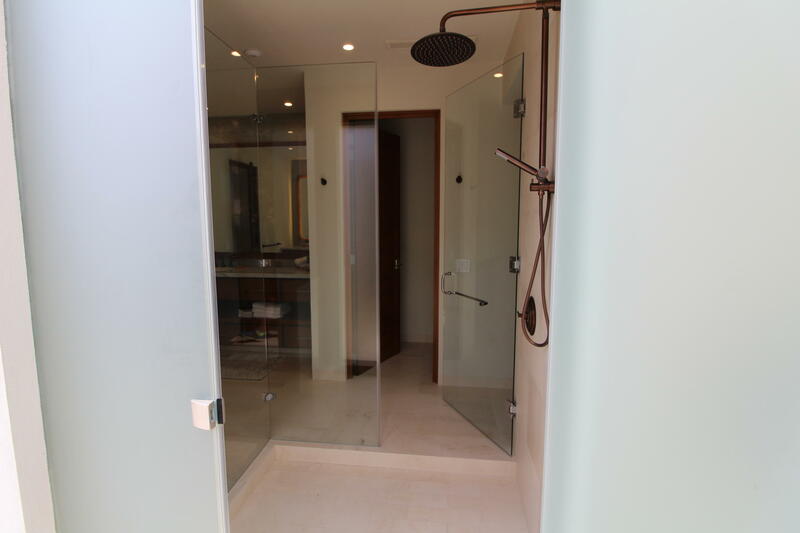 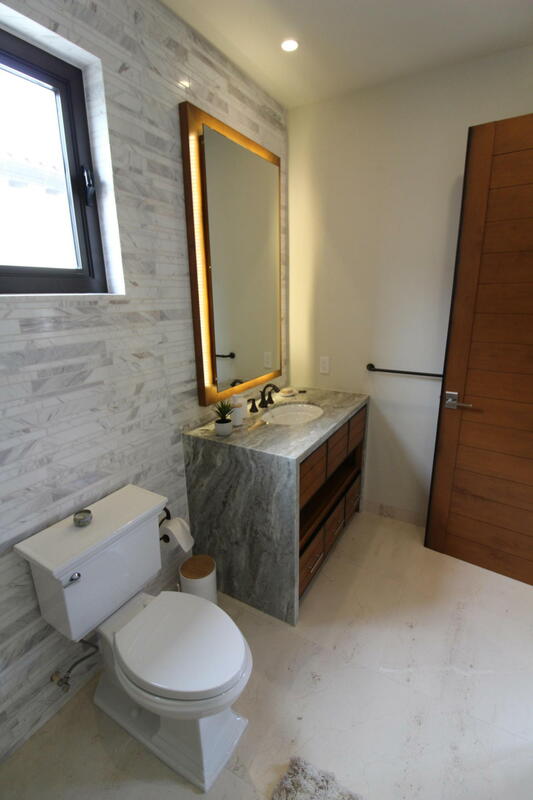 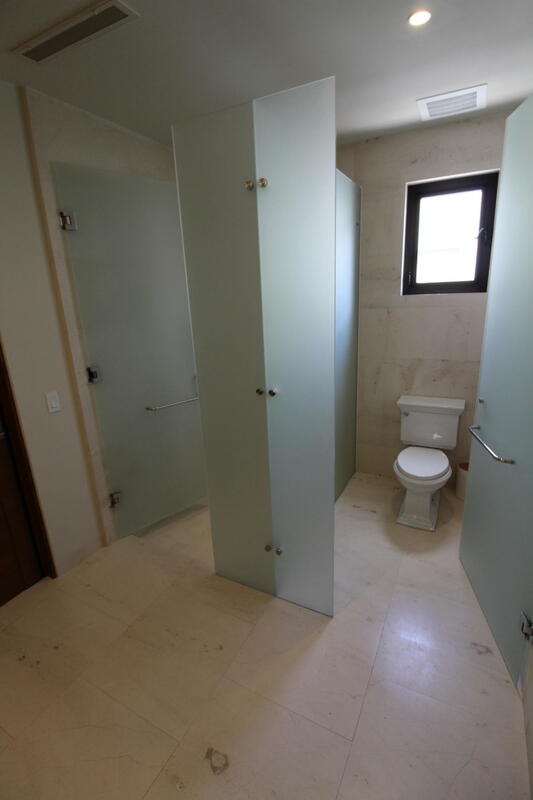 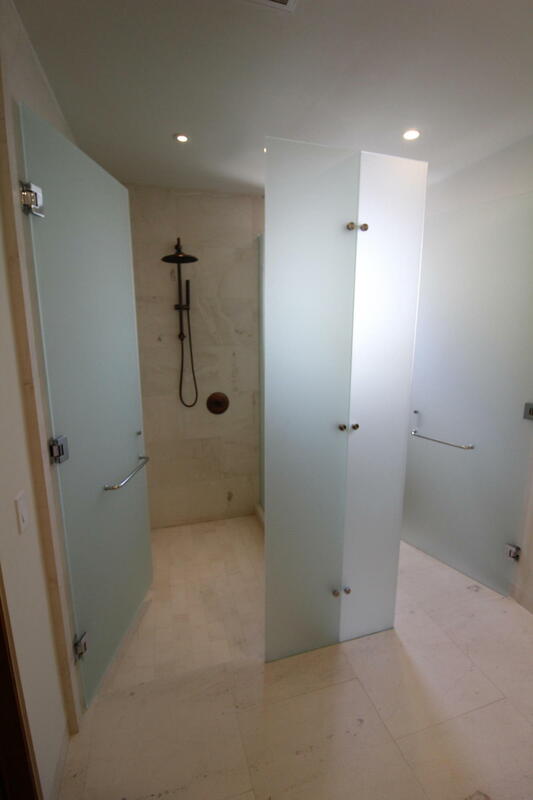 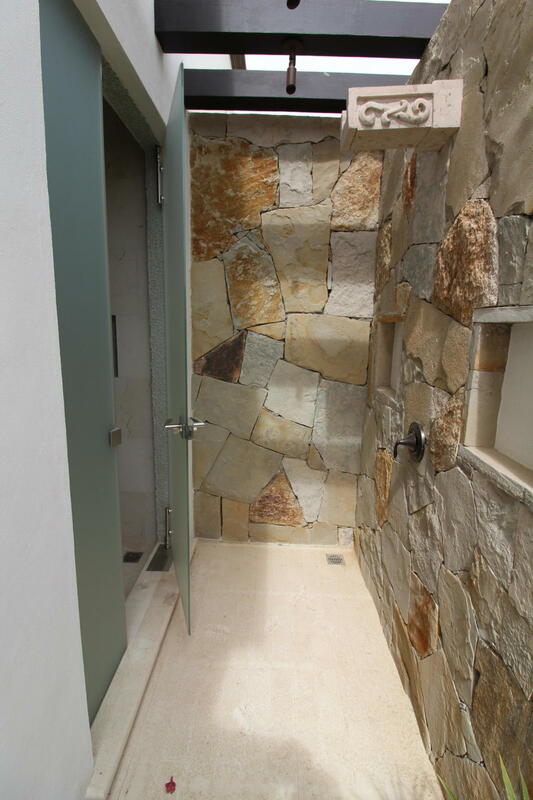 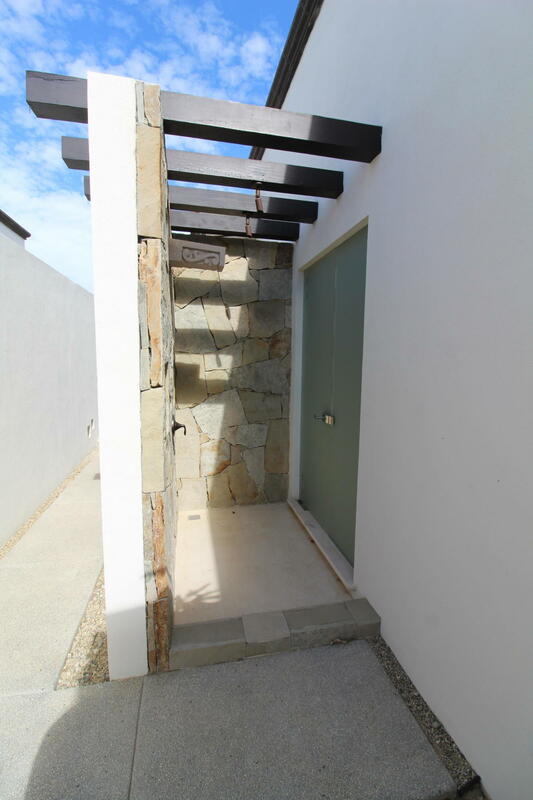 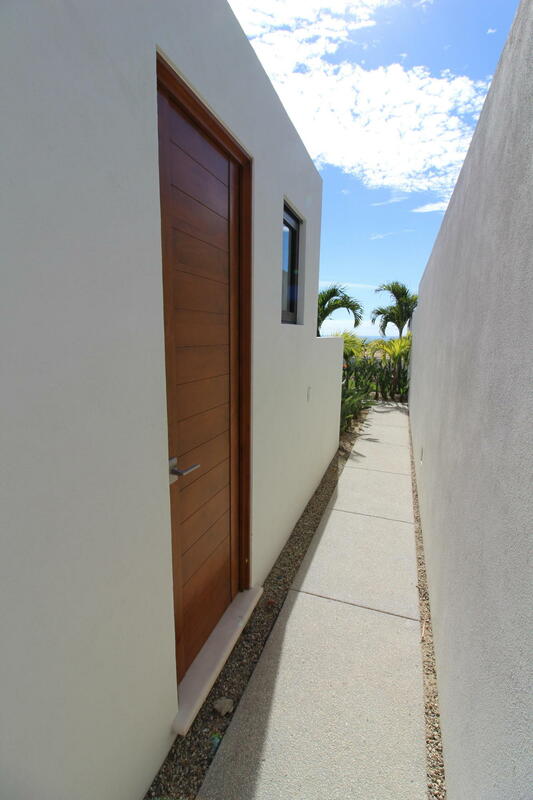 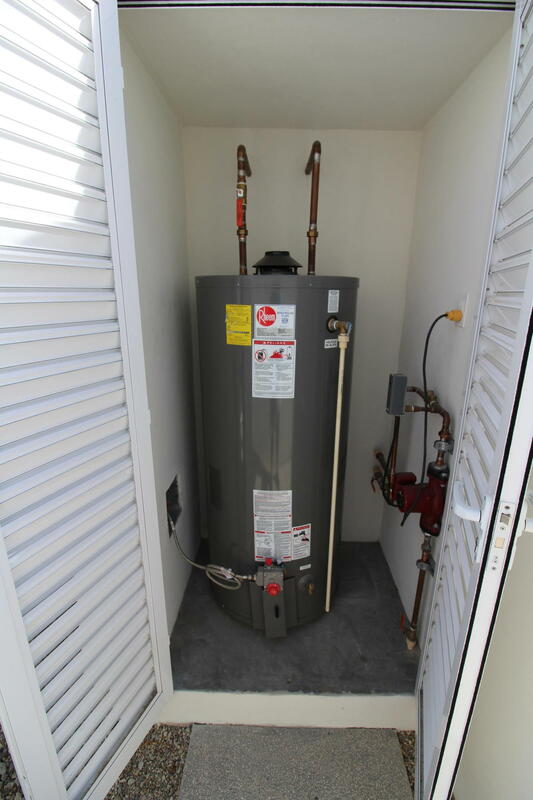 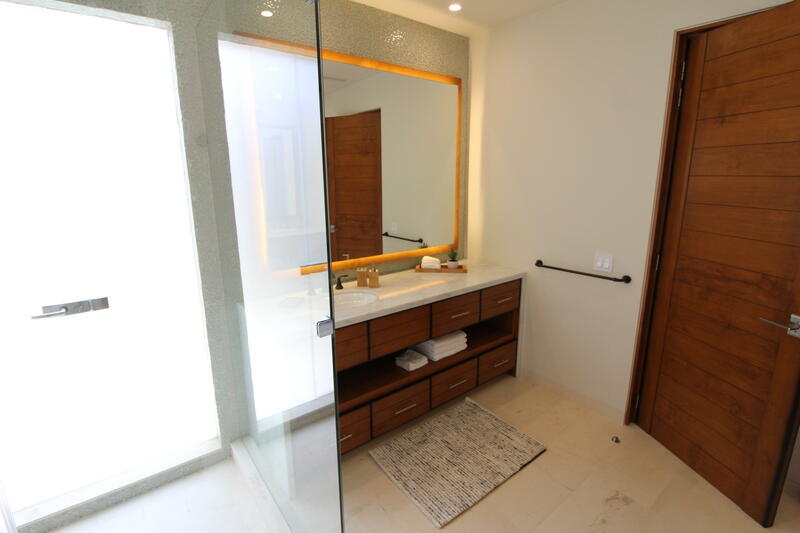 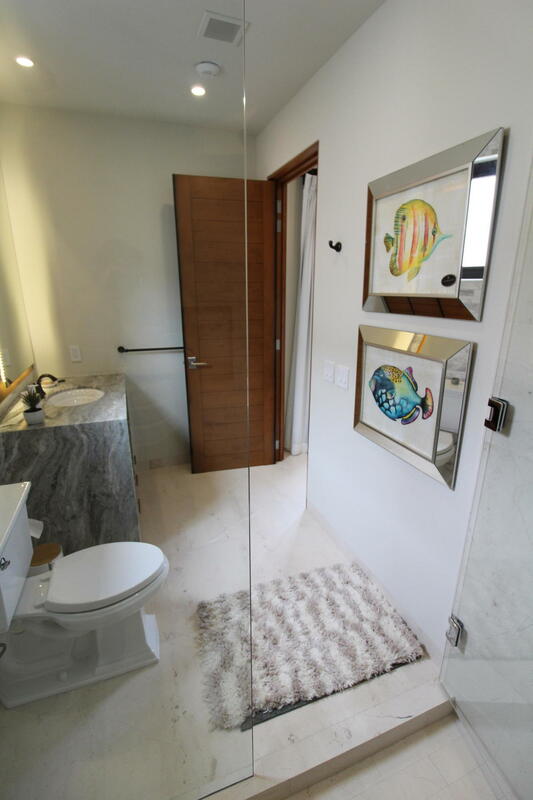 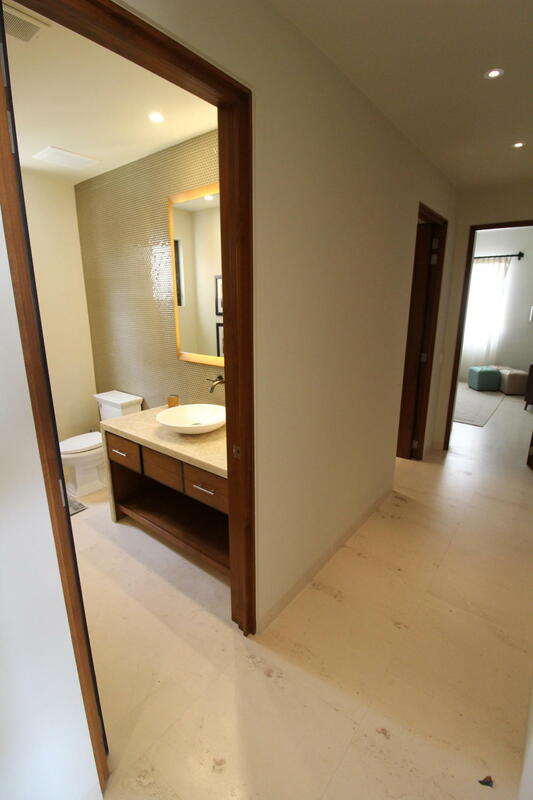 Each master has full en-suite bath with adjoining outdoor rain shower. 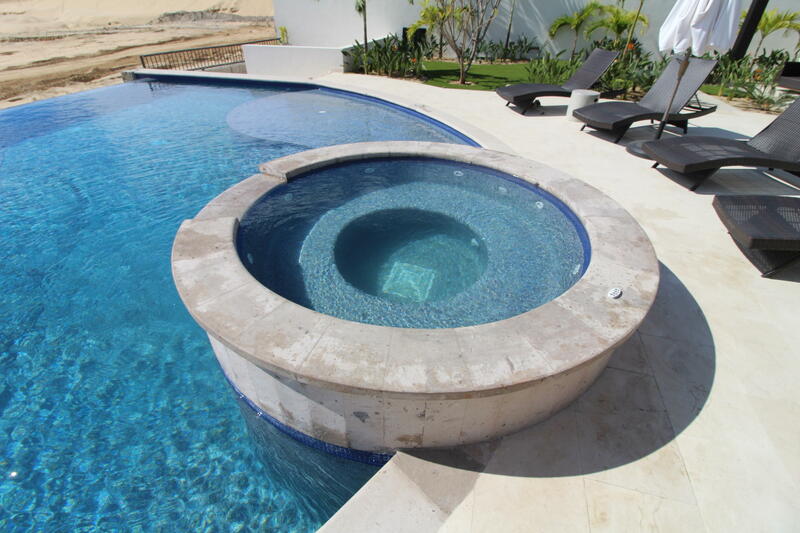 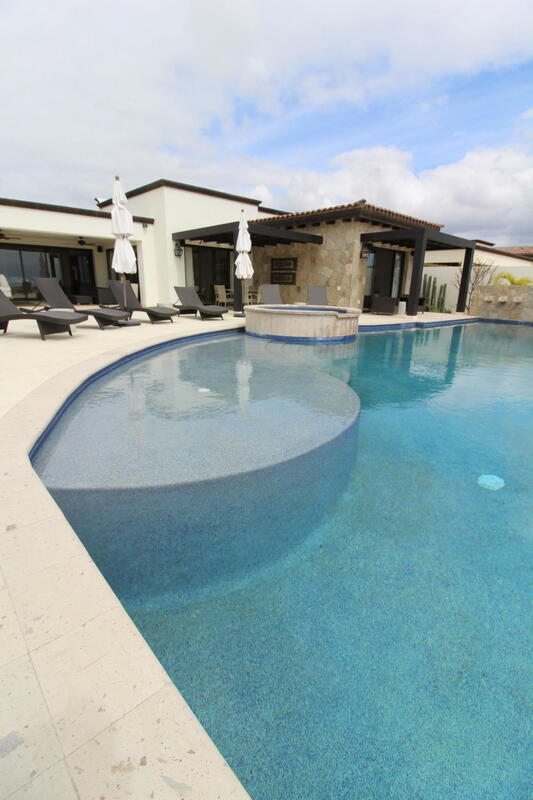 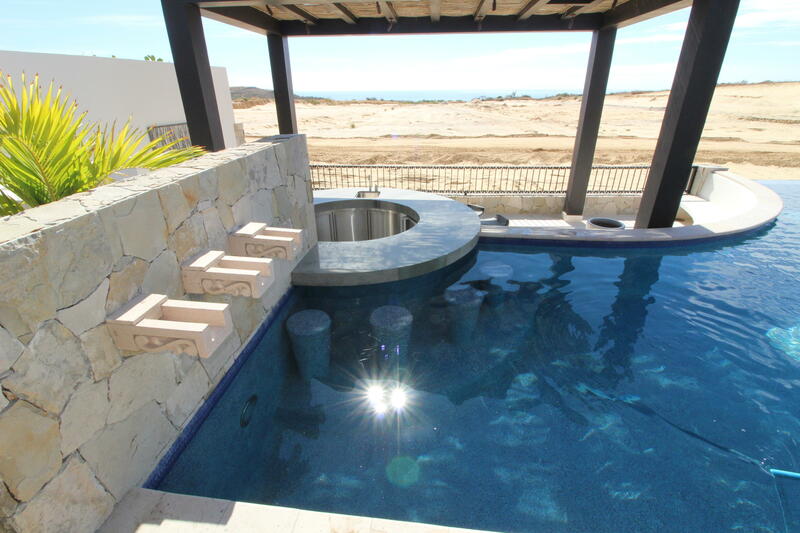 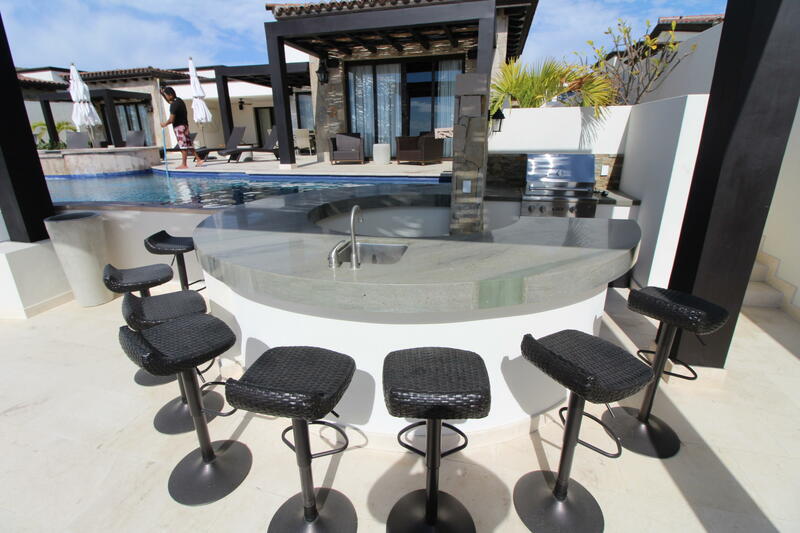 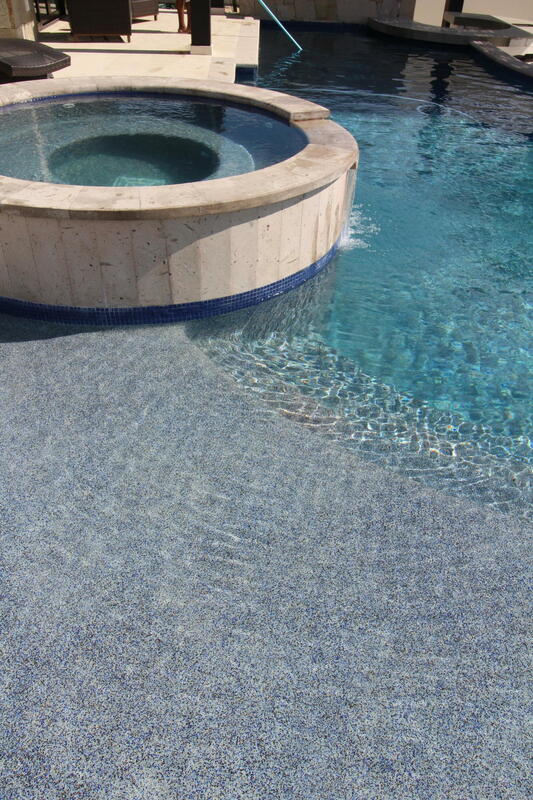 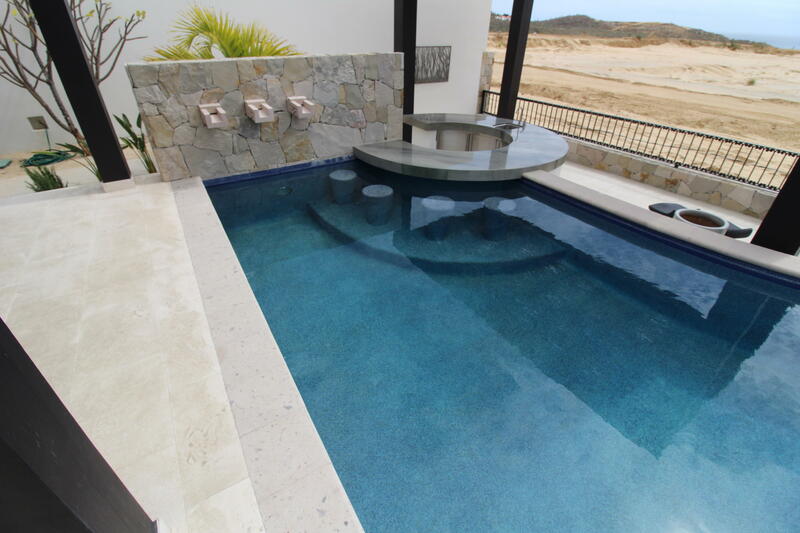 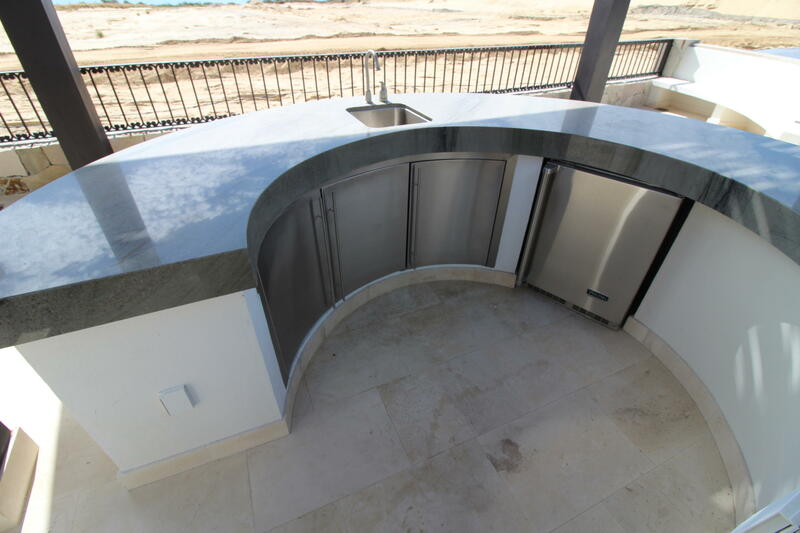 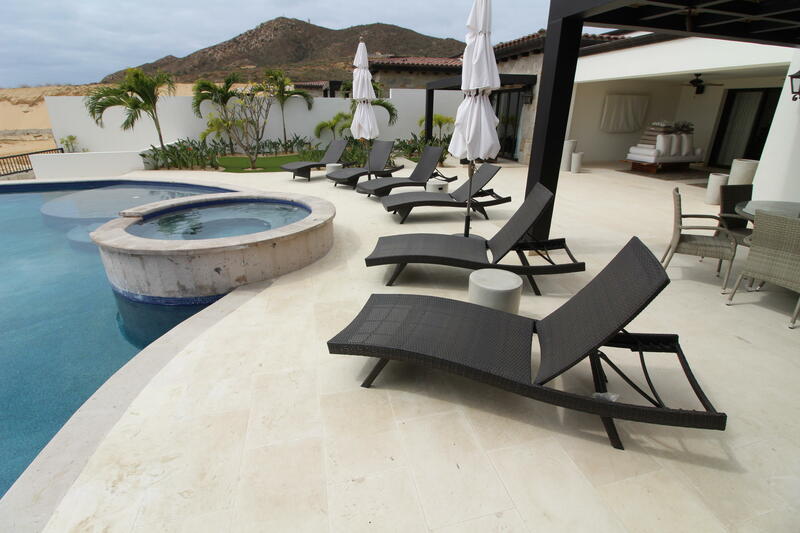 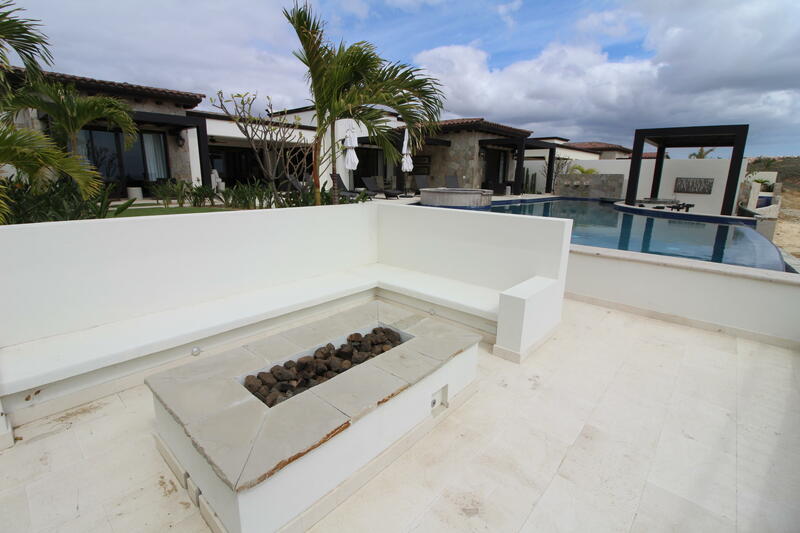 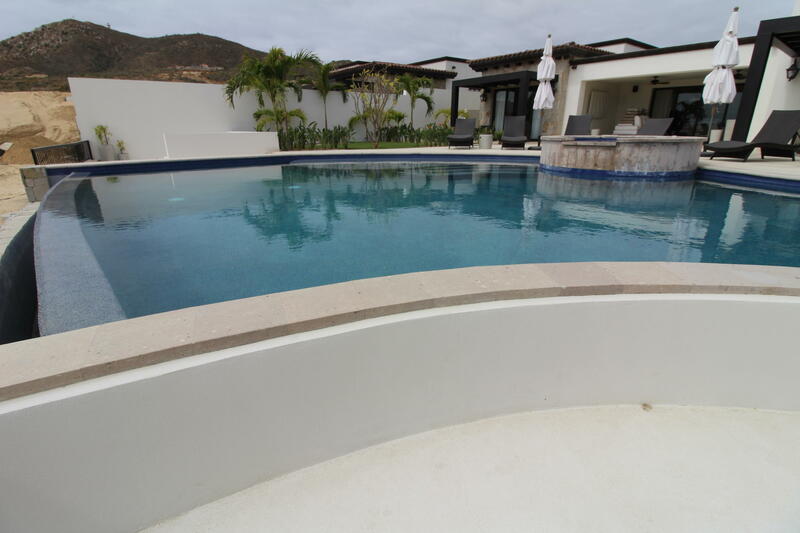 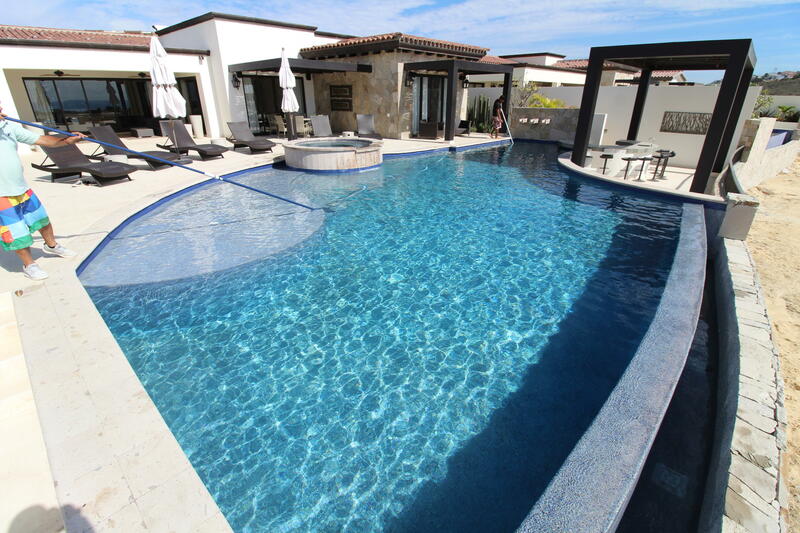 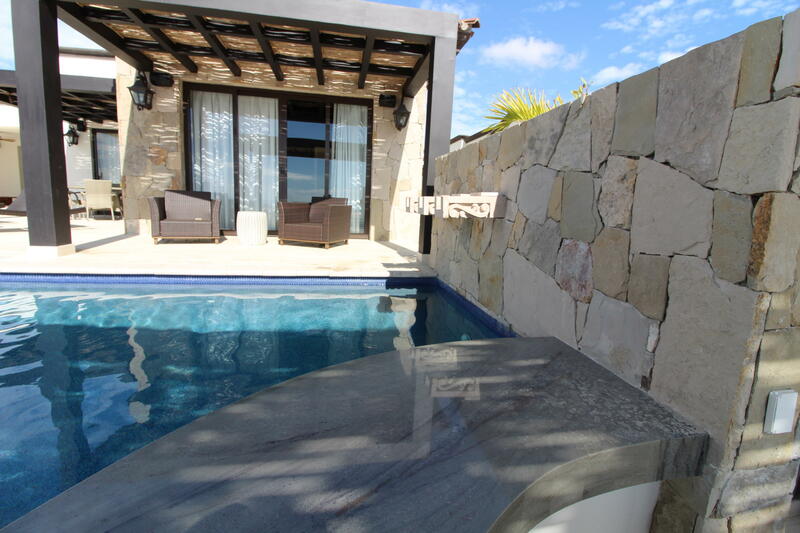 Custom jacuzzi cascades into custom infinity edged pool. 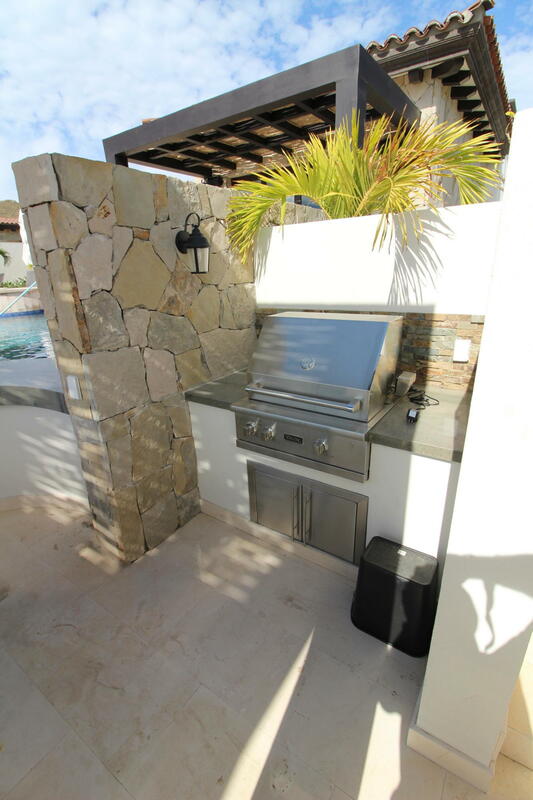 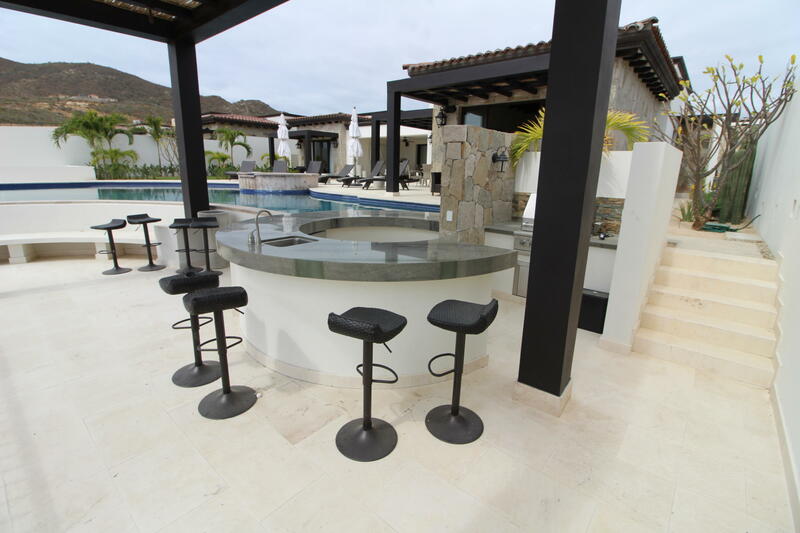 Swim-up bar serviced by outdoor area with Viking grill.